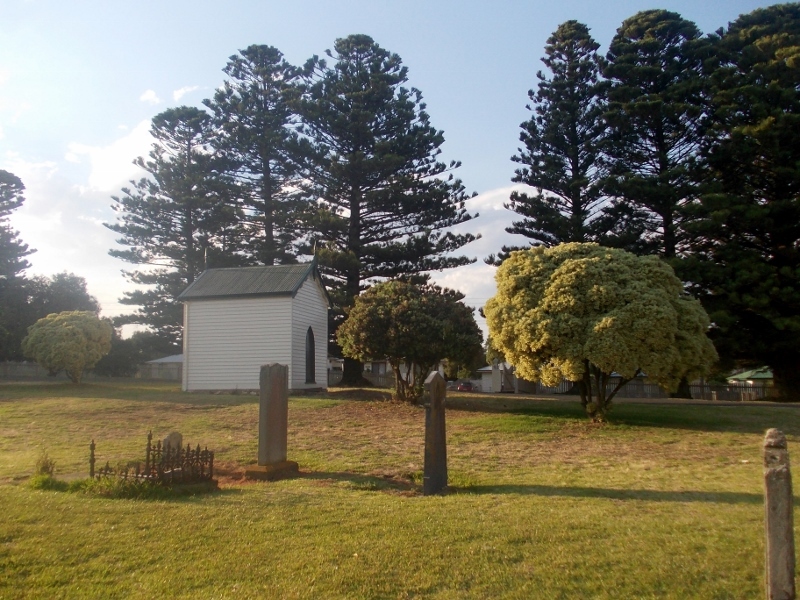 I promised a second Port Fairy Cemetery post months ago and finally, here it is. Considering the number of photos I have from my January 2014 and 2015 visits, there could be a third and maybe a fourth installment. 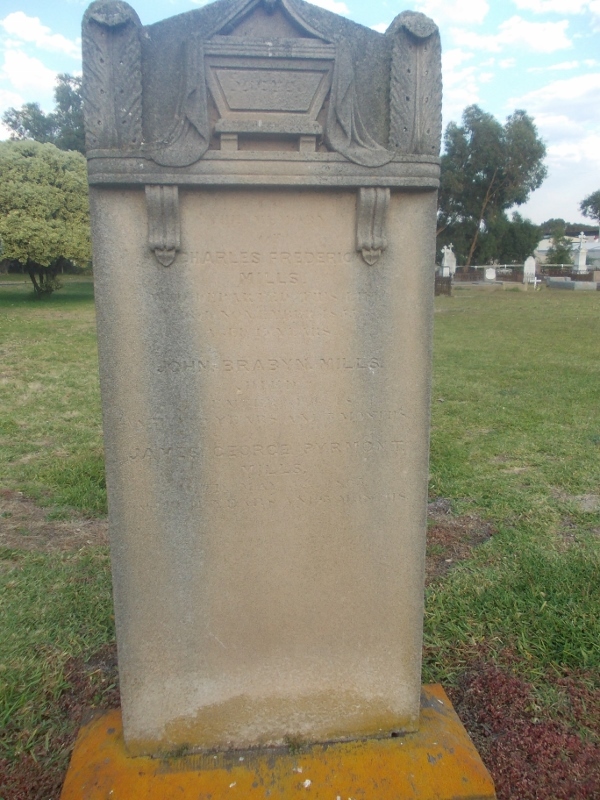 Clara Atkinson died in Port Fairy on 8 April 1873 aged fifty-one. 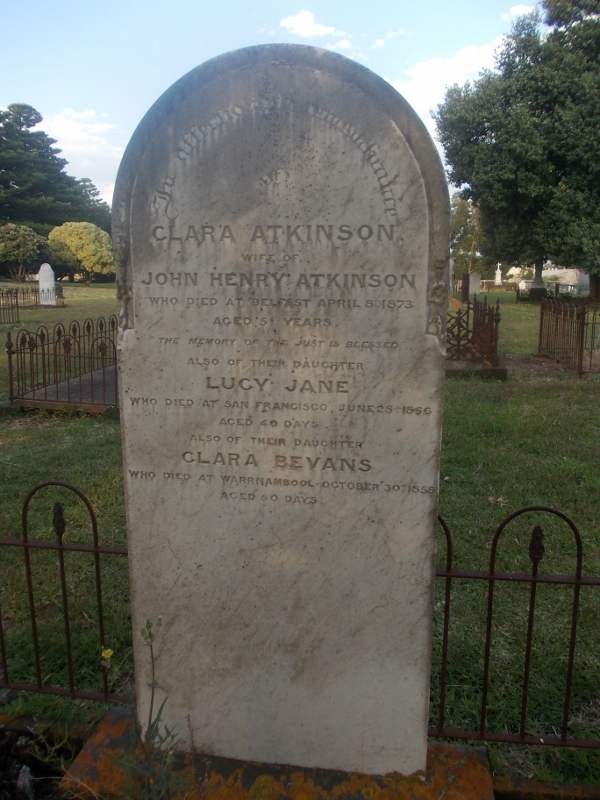 Her husband John Henry Atkinson a chemist, ordered a headstone to remember not only Clara but the two babies the couple lost in 1856 and 1858. 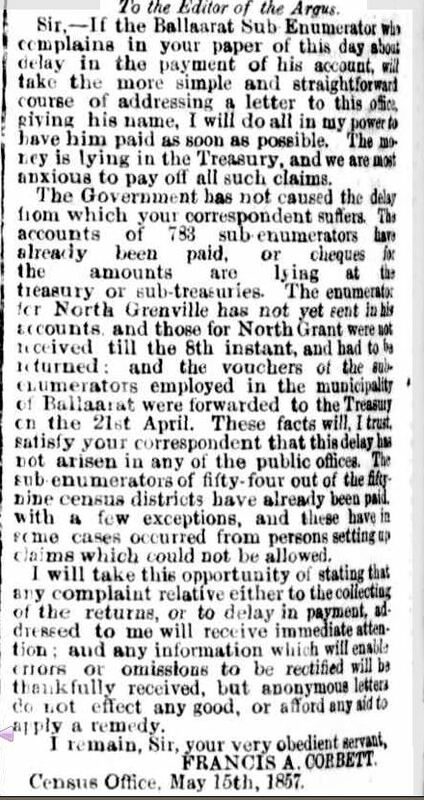 “Family Notices.” Portland Guardian and Normanby General Advertiser (Vic. 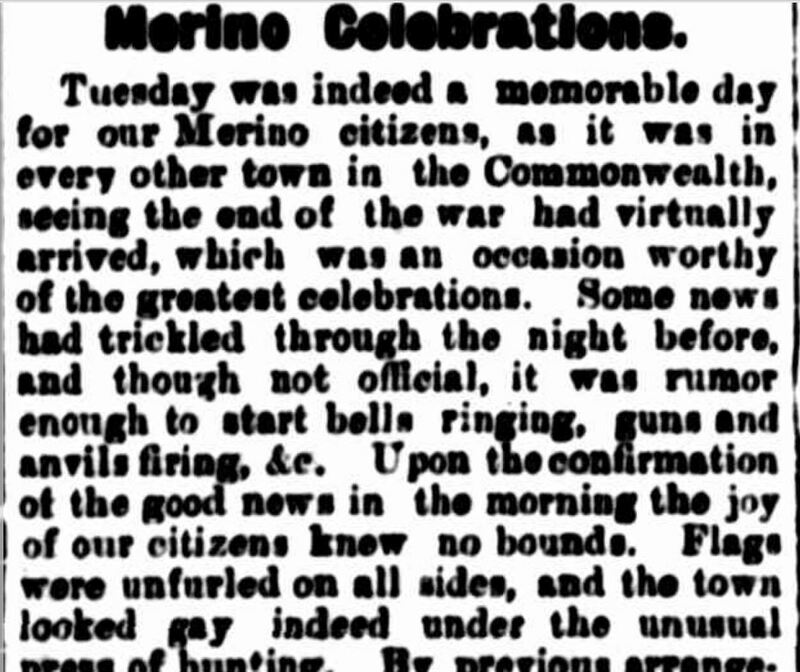 : 1842 – 1876) 21 Apr 1873: 2 Edition: EVENINGS. Web. 12 Jan 2015 . If it wasn’t for the words “San Francisco” on the headstone, this post would have been much shorter. 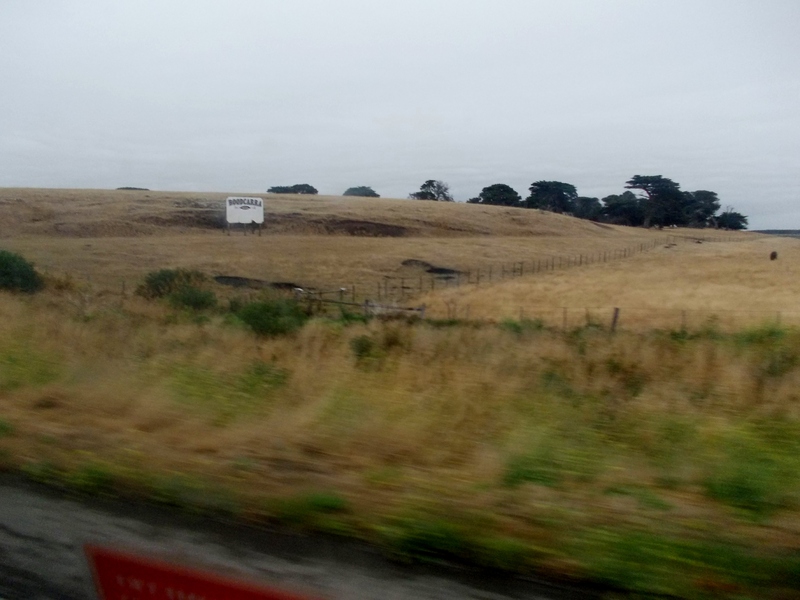 Seeing San Francisco on a headstone in Port Fairy stirred the “how” and “whys” in me and I had to find out more. 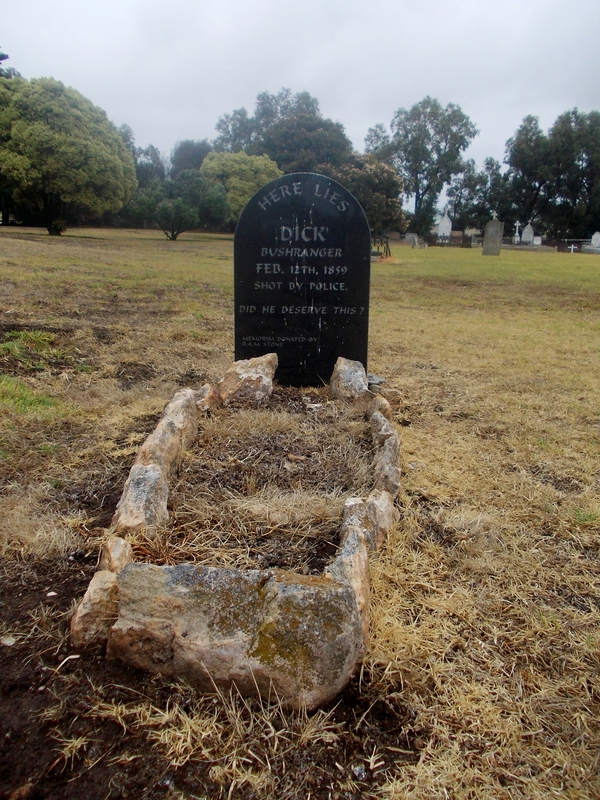 Baby Lucy Jane Atkinson passed away in San Francisco on 28 June 1856. 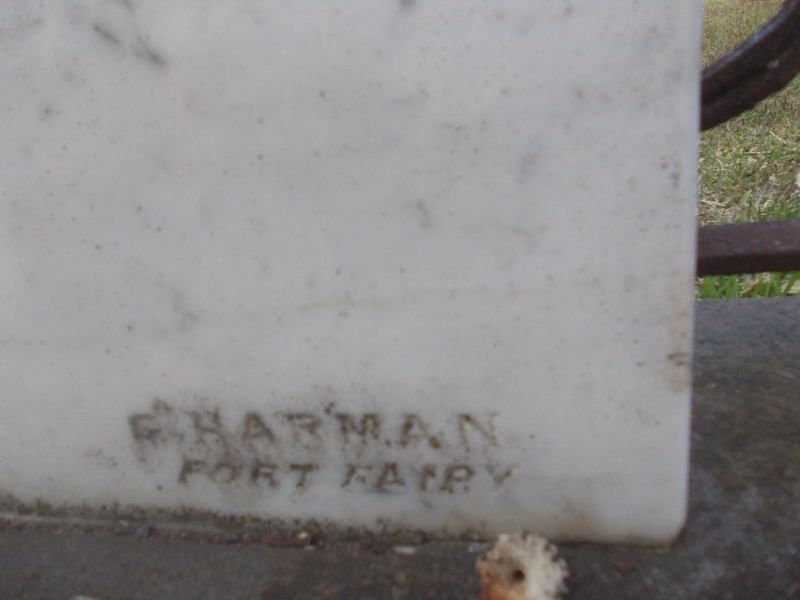 She was buried at the Lone Mountain Cemetery in San Francisco aged one month. 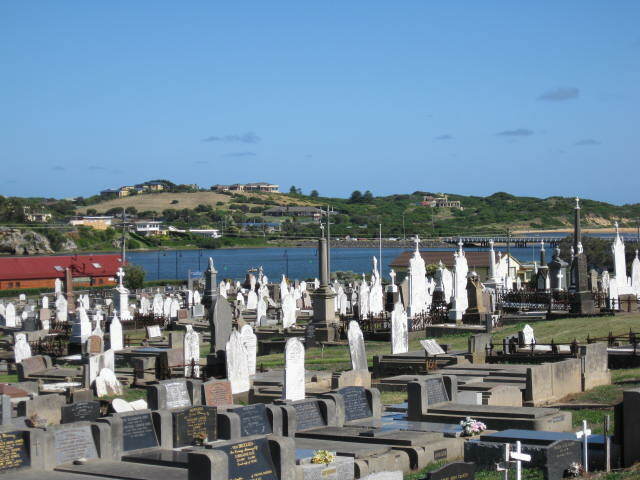 Two years later in Warrnambool, on 30 October 1858, Clara and John lost another baby, Clara Bevans aged fifty days. 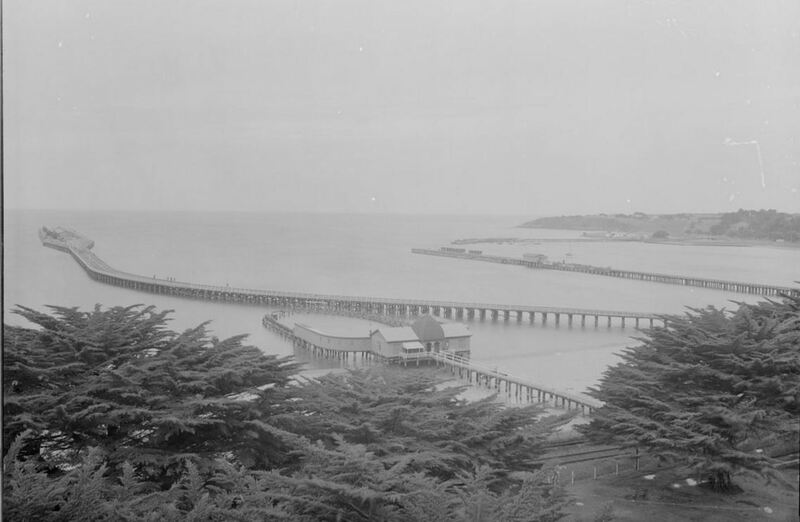 The Atkinsons seem to have arrived at Hobson’s Bay on 14 July 1858 from San Francisco aboard the Mary Robinson as cabin passengers. If those passengers were the said Atkinsons, Clara would have been heavily pregnant with baby Clara. 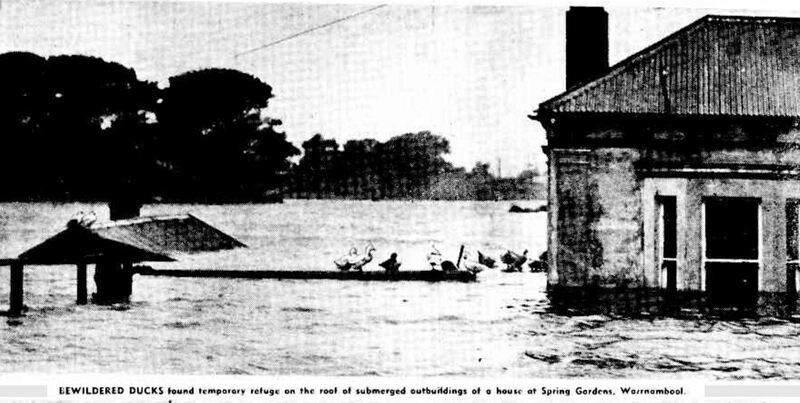 “SHIPPING.” The Age (Melbourne, Vic. : 1854 – 1954) 26 Jul 1858: 4. Web. 12 Jan 2015 <http://nla.gov.au/nla.news-article154873476&gt;. 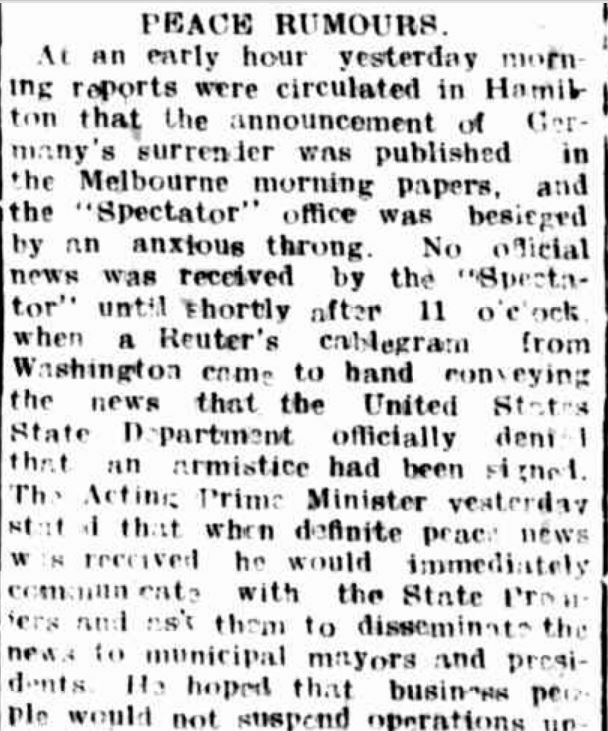 Searches for a John Henry Atkinson, Chemist at Trove brought up many references to Sandhurst (Bendigo) where a John H. Atkinson had a spot of bother in the courts, leading to insolvency. 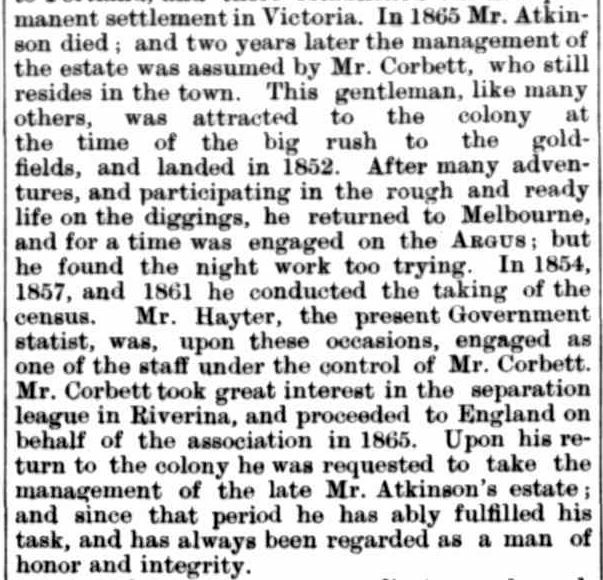 I was beginning to wonder, first, if that was the same John H. and secondly was there a link to an important and influential resident of Bendigo from the 1860s, Harry Leigh Atkinson who at the time of his death was considered one of the largest landholders in Victoria? 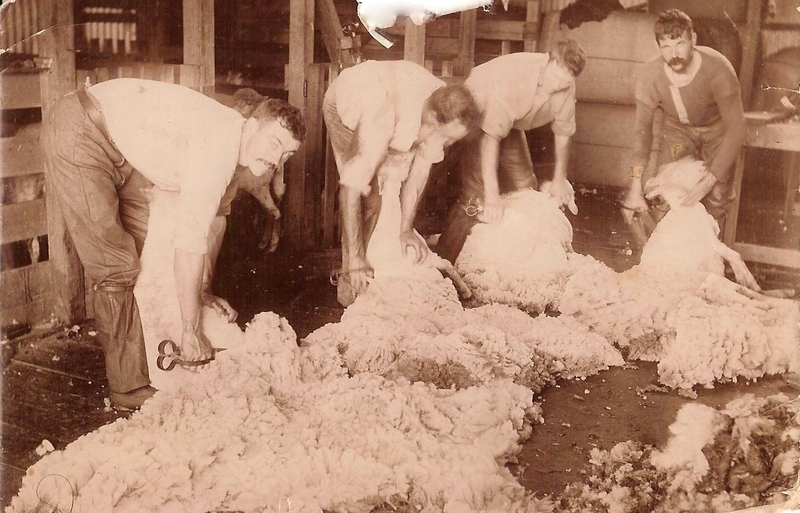 Using Trove and records from Ancestry.com.au, I began to piece the jigsaw together. 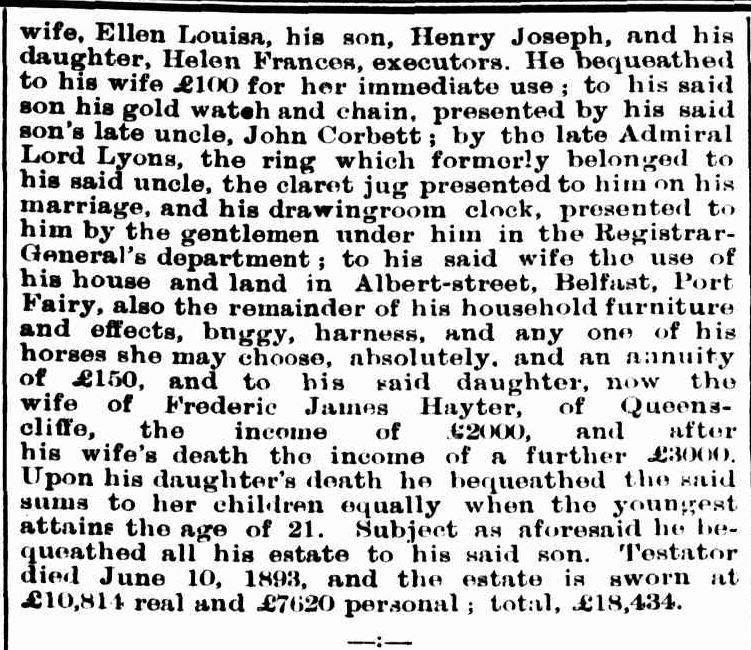 The only solid clue to John Henry Atkinson’s past came from his death notice that stated he was the brother of the Portland Shire Secretary, Edwin Atkinson and that John died in Exmouth, England. 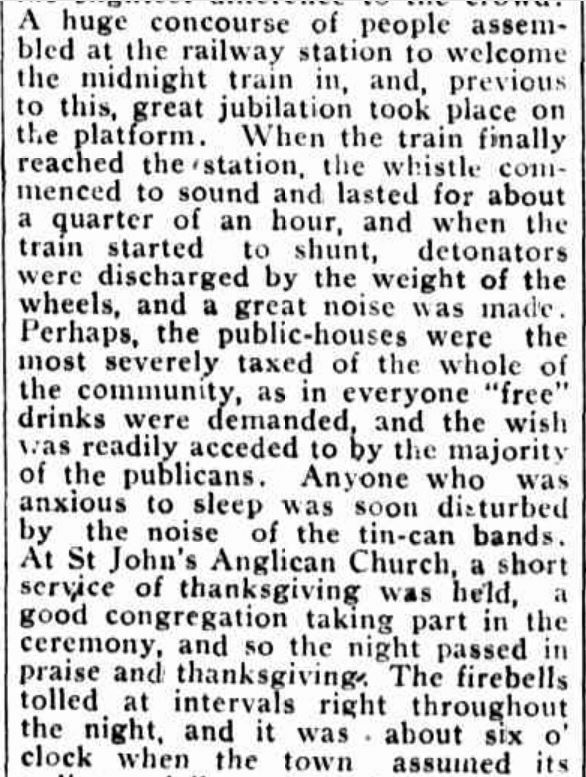 “Family Notices.” Portland Guardian (Vic. 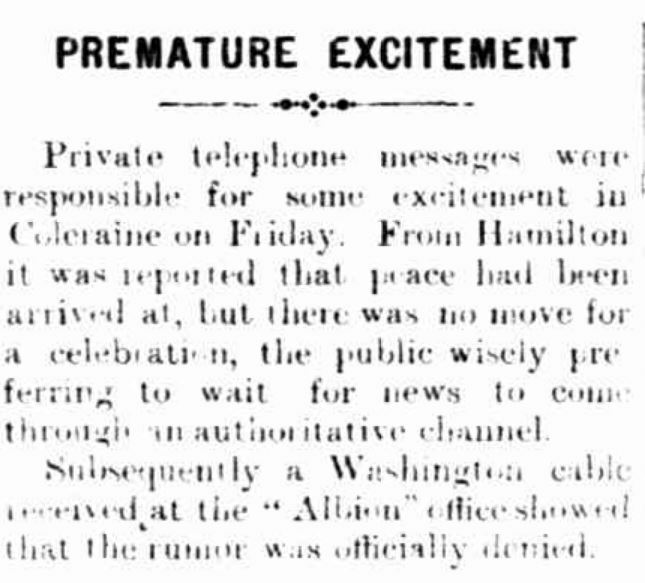 : 1876 – 1953) 1 Apr 1887: 2 Edition: EVENING. Web. 12 Jan 2015 . 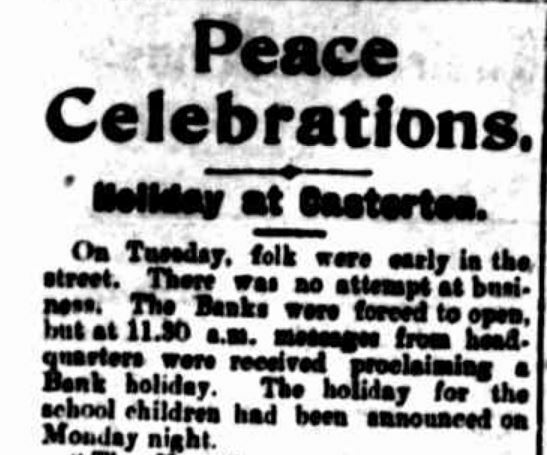 Suddenly I had the names of nieces and nephews to trace and the clue of Nafferton, Yorkshire which led me to the 1841 UK census. 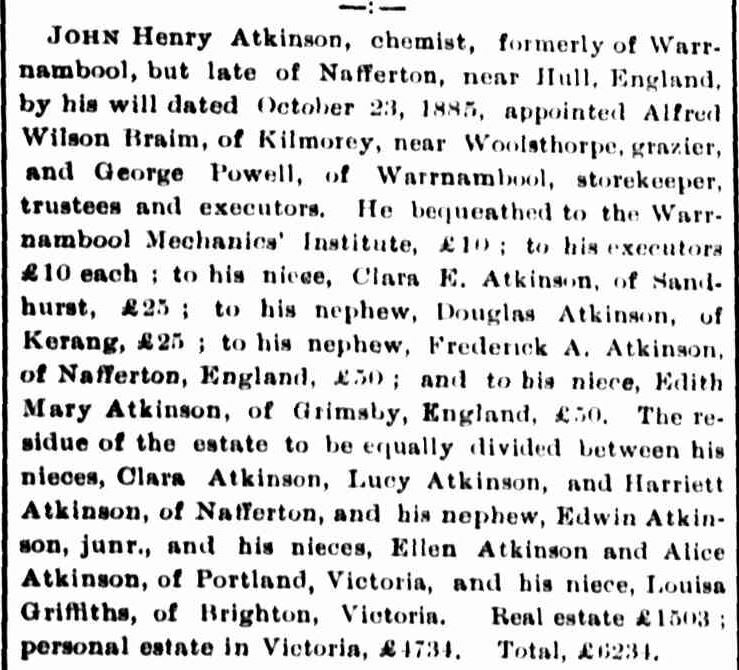 Brother of John, Edwin Atkinson helped me find John’s birthplace, Kilham in Yorkshire and his baptism in March 1822. His parents were Thomas Atkinson and Harriet Parkin. Checking the 1841 census, I found a John Atkinson “druggist” aged 20 living at Kilham. 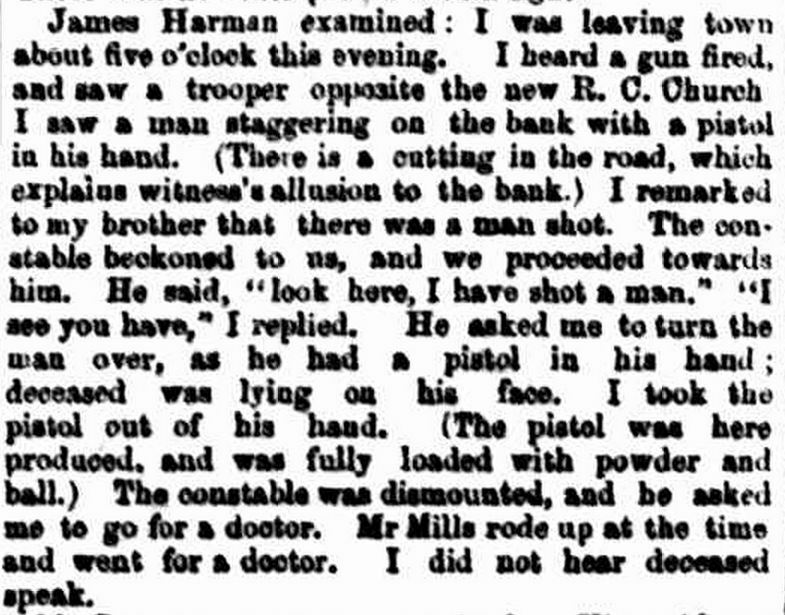 Back at Trove, I found a man by the name of John Henry Atkinson of Launceston qualifying as a chemist in 1849. 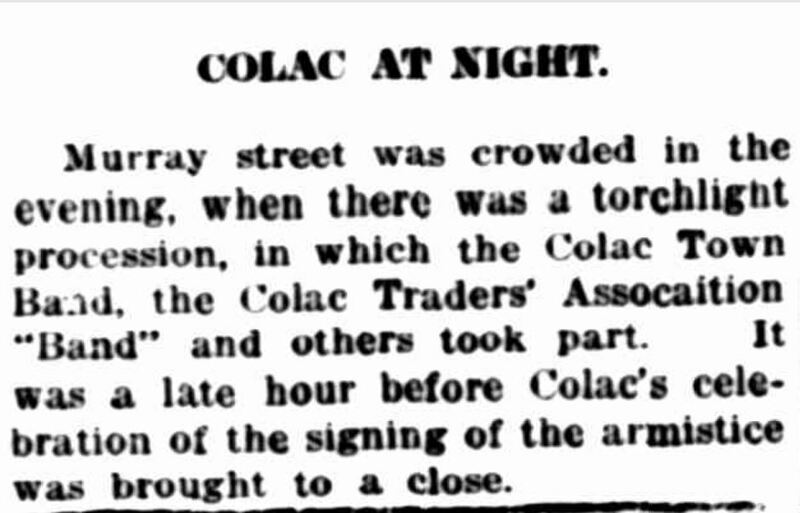 “[No heading].” The Courier (Hobart, Tas. : 1840 – 1859) 14 Mar 1849: 2. Web. 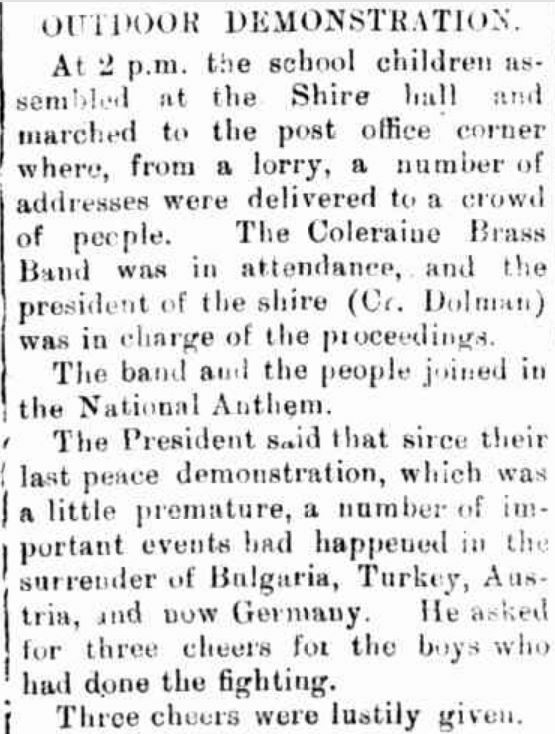 13 Jan 2015 <http://nla.gov.au/nla.news-page638262&gt;. 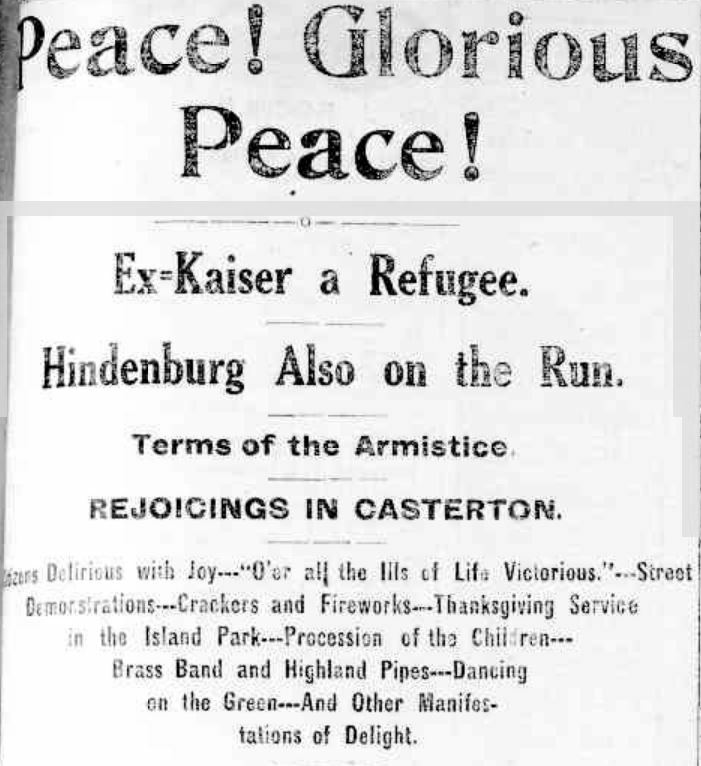 Less than six months later, a John Henry Atkinson was a cabin passenger aboard the Spartan bound for San Francisco from Launceston. 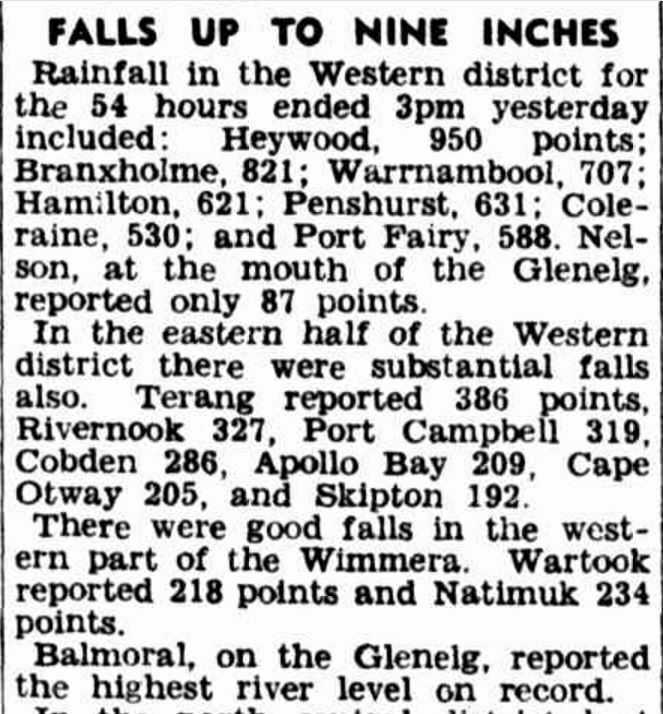 “Shipping Intelligence.” Launceston Examiner (Tas. 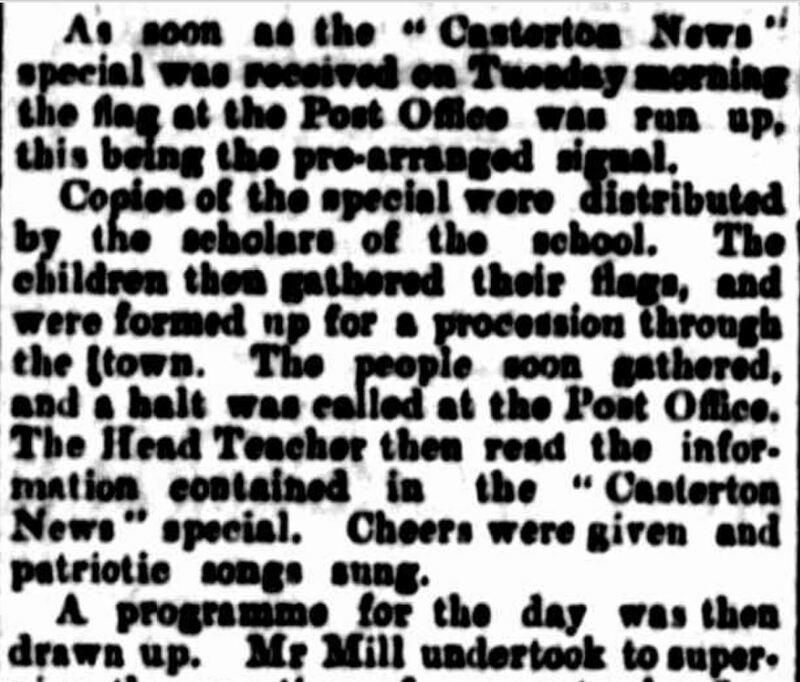 : 1842 – 1899) 1 Aug 1849: 7 Edition: AFTERNOON. Web. 12 Jan 2015 <http://nla.gov.au/nla.news-article36258021&gt;. 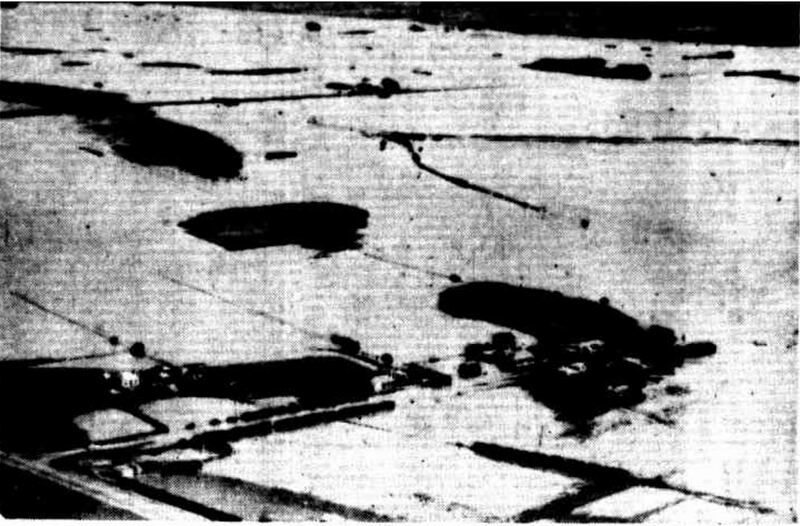 With the knowledge about Kilham, Yorkshire, I discovered John had another brother, Thomas Parkin Atkinson which led to the name of another brother, Dr. Alfred Atkinson. 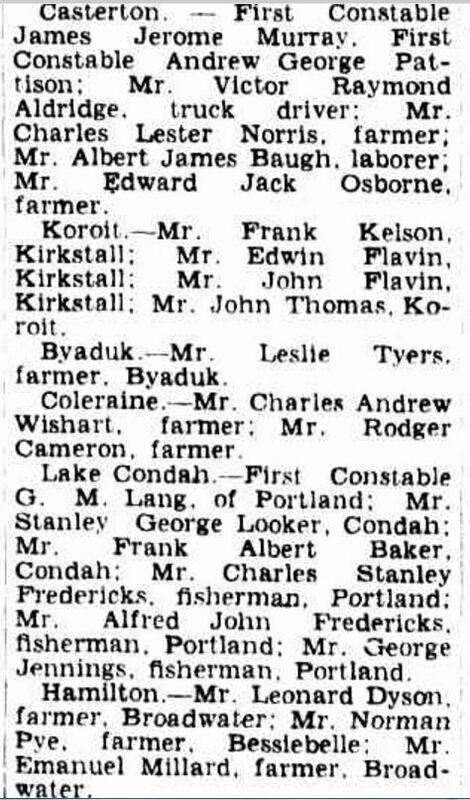 With that confirmation that John, Thomas, Edwin and Alfred Atkinson were cousins of Dr. Harry Leigh Atkinson. “Family Notices.” The Argus (Melbourne, Vic. : 1848 – 1957) 21 May 1866: 4. Web. 13 Jan 2015 <http://nla.gov.au/nla.news-article5763019&gt;. With that solved, I was still interested in why John was in San Fransisco. 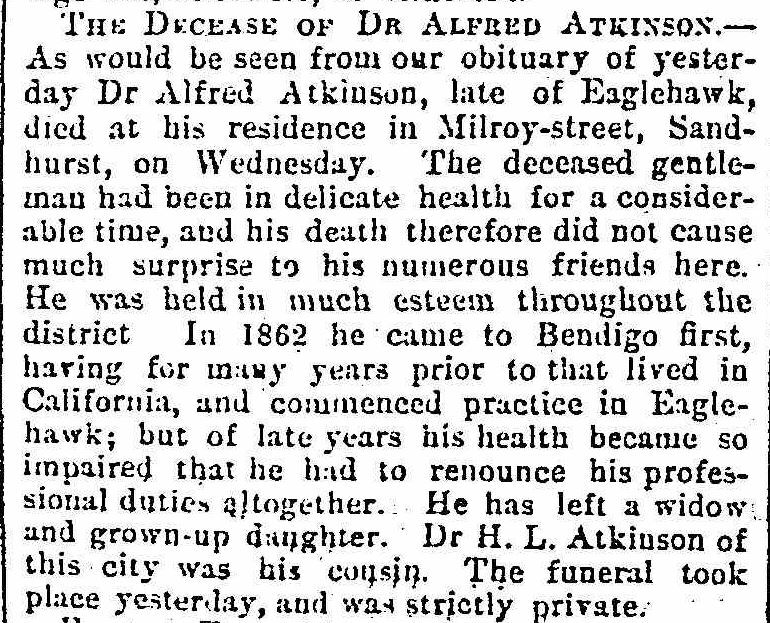 I discovered a reason when I read the notice of Dr Alfred Atkinson’s death at Eaglehawk. 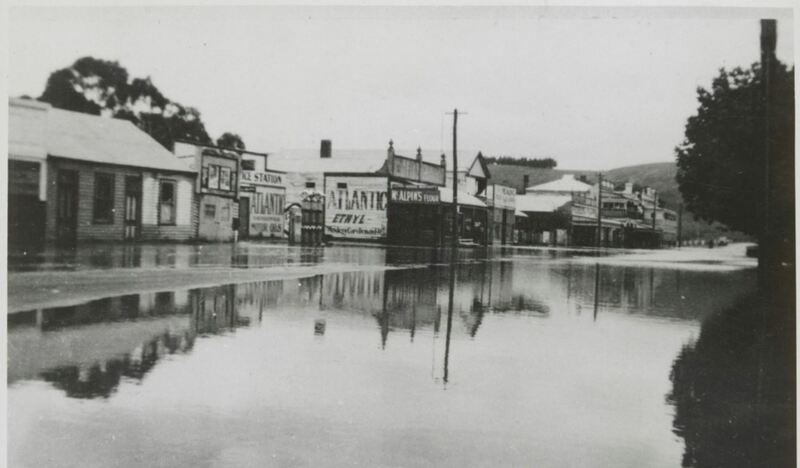 Alfred went to Bendigo in 1862 after many years in California. 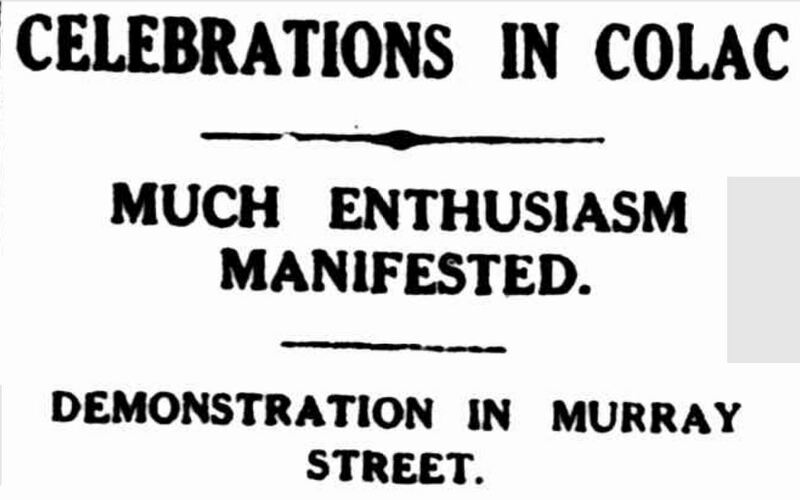 “THE BENDIGO ADVERTISER.” Bendigo Advertiser (Vic. : 1855 – 1918) 17 Mar 1876: 2. Web. 13 Jan 2015 . 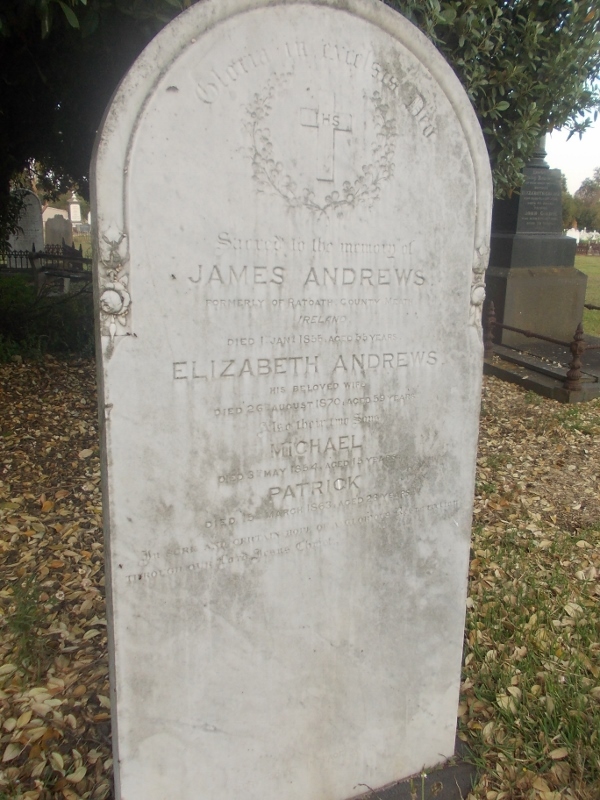 The Webb family headstone remembers parents William and Elizabeth Jane Webb and their children William Robert James and Edith Gertrude. 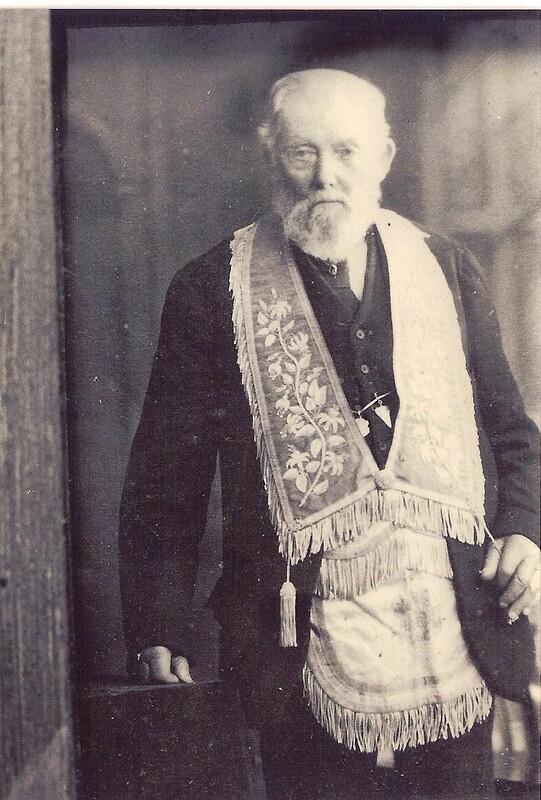 William Webb Sr was born in Wiltshire around 1830. 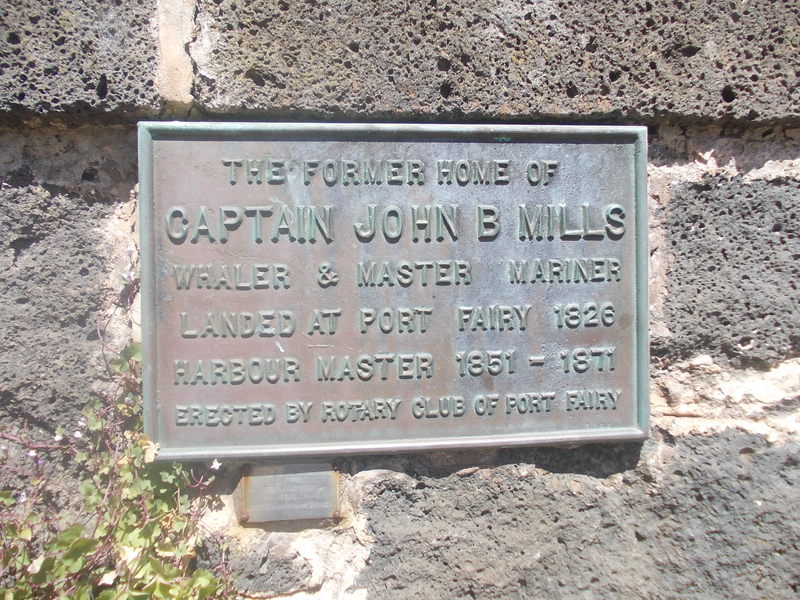 He arrived in Port Fairy about 1852 and married Elizabeth Jane Francis in 1858. 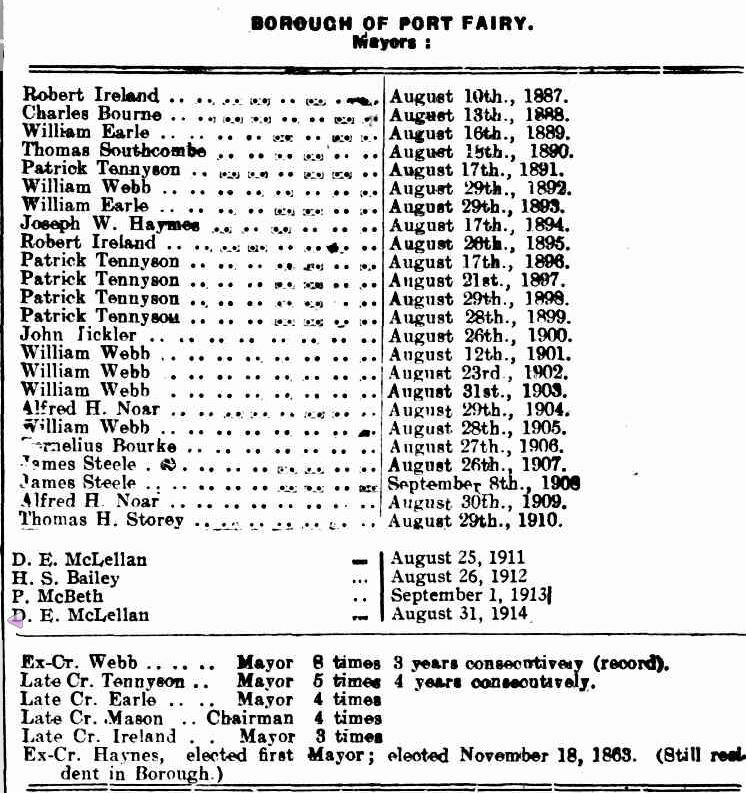 They had eleven children including William Jr and Edith. 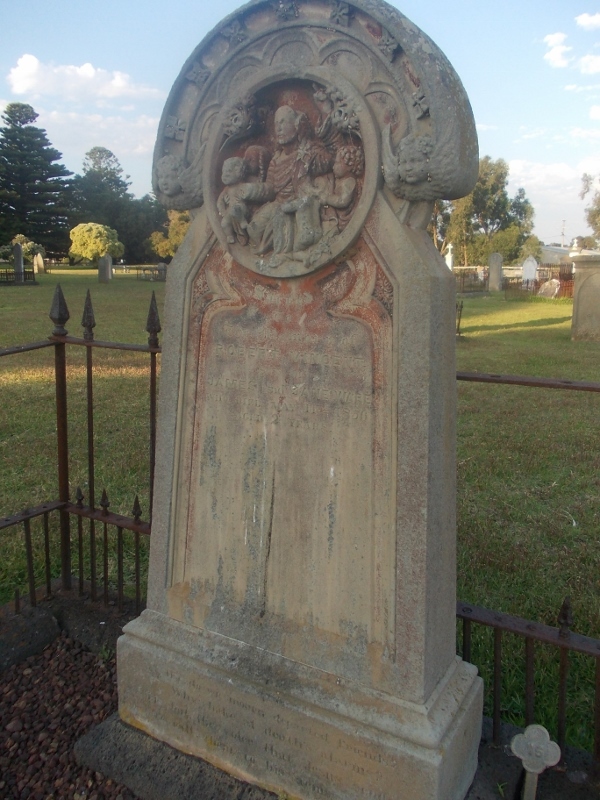 Edith passed away in 1875 aged two and her brother William Jr passed away in 1886 aged twenty-six. 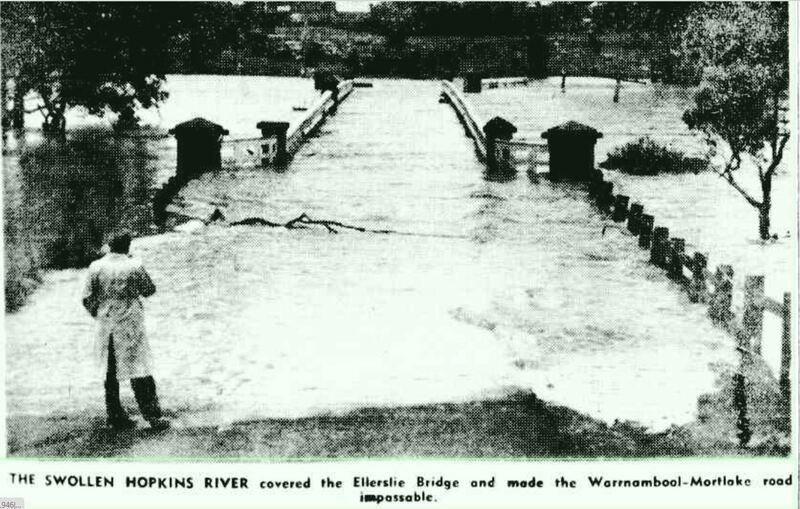 In 1911, mother Elizabeth passed away aged seventy-two years. 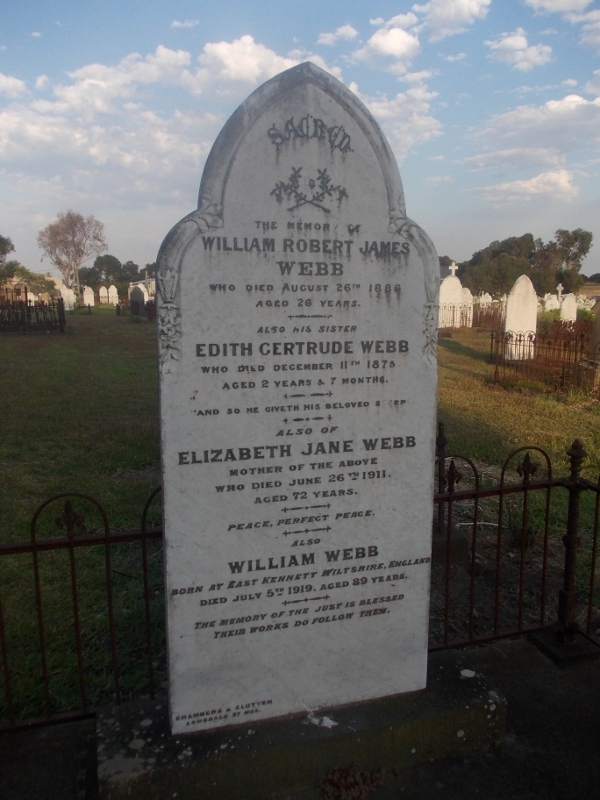 William Webb Sr passed away in 1919 having lived to the age of 89 years. 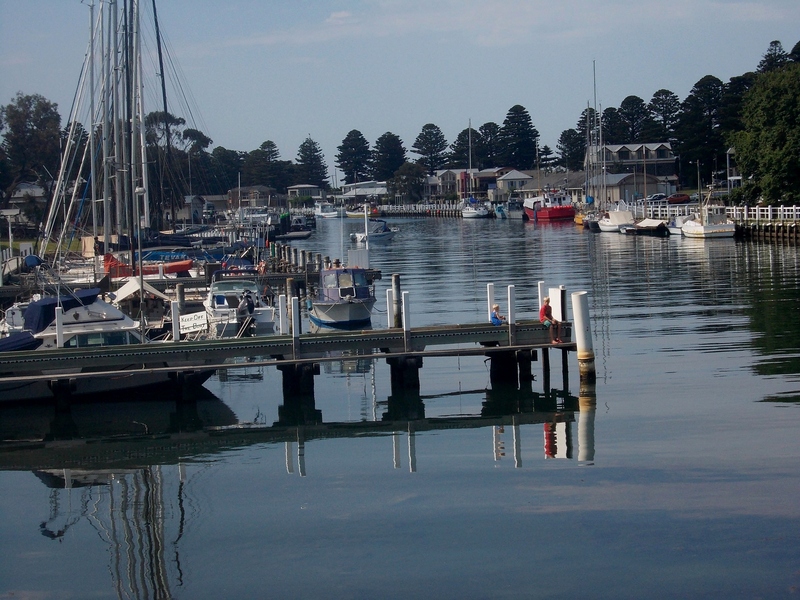 During his life, he established himself as a leading citizen of Port Fairy, spending forty years on the Borough council with a record seven terms as Mayor. 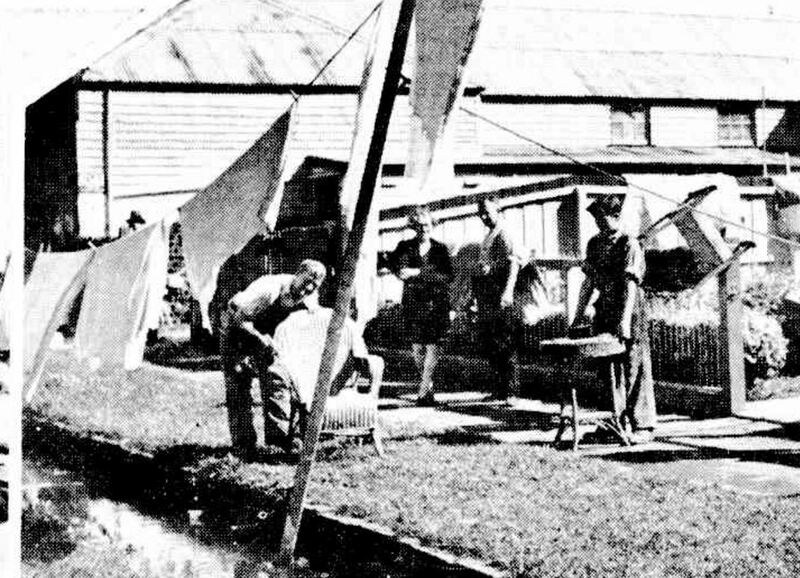 From the Victorian Heritage Database, I found William established an iron casting business in Gipps Street, Port Fairy with his brother Henry in the 1850s that included carriage making and a horseshoe forge. 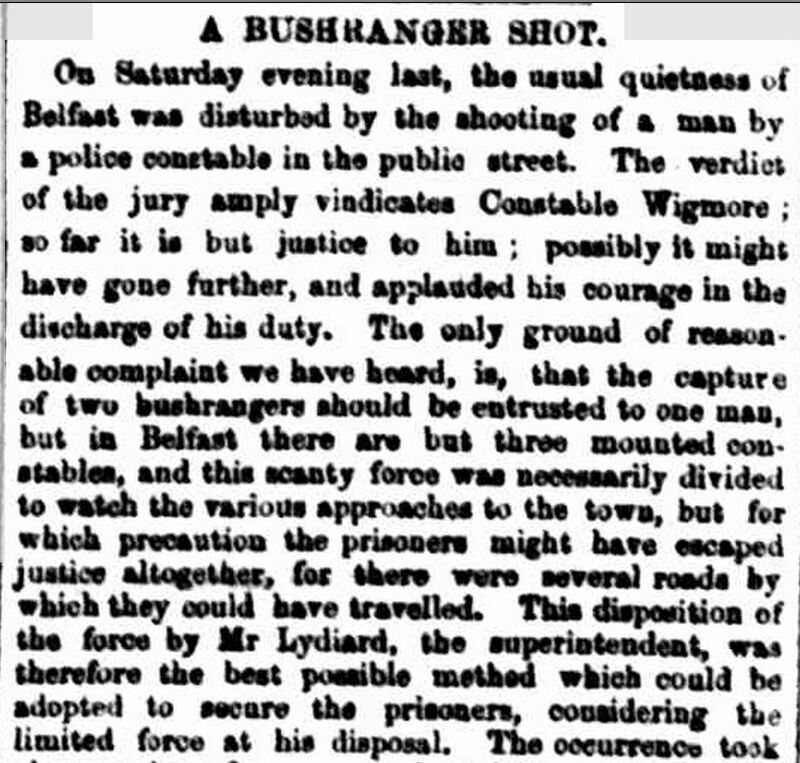 He later moved the business to Sackville Street. 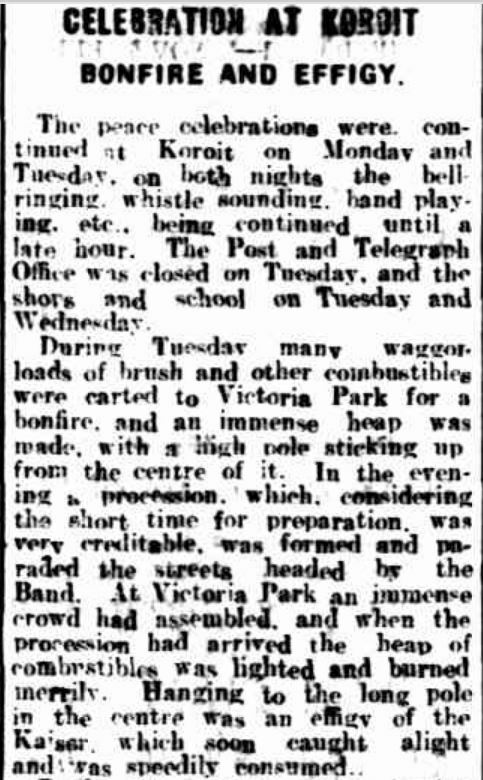 “Cruelty to a Horse.” The Argus (Melbourne, Vic. 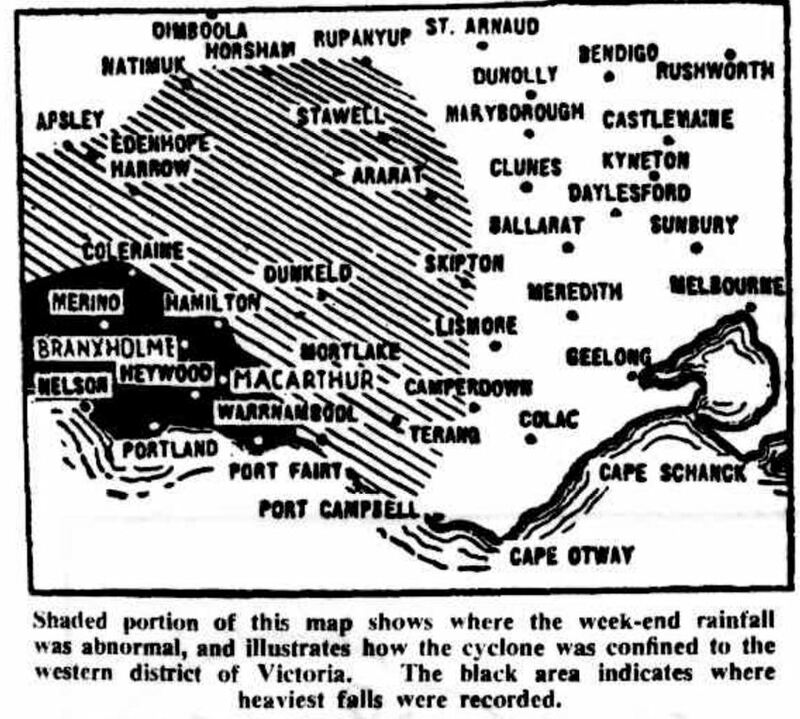 : 1848 – 1957) 8 Jul 1919: <http://nla.gov.au/nla.news-article4718862&gt;. 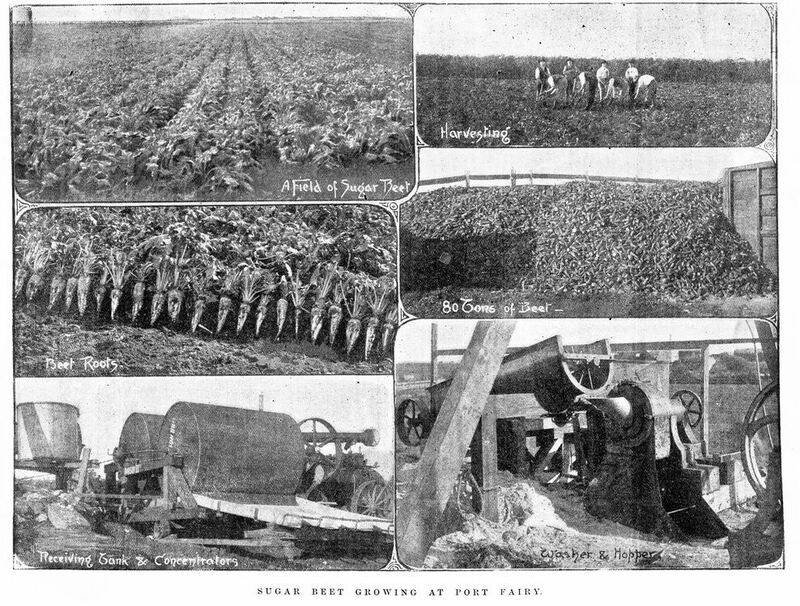 “BOROUGH OF PORT FAIRY.” Port Fairy Gazette (Vic. 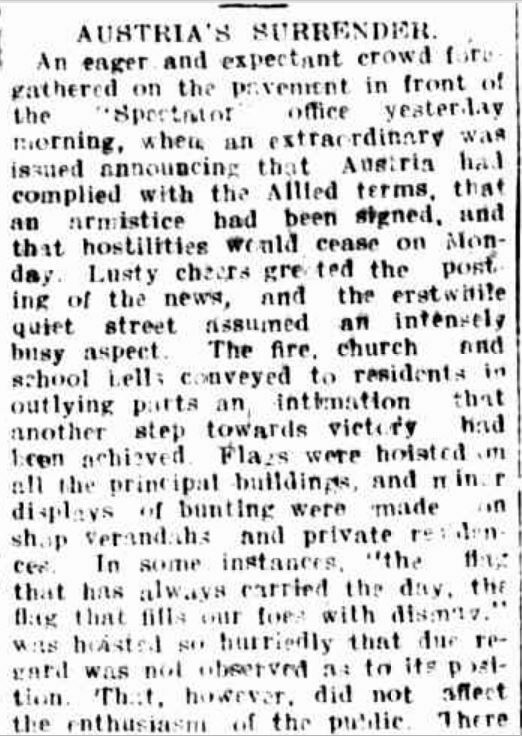 : 1914 – 1918) 22 Feb 1915: 4 Edition: EVENING. Web. 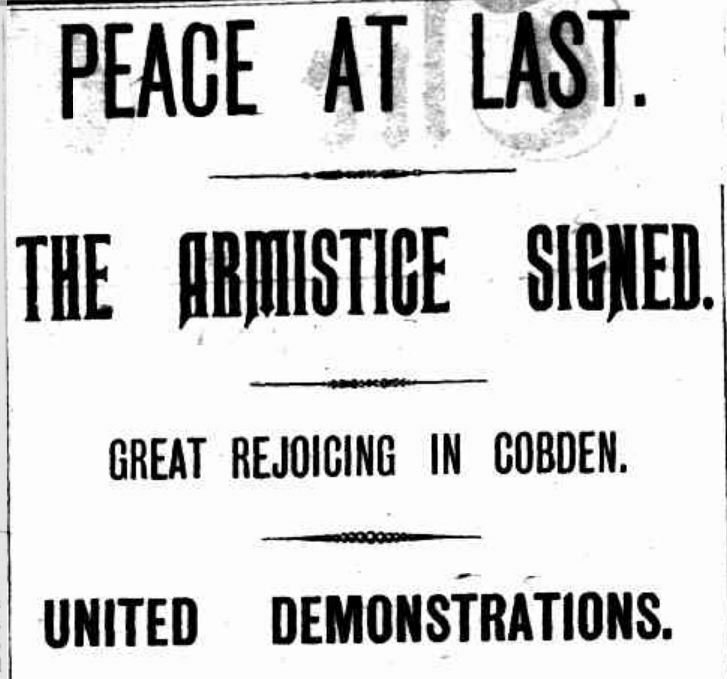 11 Jan 2015 . 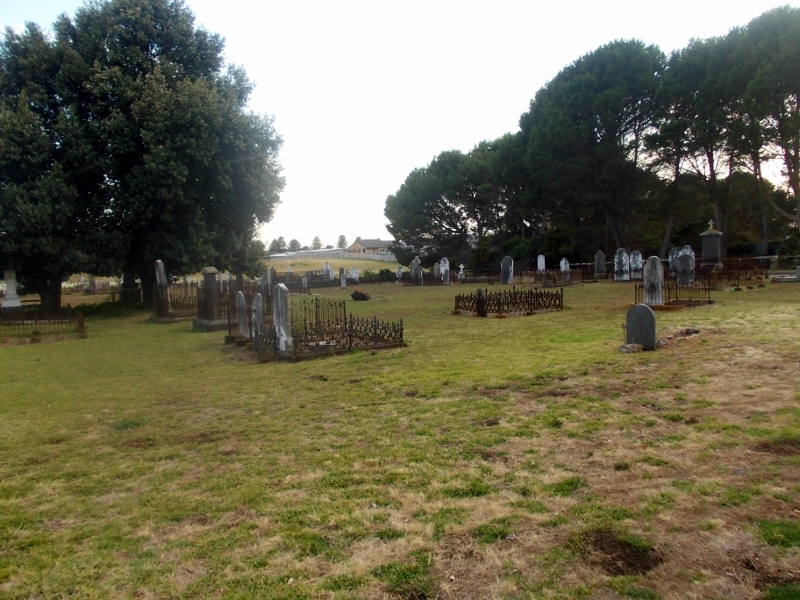 Seven members of the Gibson/McKechnie family were buried in the following plot. 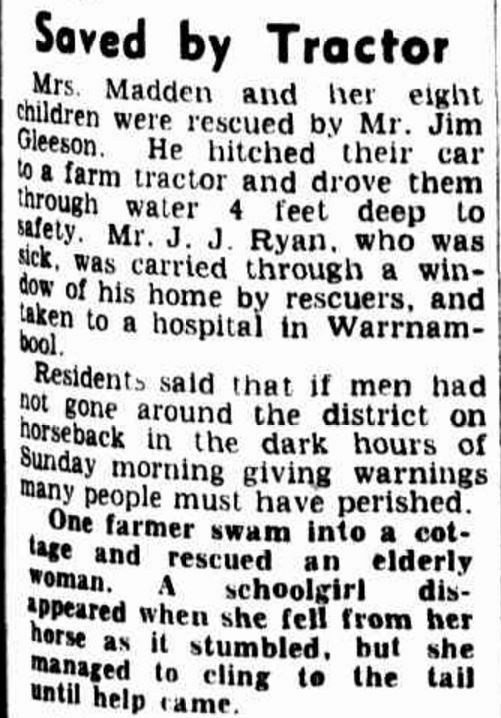 John Gibson was a President of the Port Fairy Shire and was a renown breeder of stock horses at his property Leura. He married Sarah Ann Taylor in 1856. 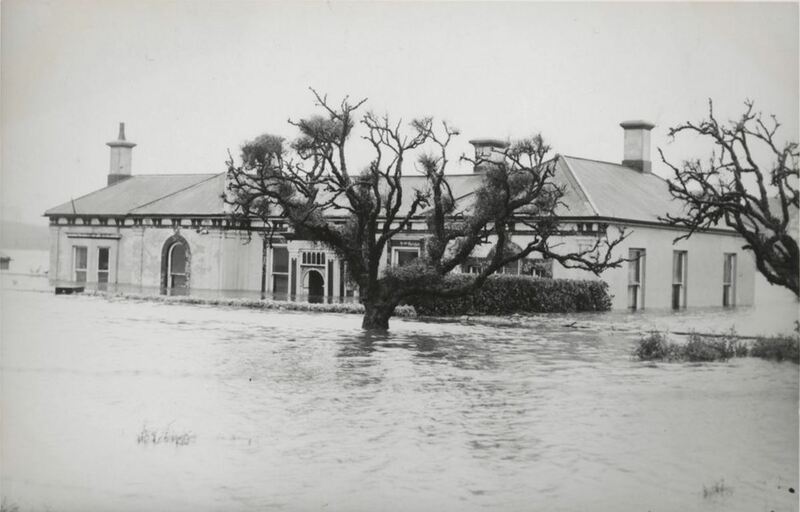 They had a large family and one of their first losses was daughter Margaret in 1877 aged six. The following year Ann passed away aged eighteen. 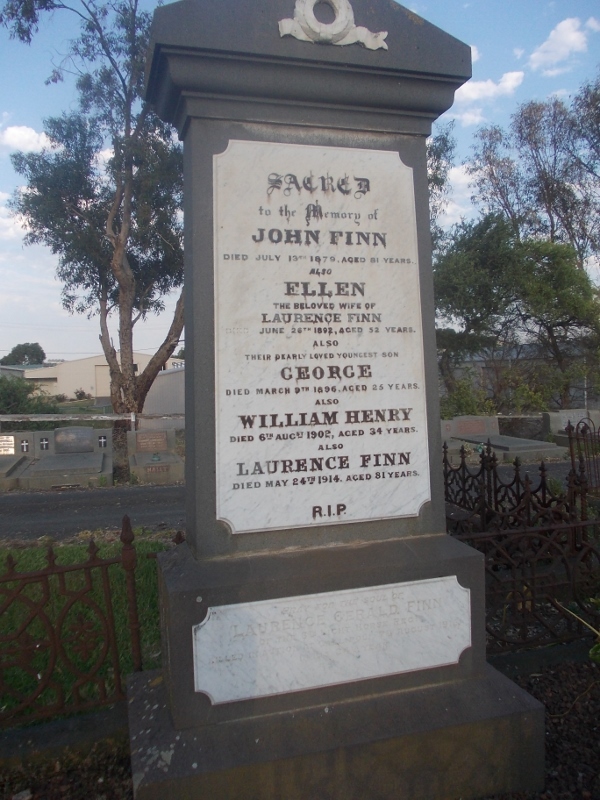 John died in September 1887 only a month after being elected shire president. 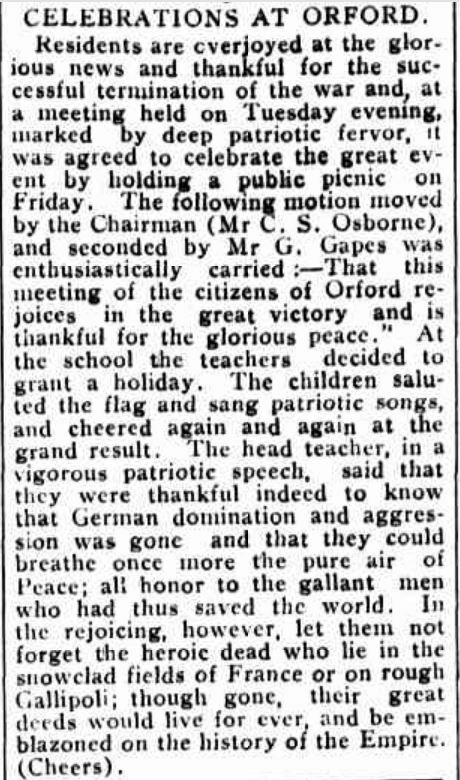 Only the week before, his eldest son Thomas Edward Gibson had died as a result of an old injury. 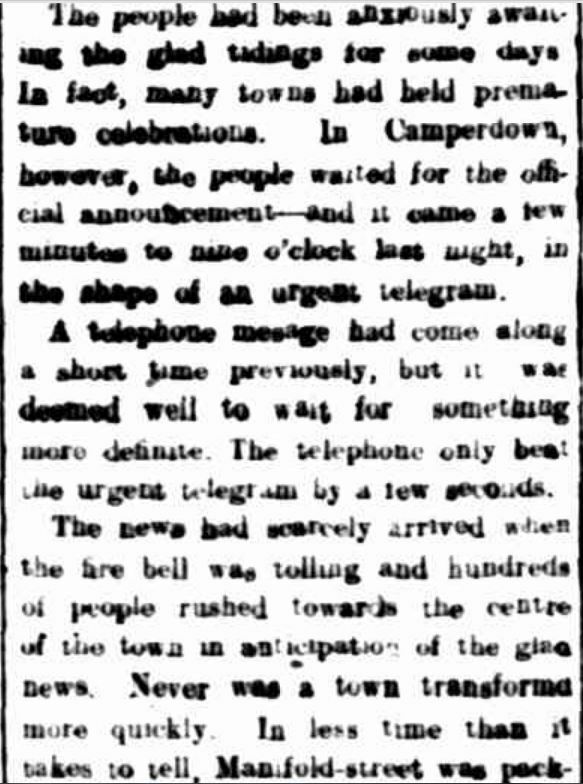 “Brevities.” Camperdown Chronicle (Vic. 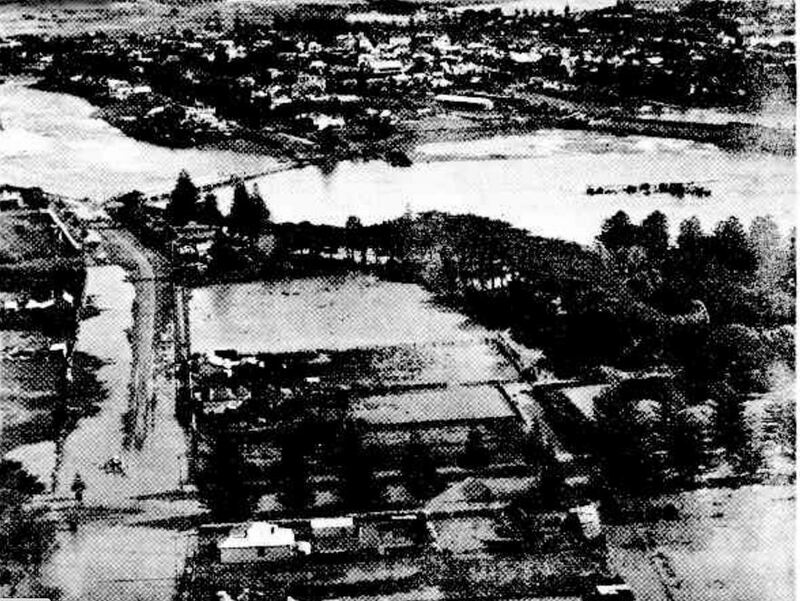 : 1877 – 1954) 5 Oct 1887: 3. Web. 18 Dec 2014 . “Wills and Bequests.” Table Talk (Melbourne, Vic. : 1885 – 1939) 16 Dec 1887: 4. Web. 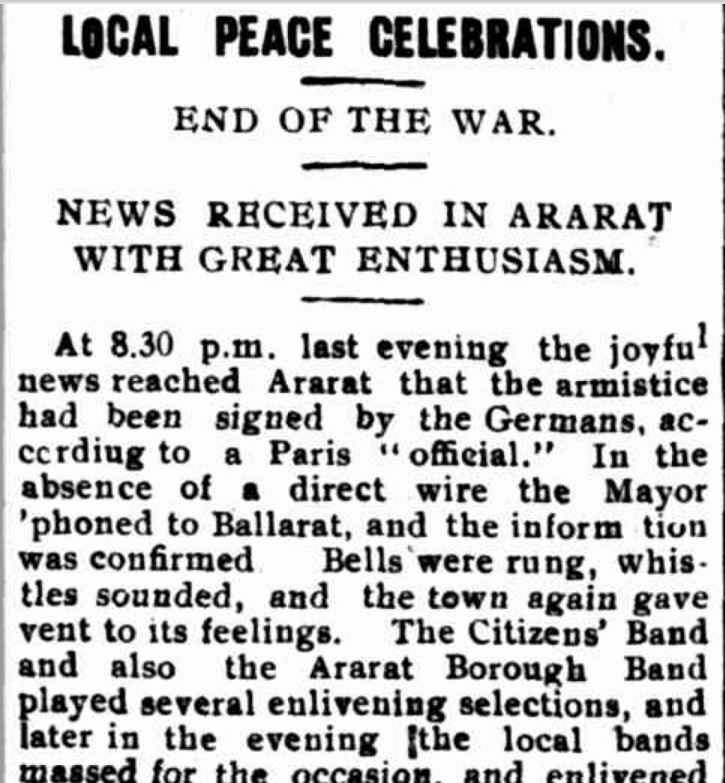 18 Dec 2014 <http://nla.gov.au/nla.news-article146710973&gt;. 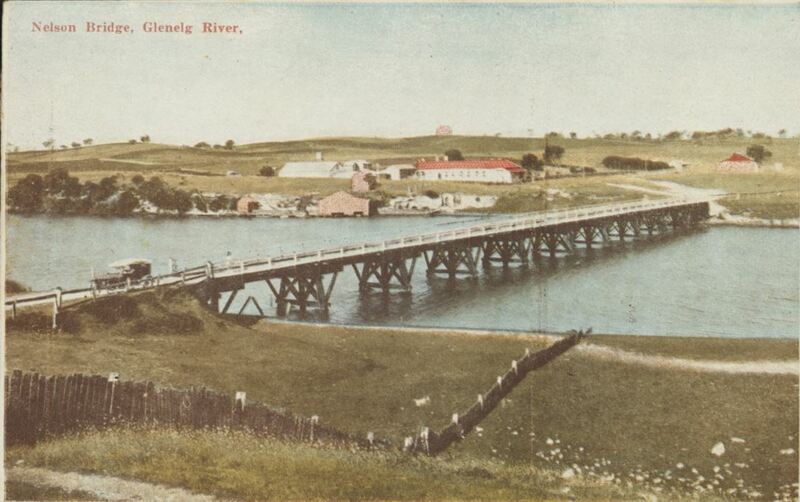 In 1889, John’s daughter Alice Gibson married Richard Stirling McKechnie of Balmoral. “Family Notices.” The Australasian (Melbourne, Vic. : 1864 – 1946) 23 Feb 1889: 53. Web. 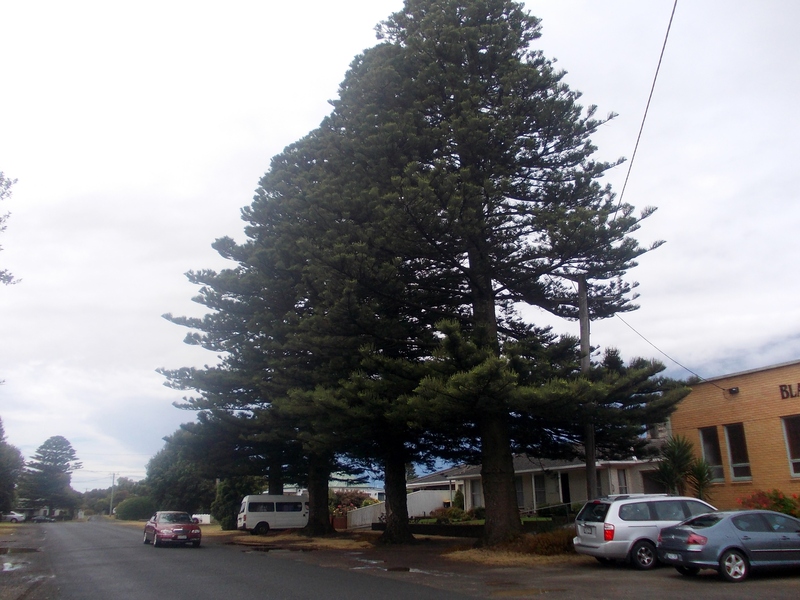 18 Dec 2014 <http://nla.gov.au/nla.news-article139697003&gt;. 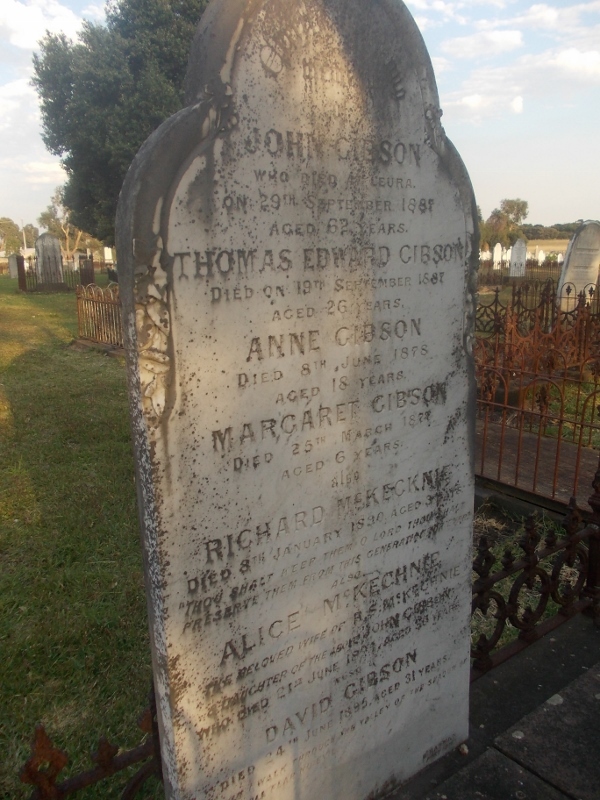 In 1890, a son Richard was born to Alice and Richard but he died in the same year and was buried in the Gibson plot. 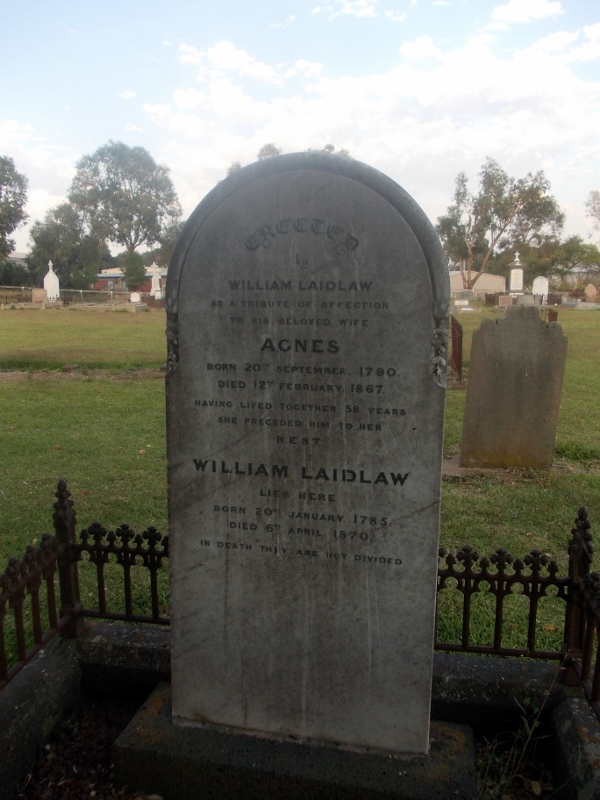 Alice passed away in 1894 and was also buried in the Gibson family plot. 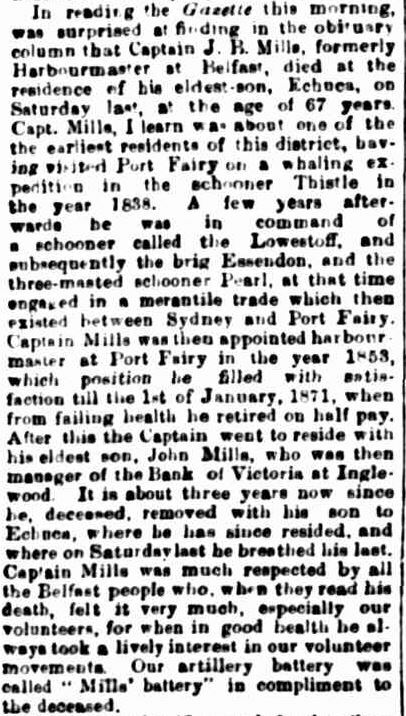 Richard McKechnie remarried to Jessie Ireland of Port Fairy. 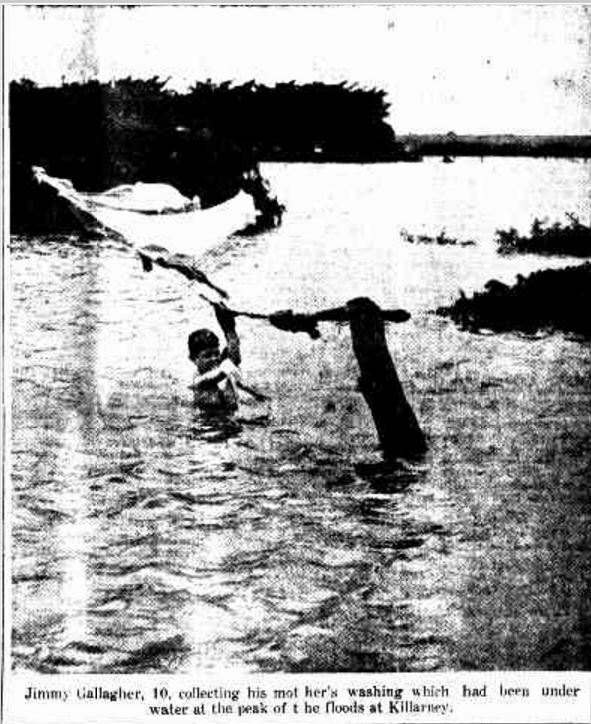 At the time, he was living at Lagoon Lodge, located to the west of the town. 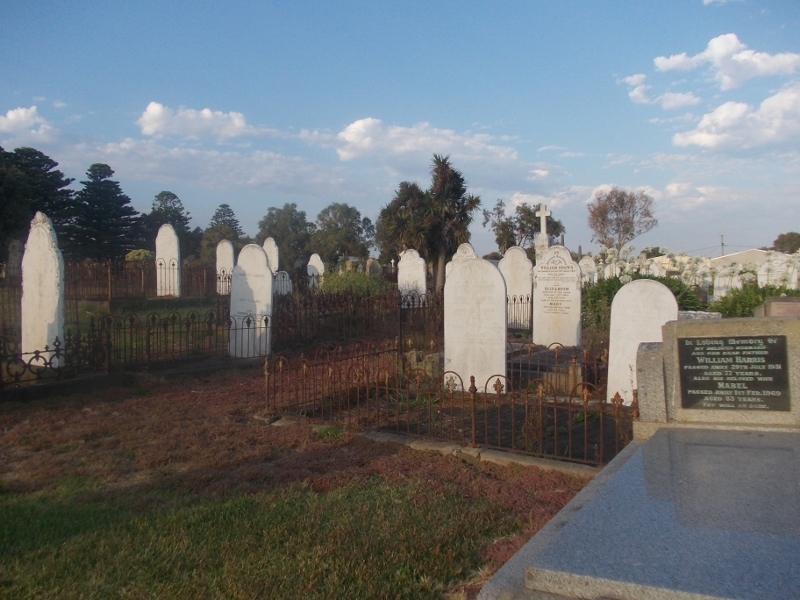 David Gibson was the next member of the family to pass away, on 24 June 1895 aged thirty-one. 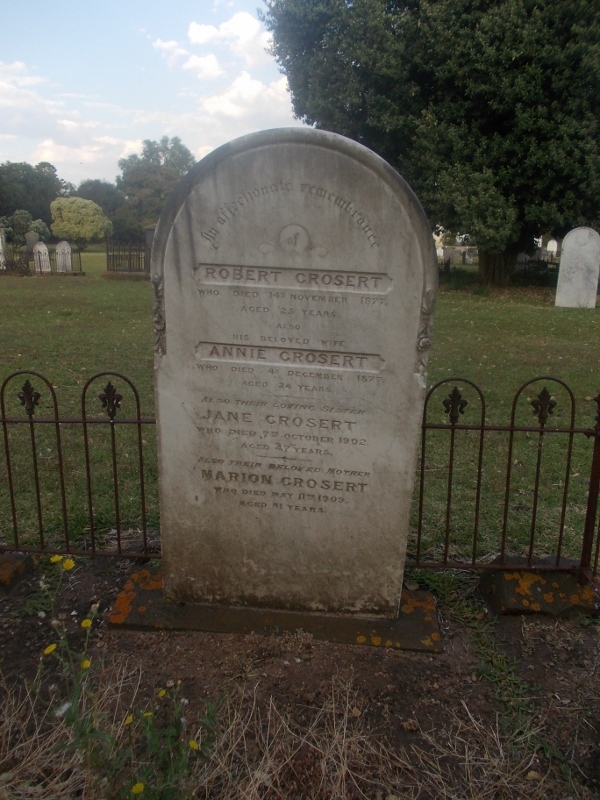 John Gibson’s wife Sarah Ann died in 1899 at Port Fairy. 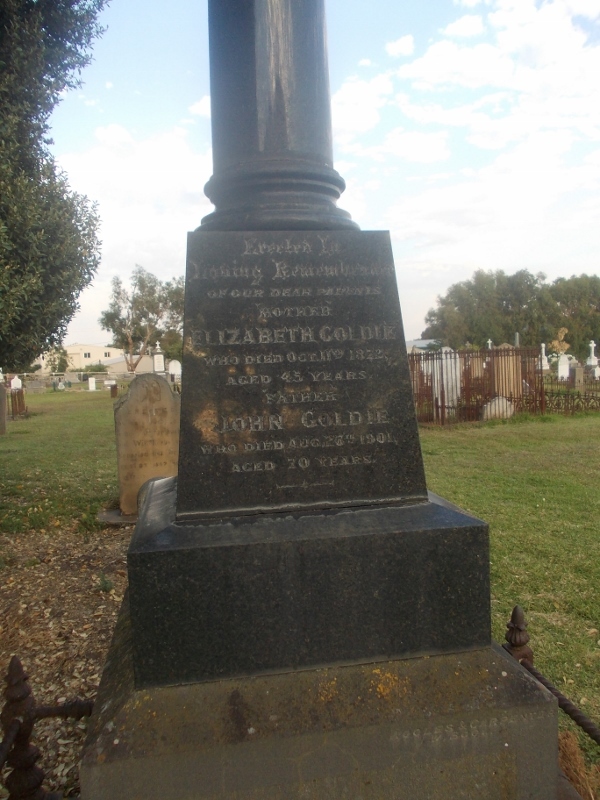 She was buried in another grave with their youngest son Charles James Gibson who died in 1902 aged twenty-three. 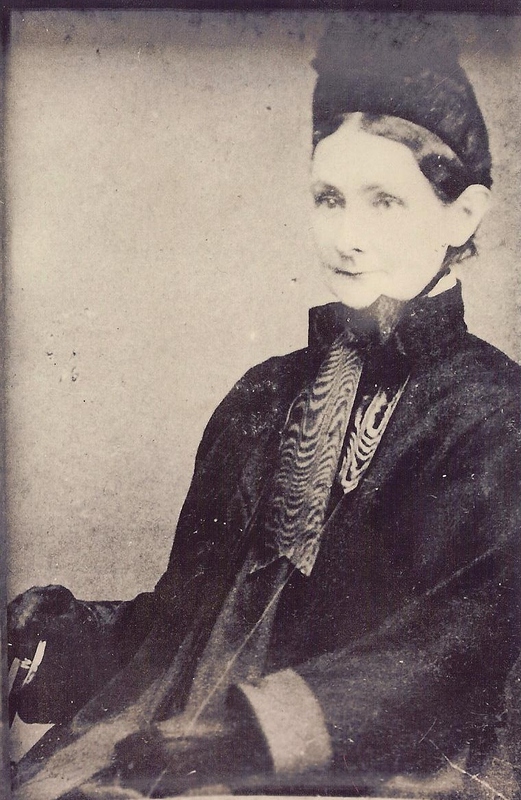 Also Sarah’s mother Ann Taylor who died in 1909 aged eighty-seven. 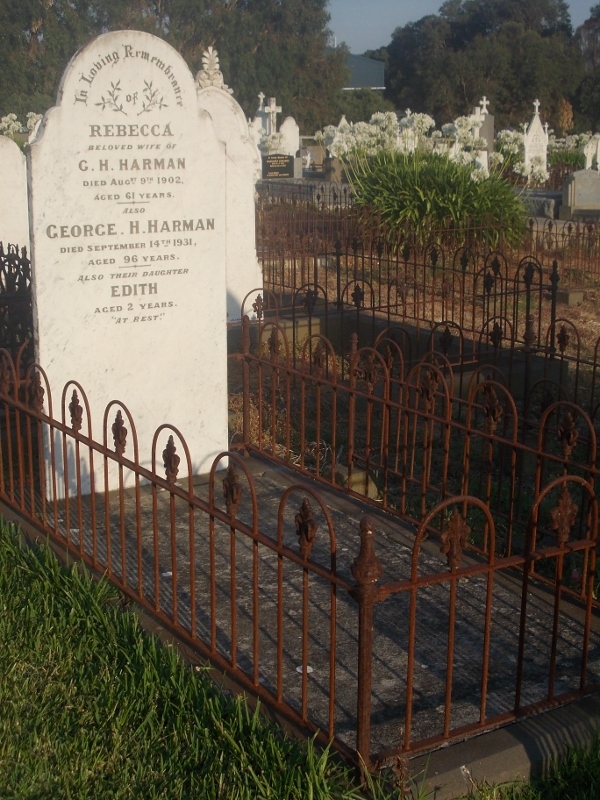 There is only one G. Harman of Port Fairy I know of and that is ggg uncle George Hall Harman whose own headstone in the Port Fairy Cemetery is below. 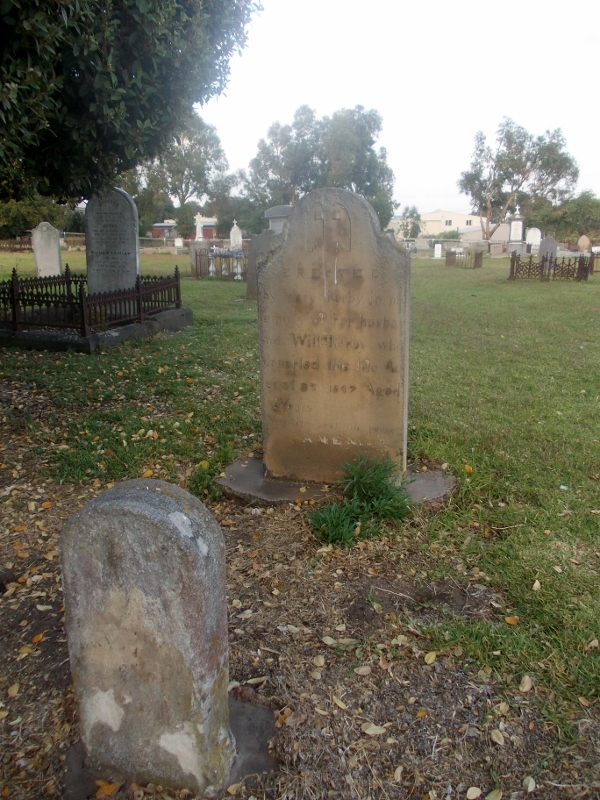 He was buried with his wife Rebecca Graham and their headstone remembers their daughter Edith who died in 1866 at Byaduk. The following headstone originated out of tragedy. 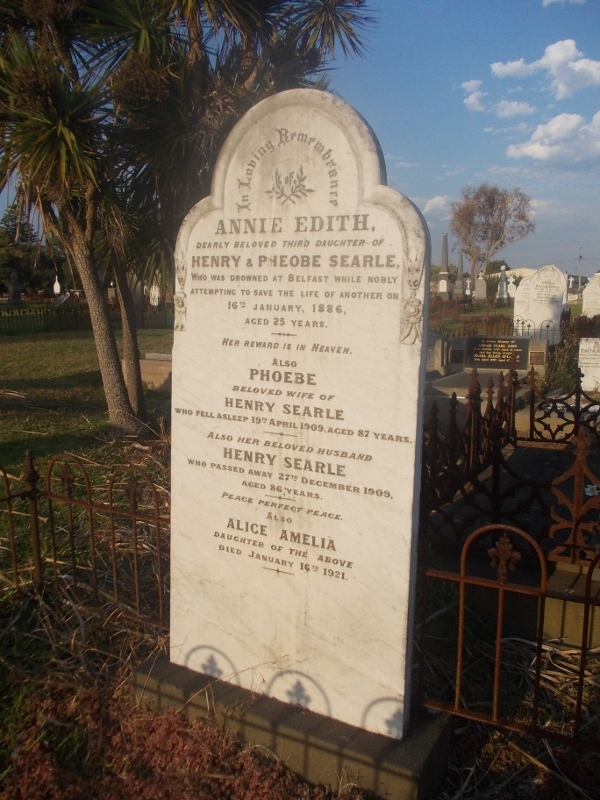 On a Sunday morning during December 1886, Annie Edith Searle daughter of nurseryman Henry Searle and Phoebe Robins of Port Fairy, drowned at Boarding School Bay, just west of the township. 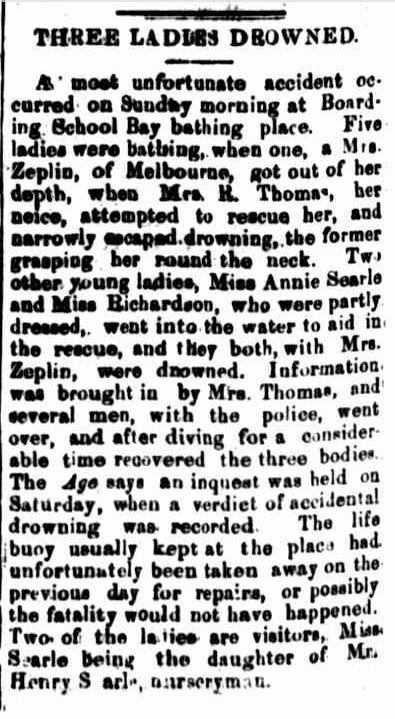 “THREE LADIES DROWNED.” The North Eastern Ensign (Benalla, Vic. : 1872 – 1938) 19 Jan 1886: 2. Web. 19 Dec 2014 . 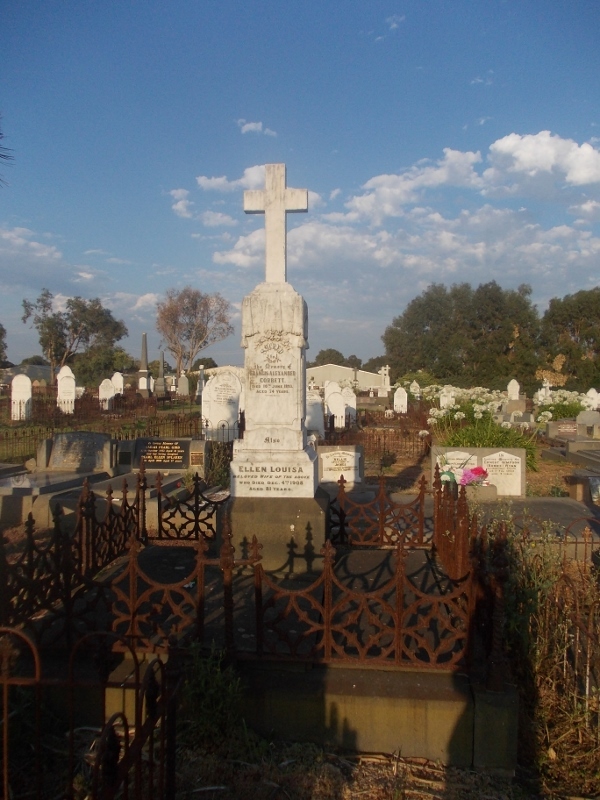 Mother Phoebe, passed away on 19 April 1909 aged eighty-seven and her husband Henry Searle passed away eight months later, on 27 December aged eighty-six. 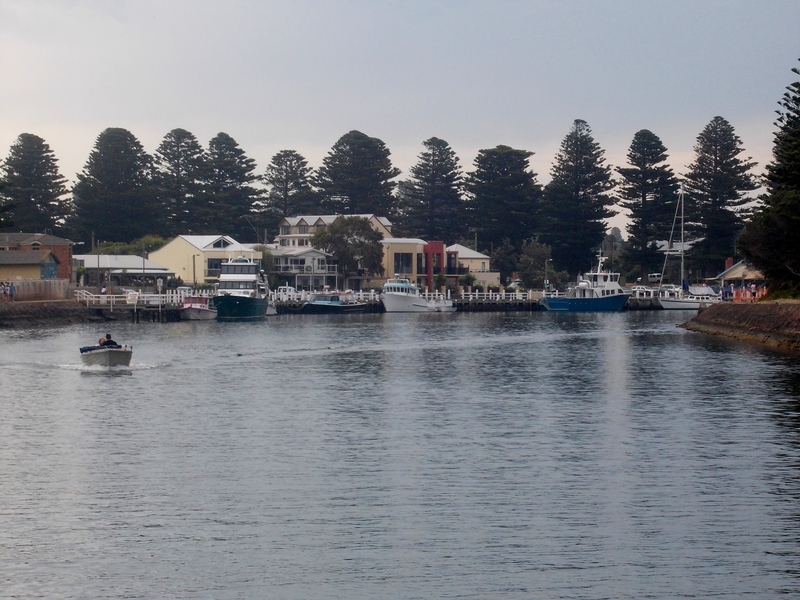 “PORT FAIRY.” Geelong Advertiser (Vic. : 1859 – 1924) 7 Jan 1910: 4. Web. 11 Jan 2015 . 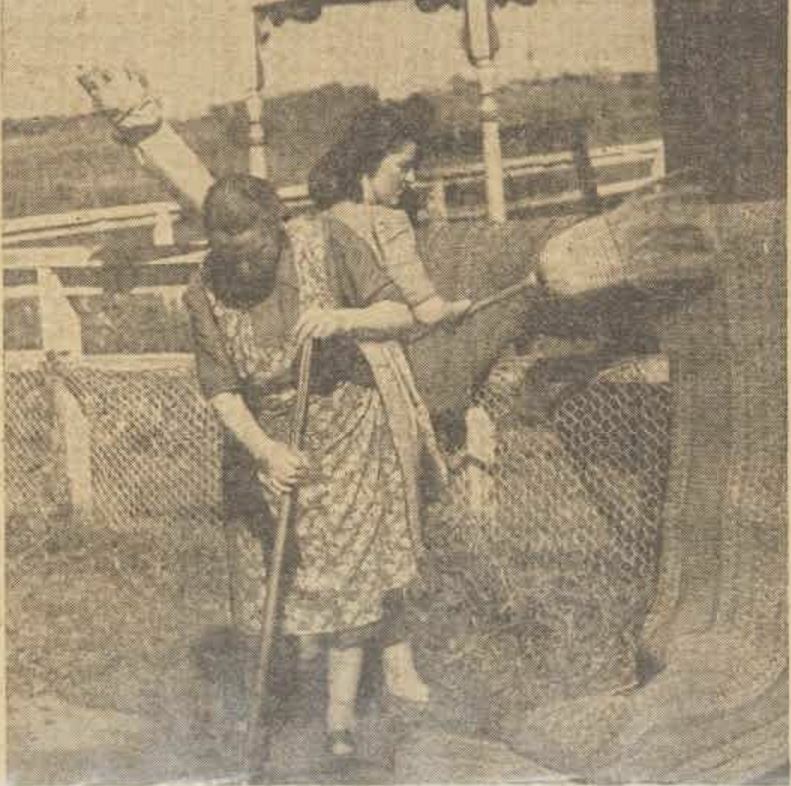 In 1922, another daughter Alice Amelia was buried in the plot, passing away at the age of sixty-three. 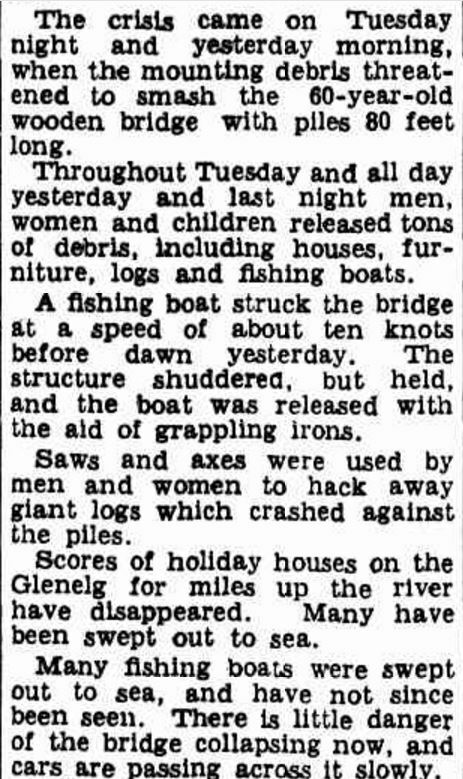 “Family Notices.” The Argus (Melbourne, Vic. : 1848 – 1957) 19 Jan 1921: 1. Web. 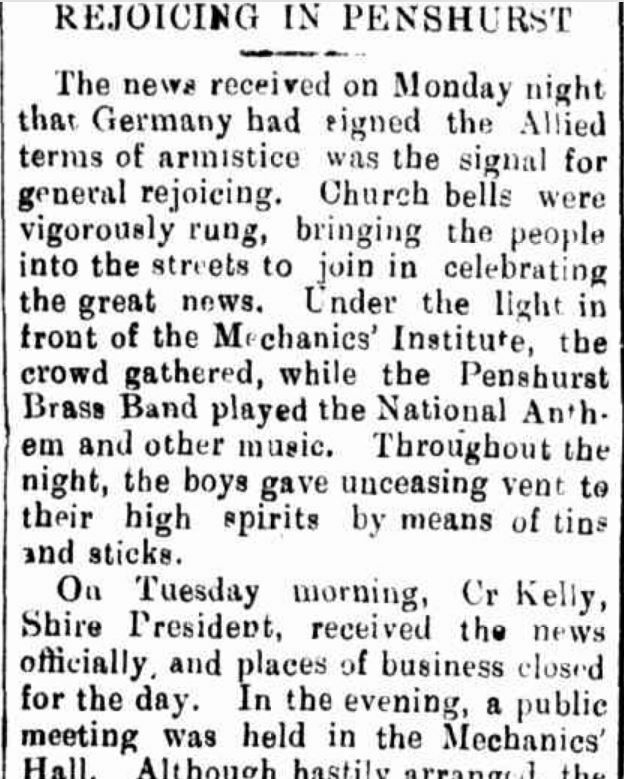 19 Dec 2014 <http://nla.gov.au/nla.news-article1733152&gt;. 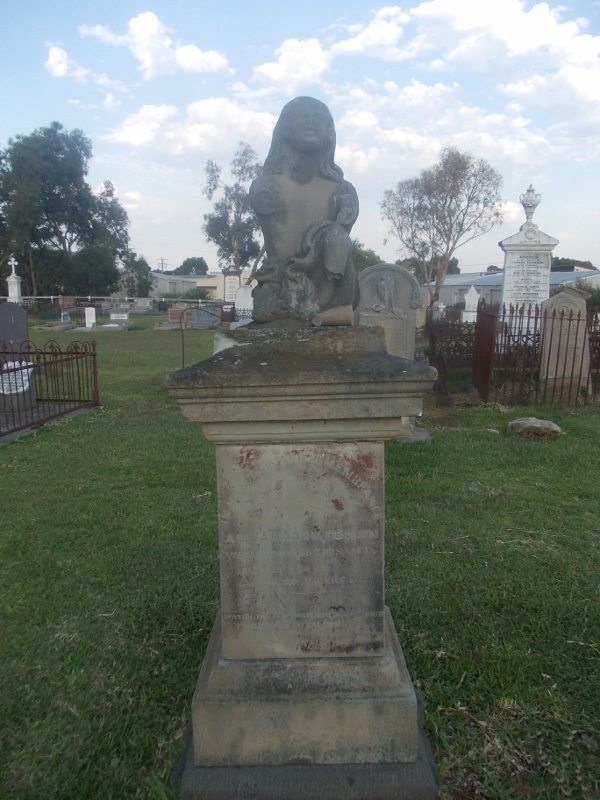 The following grave is that of infant Robert Vincent Ware. 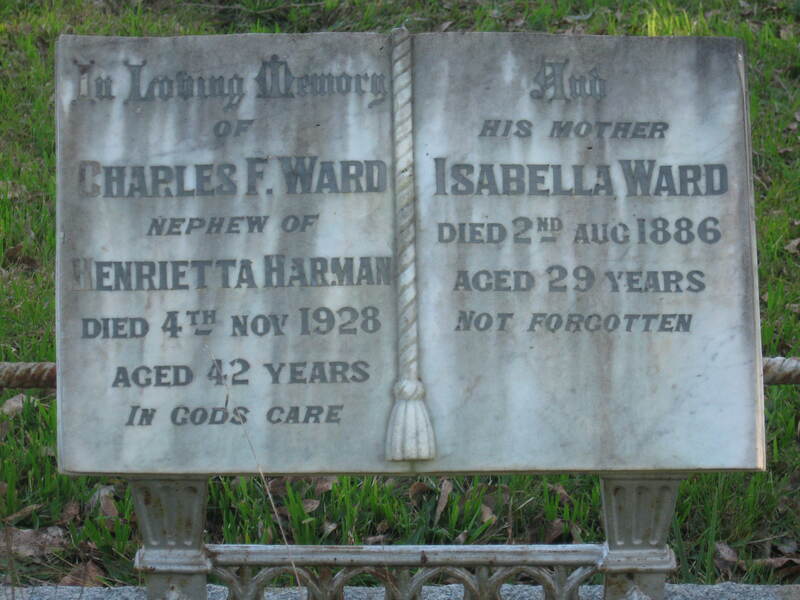 Robert Ware was the two-year-old son of James Ware and Jane Mailor and was born in 1854 at Belfast. 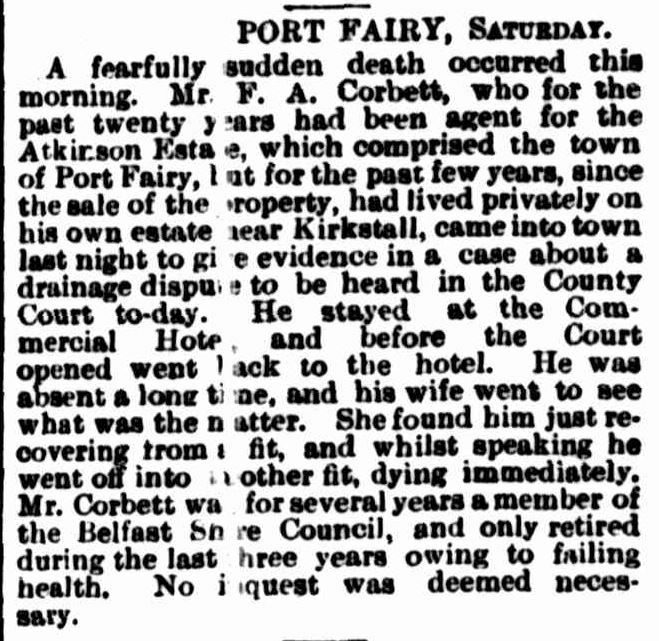 He died in 1856. 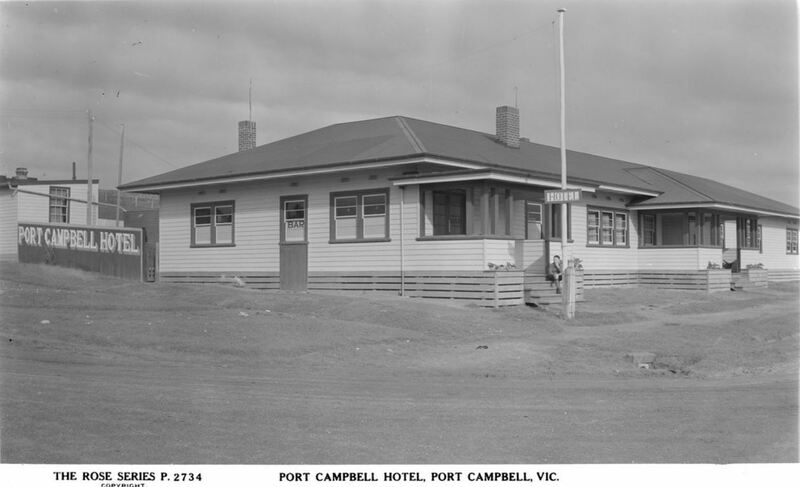 From the 1856 Victorian Electoral Roll, I found that James Ware was a licensed victualler and was a leaseholder on the corner of James and Bank Street, the location of the Caledonian Inn in Port Fairy. 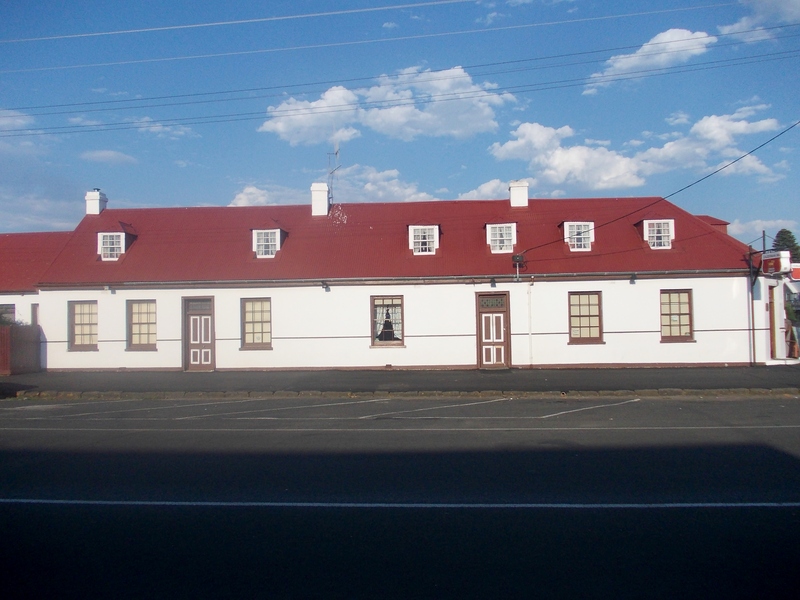 Construction of the inn began in 1844. 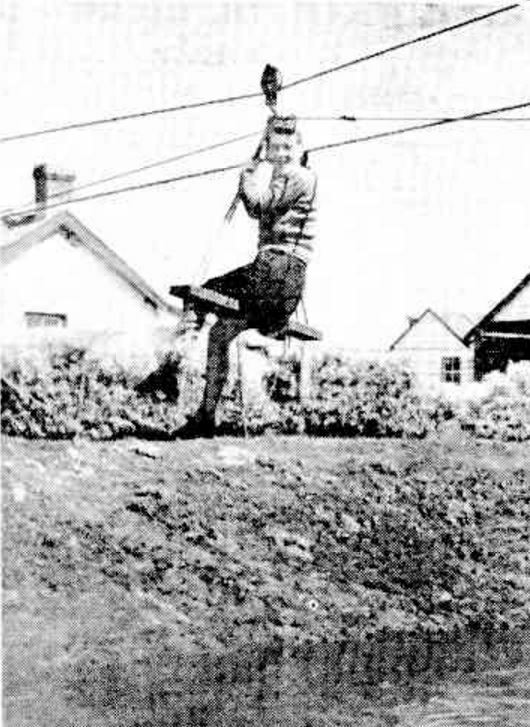 James and Jane had at least another three children after Robert’s death, Susan, Alice and Mary Ann. 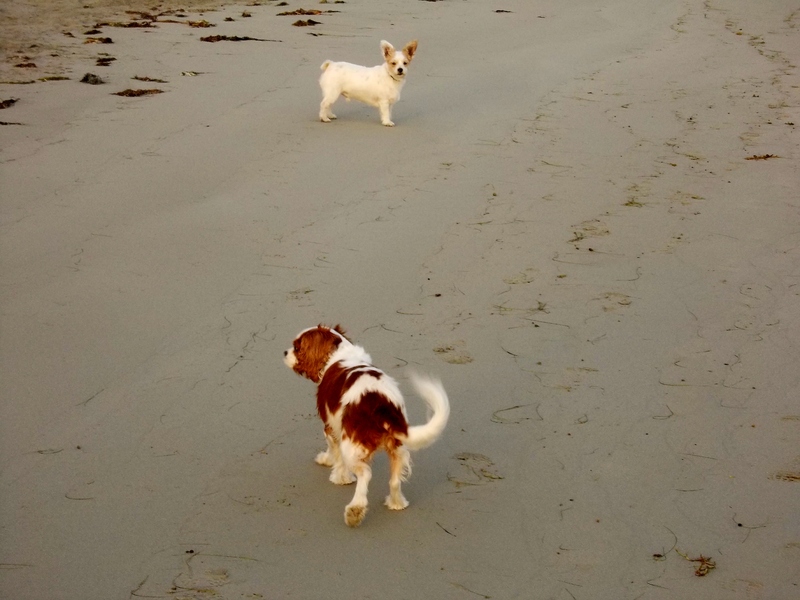 They were born at Port Fairy and Rosebrook. 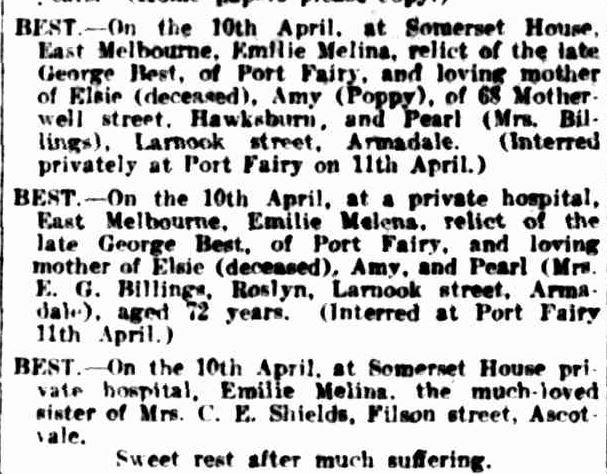 I’m still to find what happened to James Ware, but I do know that by 1894, Jane had moved to Melbourne, taking up residence at Bella Vista in East Melbourne where Susan passed away in 1894. 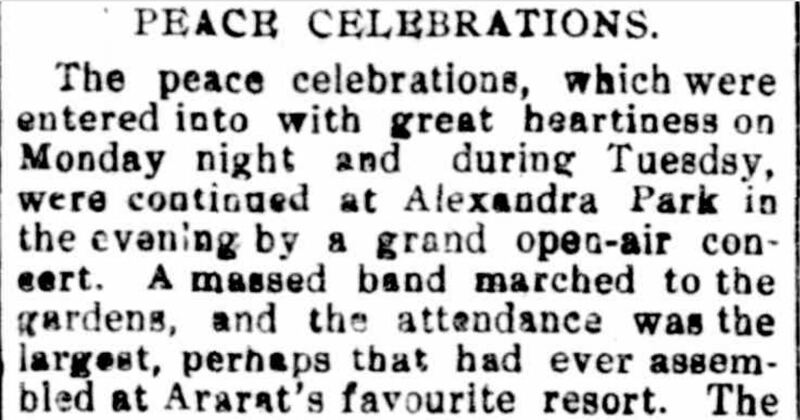 “Family Notices.” The Argus (Melbourne, Vic. : 1848 – 1957) 5 Mar 1894: 1. Web. 14 Jan 2015 <http://nla.gov.au/nla.news-article8730679&gt;. 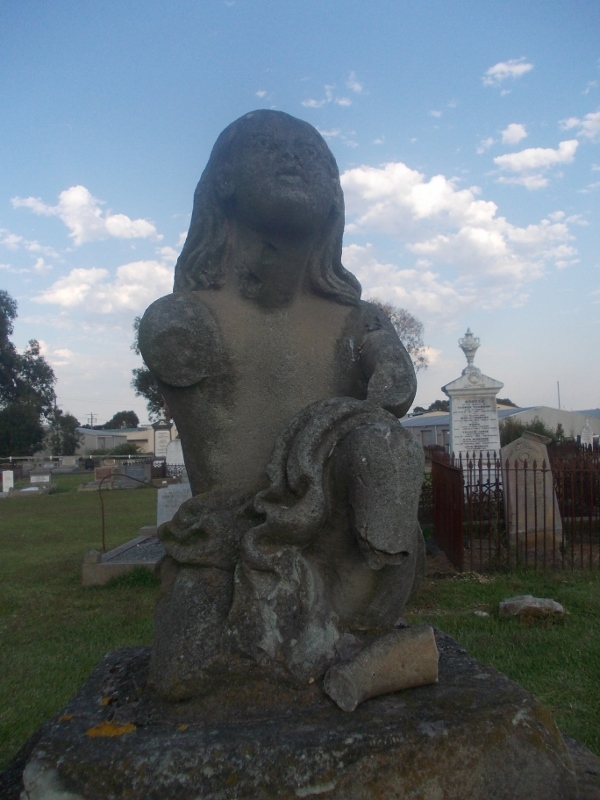 Jane Ware passed away in Sydney on 17 September 1900. 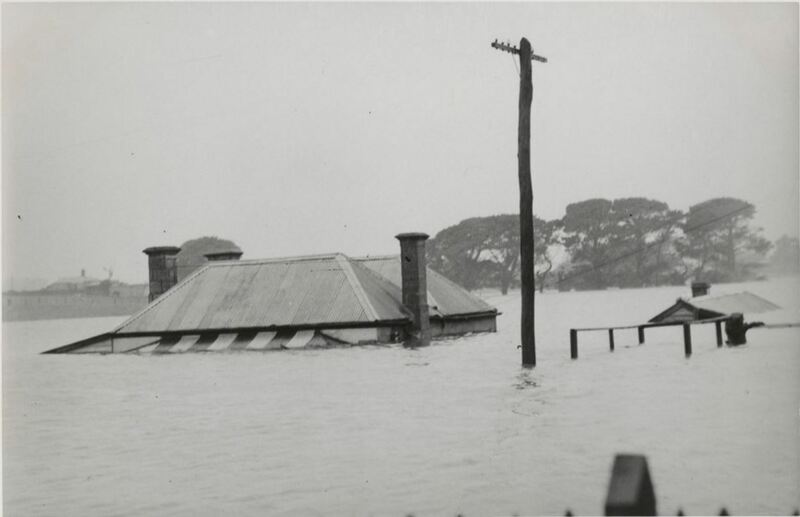 She died at 71C Darlinghurst Road, at that time operating as a boarding house. “Family Notices.” The Australasian (Melbourne, Vic. 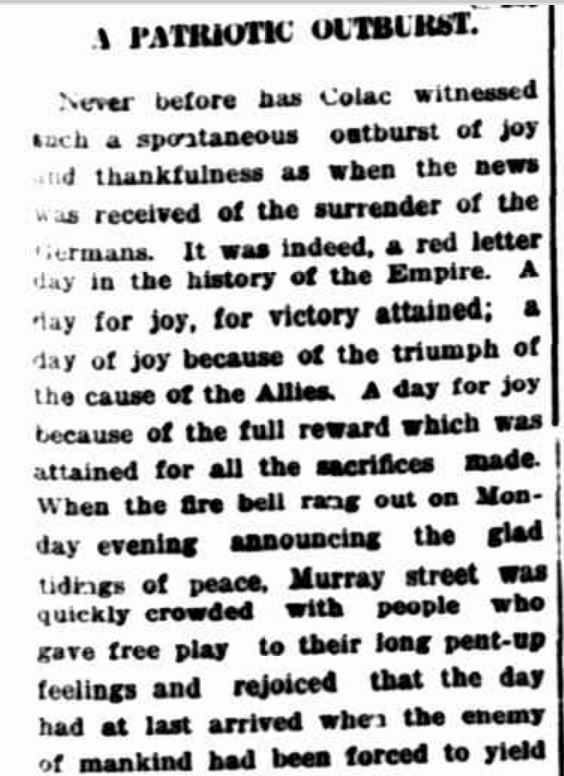 : 1864 – 1946) 29 Sep 1900: 55. Web. 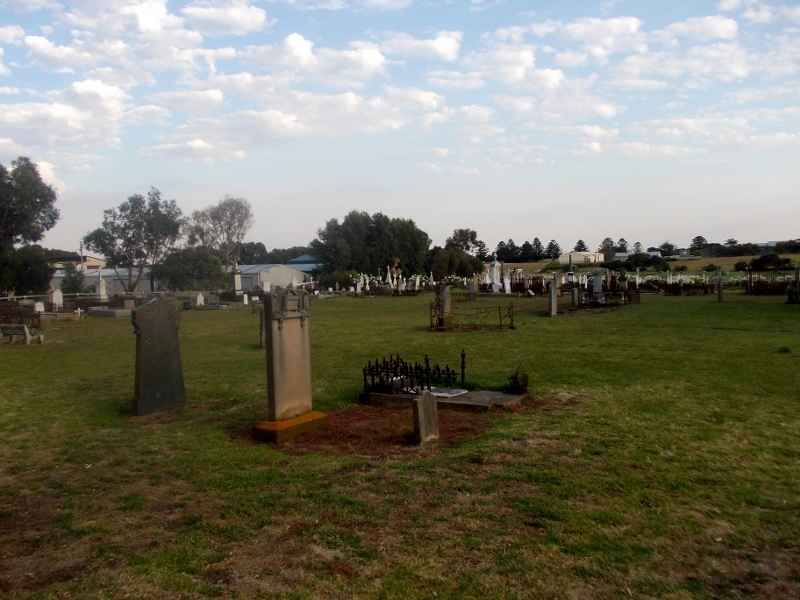 14 Jan 2015 <http://nla.gov.au/nla.news-article139156386&gt;. 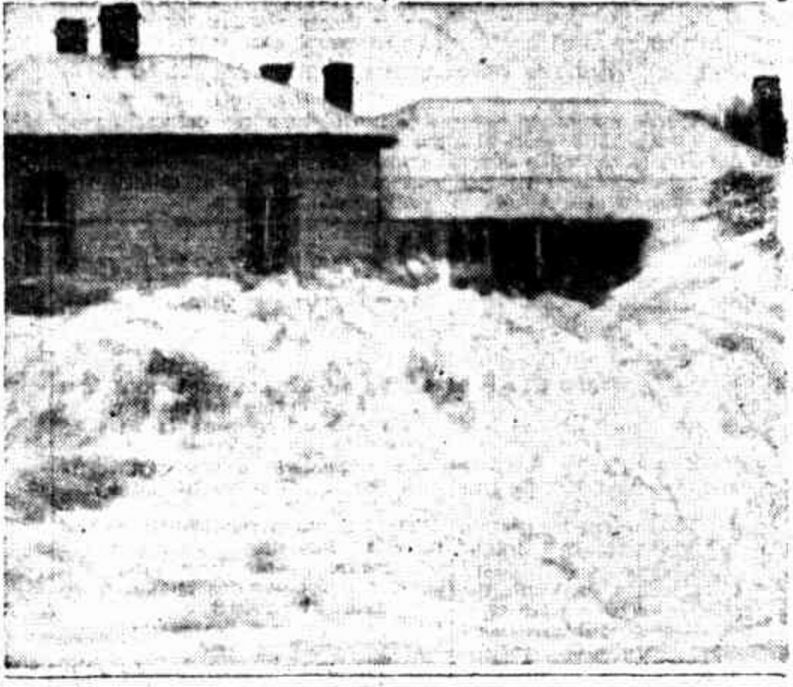 Daughter Mary Jane stayed on at Bella Vista and passed away in 1939. “Family Notices.” The Argus (Melbourne, Vic. : 1848 – 1957) 10 Feb 1939: 10. Web. 17 Jan 2015 <http://nla.gov.au/nla.news-article12095589&gt;. 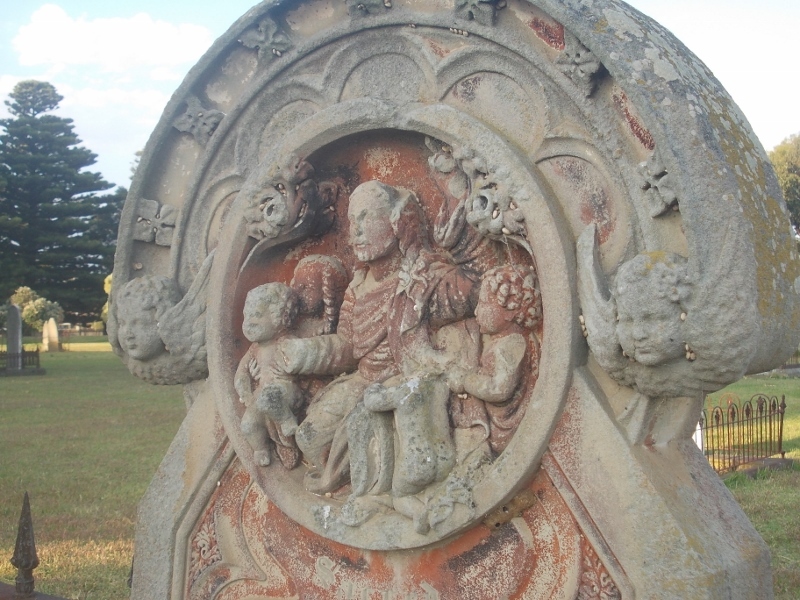 The headstone of Abijah Brown is one of the most distinctive in the Port Fairy cemetery. The 1856 Victorian Electoral Rolls shows that Abijah was at that time the licensee of the Stag Hotel in Sackville Street. 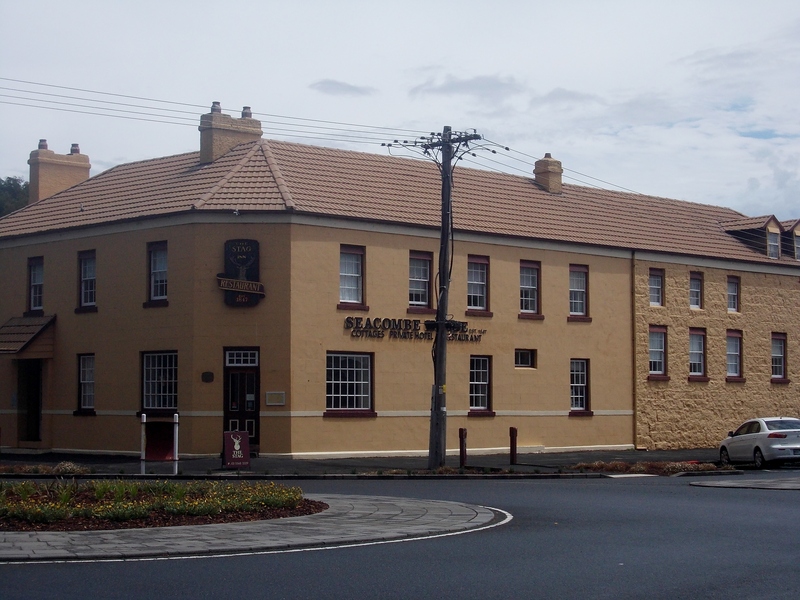 SEACOMBE HOUSE, PORT FAIRY FORMALLY THE STAG HOTEL. 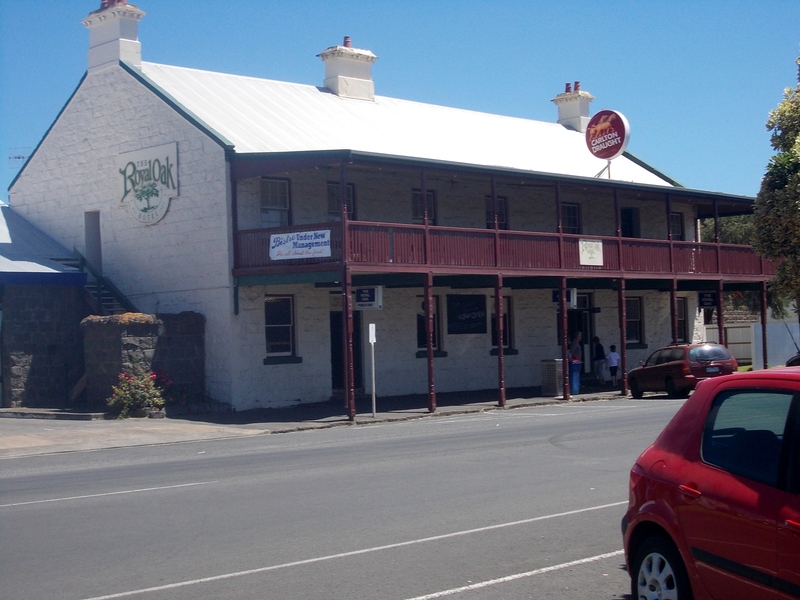 Abijah’s nickname was ‘Clockey’ because of the large gold watch and chain he wore and he took over license of The Stag hotel, Port Fairy in 1855. Pamela Marriott in her book “Time Gentlemen Please,” mentions Abijah was a jeweller which explains his gold watch. Abijah was also a councillor for a short time. 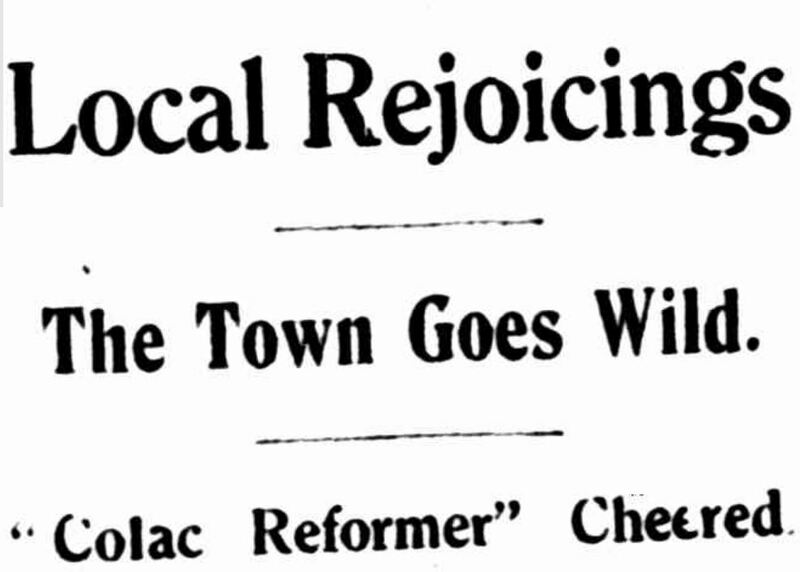 Prior to going to the Stag Hotel, he ran the Plough Inn at Killarney. 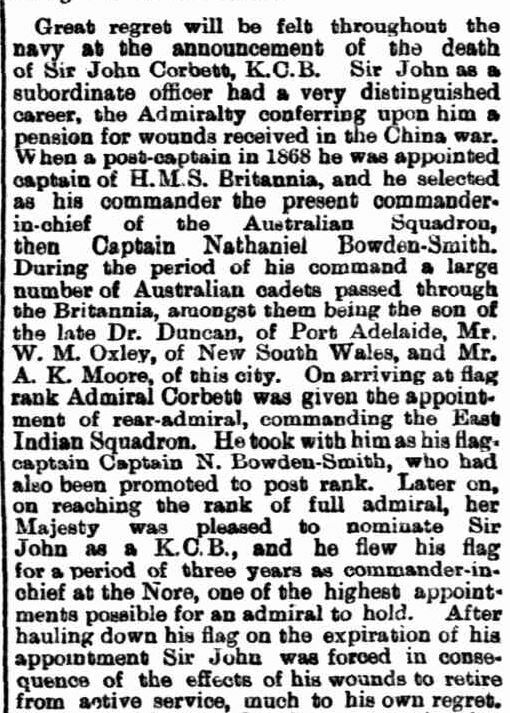 He died on 19 July 1862. 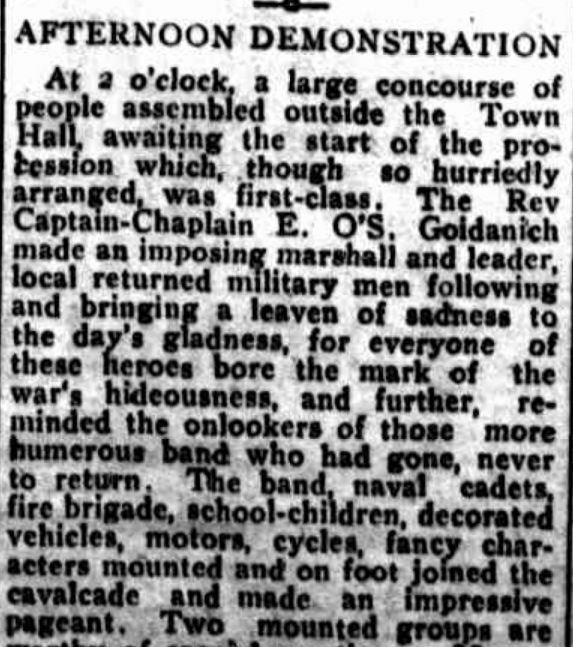 The men buried in the last two graves of this post had family links through marriage. 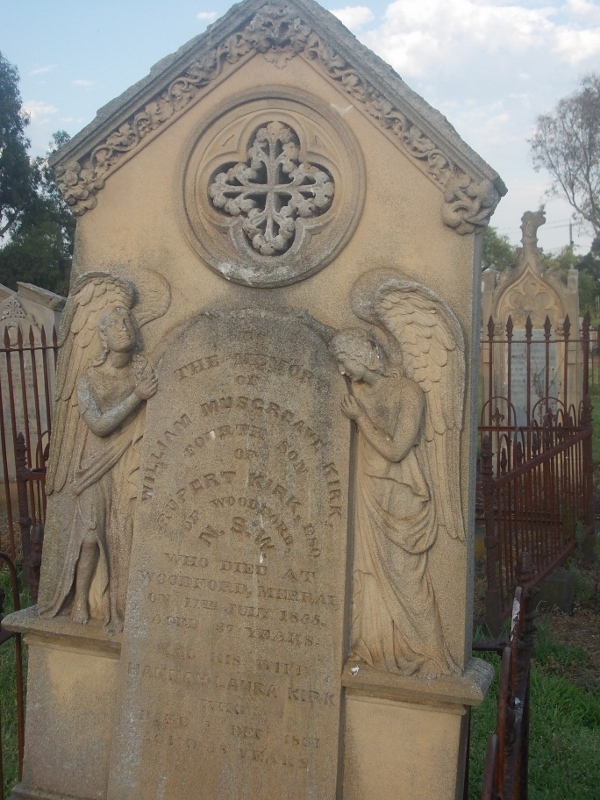 HEADSTONE WILLIAM MUSGREAVE AND HANNAH KIRK. 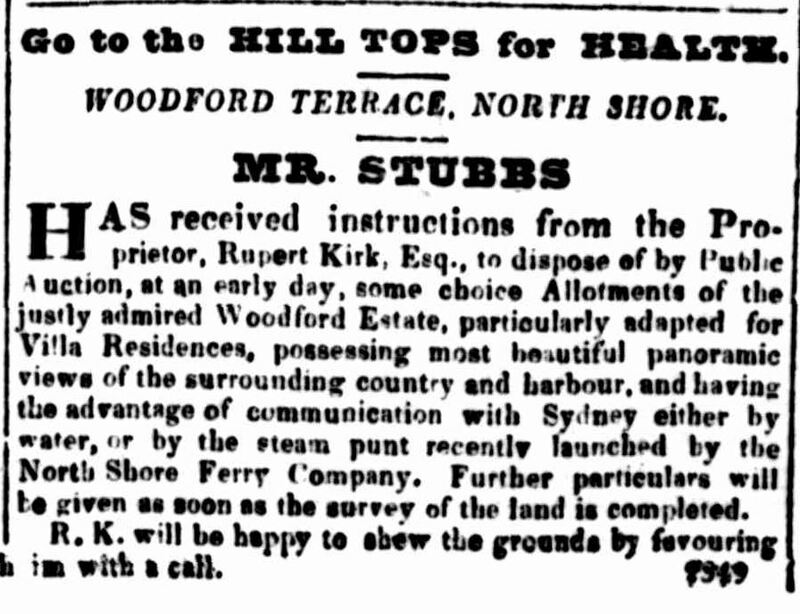 Rupert Kirk was a former army captain who purchased over 300 acres of land at Land Cove, Sydney in 1831. 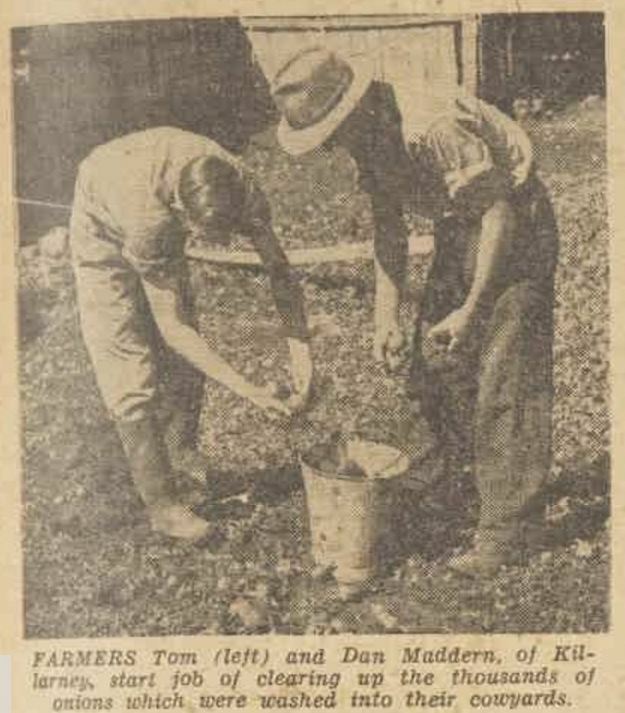 He established a soap making business and named his property Woodford Park. 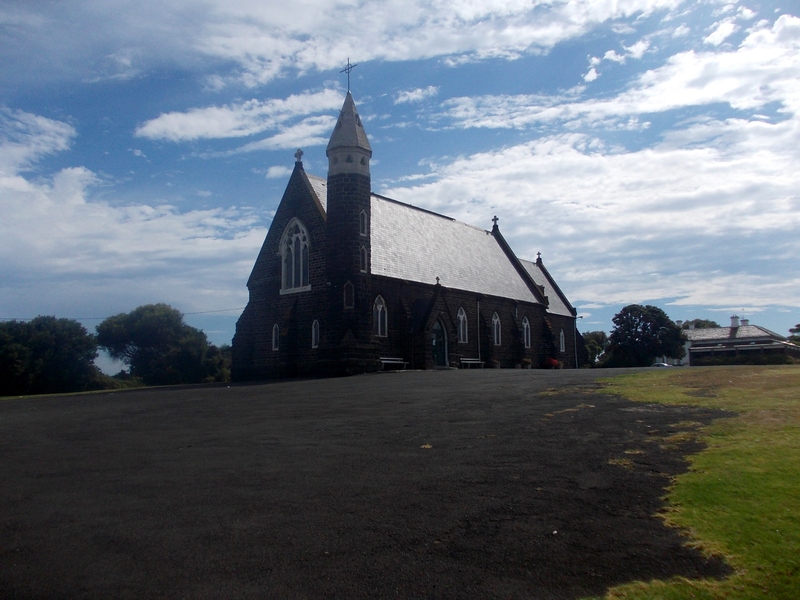 He was also the father of William Musgreave Kirk buried in the Port Fairy Cemetery (above). 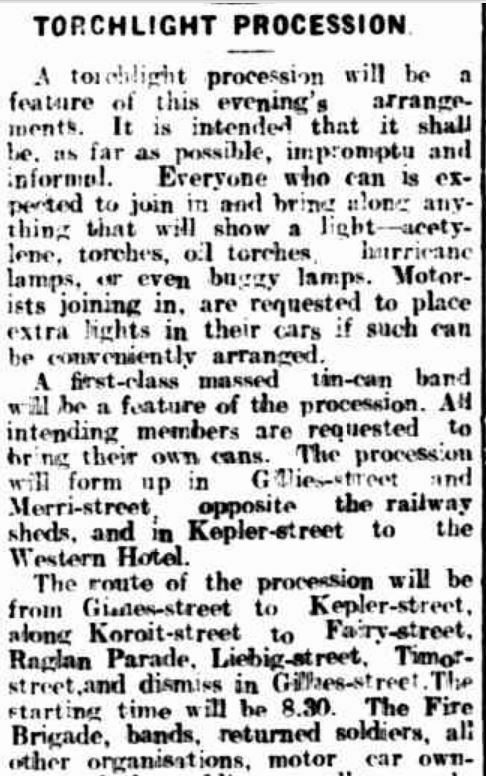 “Classified Advertising.” The Sydney Gazette and New South Wales Advertiser (NSW : 1803 – 1842) 13 May 1841: 4. Web. 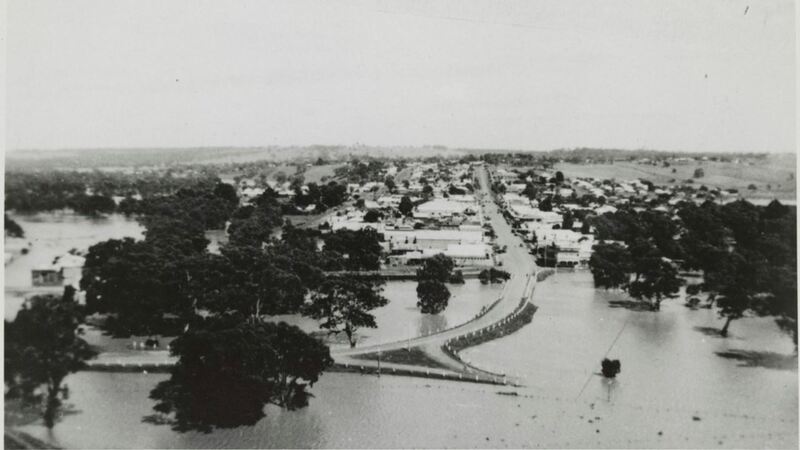 20 Dec 2014 <http://nla.gov.au/nla.news-article2553302&gt;. 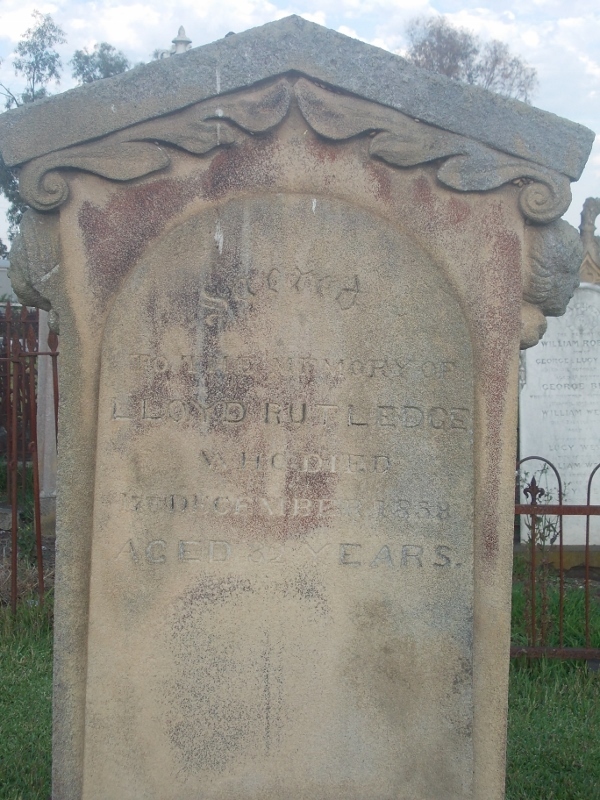 Rupert passed away on 8 March 1850. 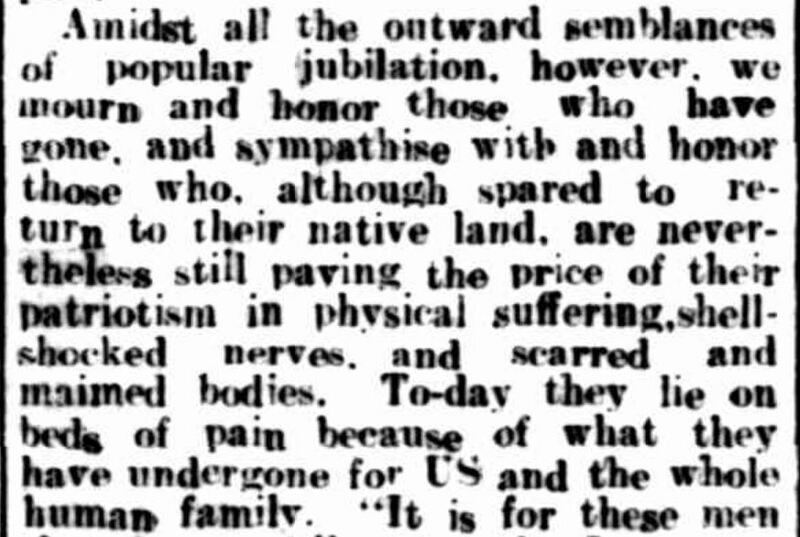 “Family Notices.” The Sydney Morning Herald (NSW : 1842 – 1954) 11 Mar 1850: 3. Web. 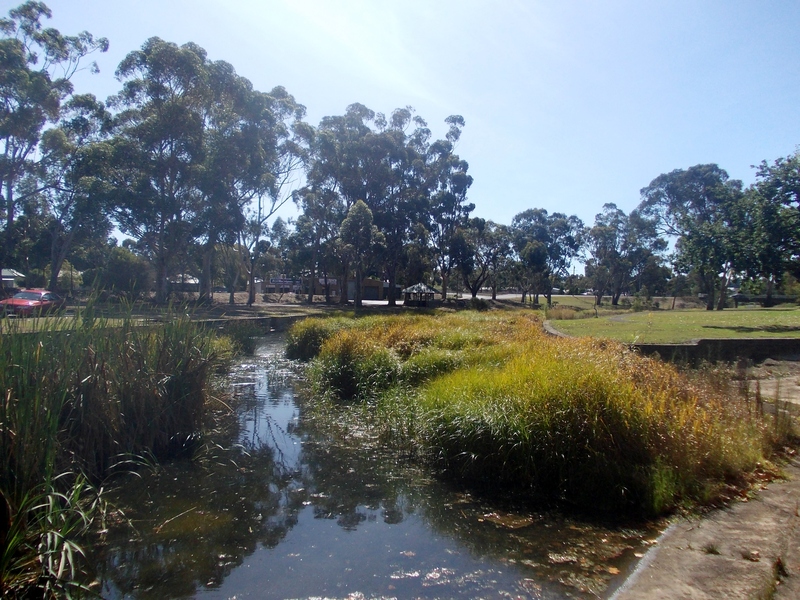 20 Dec 2014 <http://nla.gov.au/nla.news-article12916317&gt;. 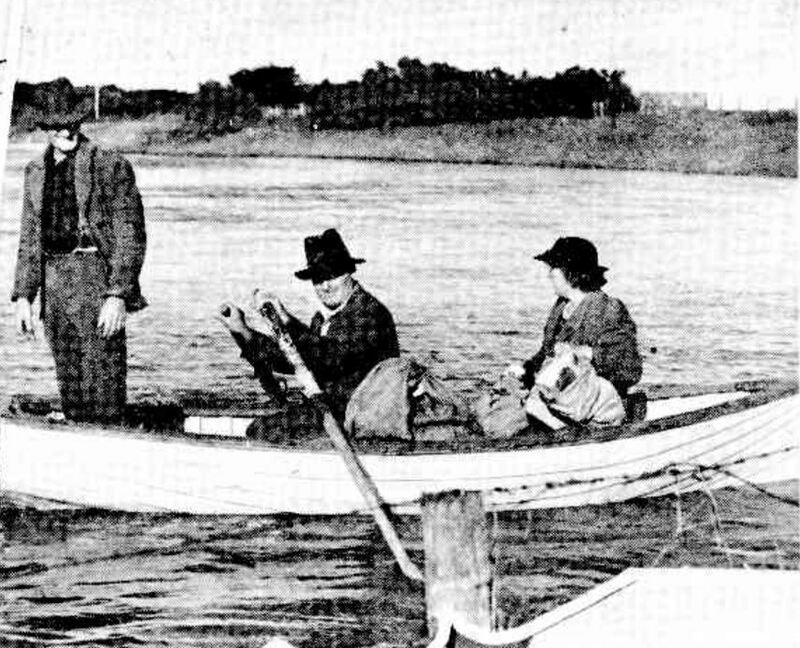 Only weeks earlier, Rupert’s son William Kirk married Hannah Lindsay in Sydney. 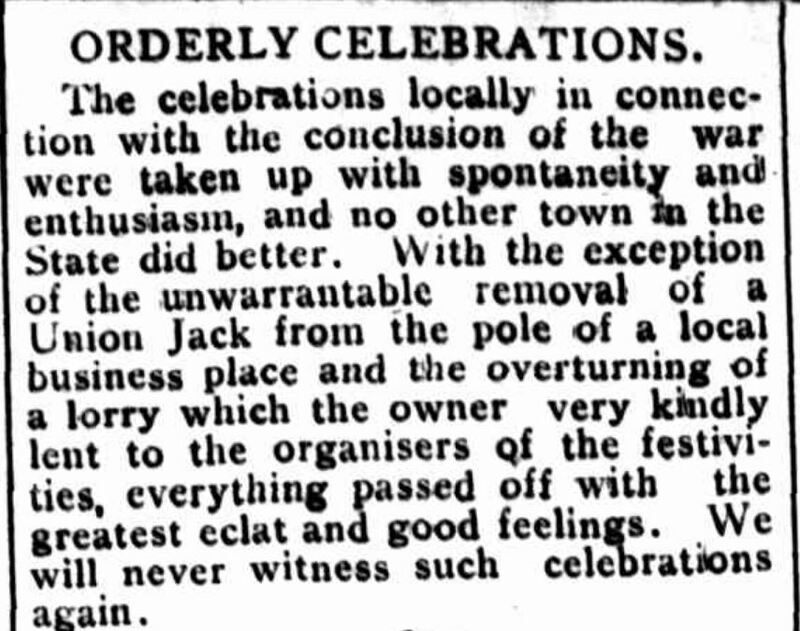 “Family Notices.” The Sydney Morning Herald (NSW : 1842 – 1954) 26 Jan 1850: 3. Web. 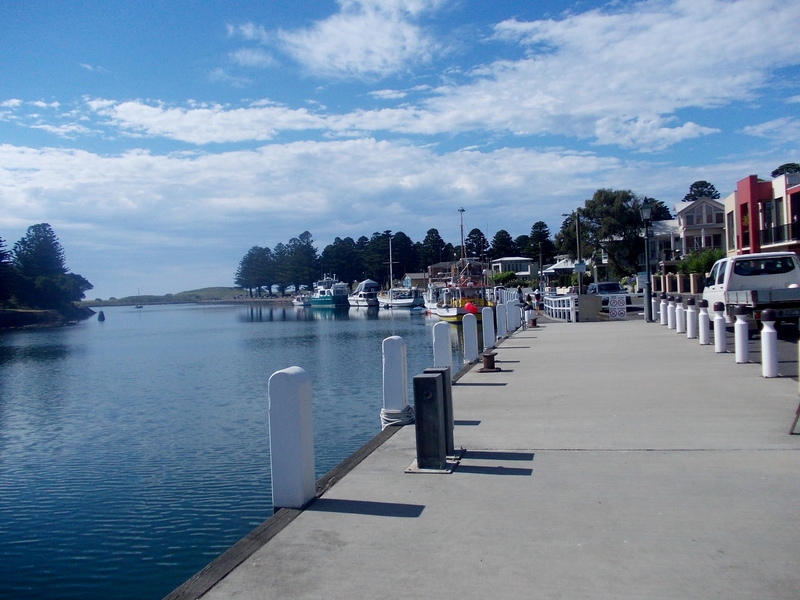 20 Dec 2014 <http://nla.gov.au/nla.news-article12915234&gt;. 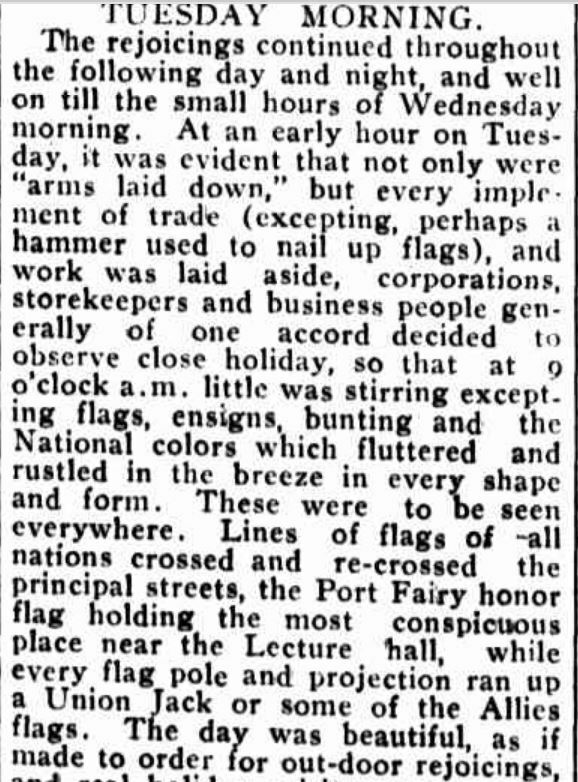 “Advertising.” The Sydney Morning Herald (NSW : 1842 – 1954) 6 Mar 1850: 3. Web. 20 Dec 2014 . 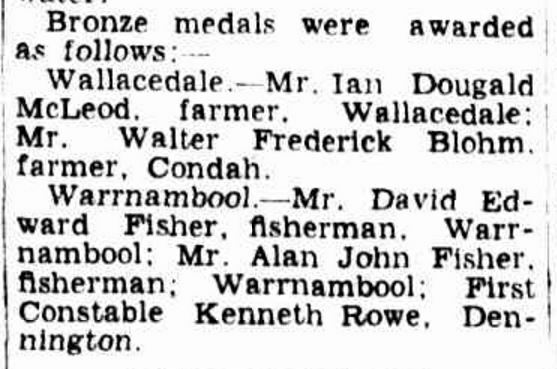 Alos at that time, William’s sister was living in the Port Fairy district, marrying Horace Flower there in 1850 as reported by The Argus on 19 October 1850. 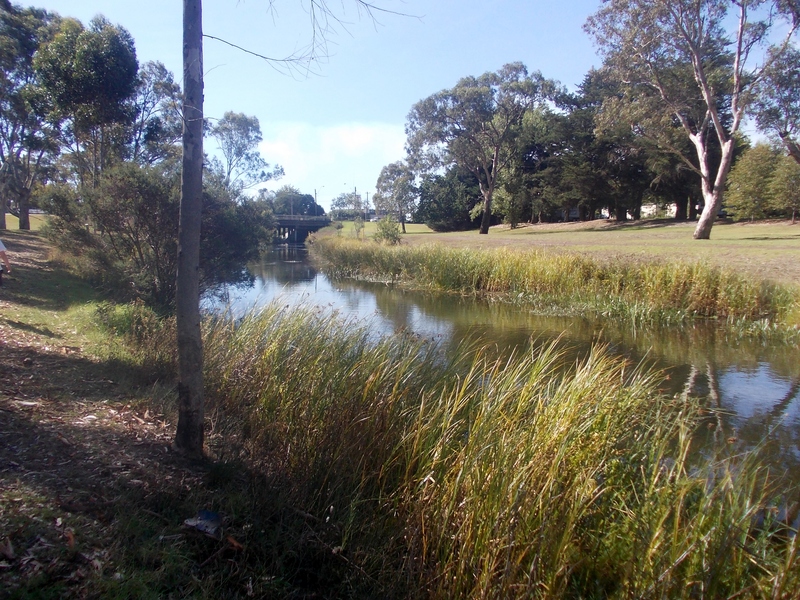 William Kirk was in Victoria some time from the early 1850s living by the Merri Creek near Woodford. 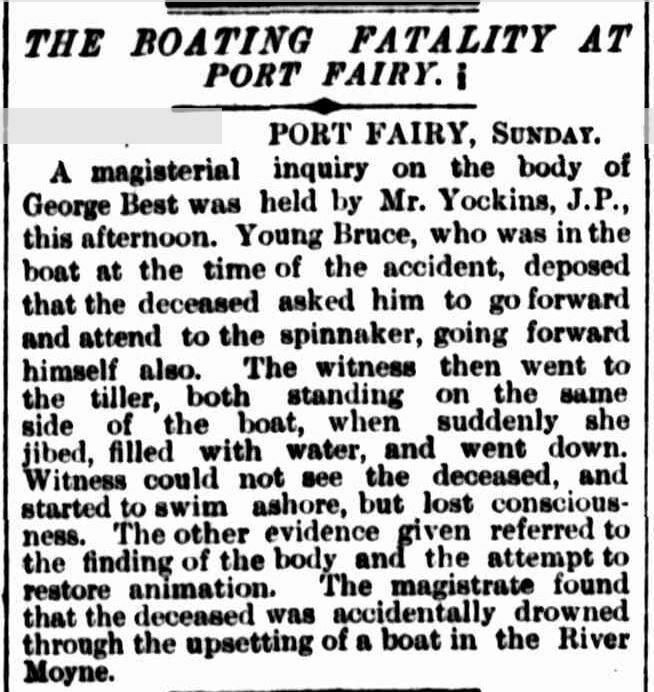 He died there on 11 July 1855. “Family Notices.” The Argus (Melbourne, Vic. : 1848 – 1957) 18 Jul 1855: 4. Web. 20 Dec 2014 <http://nla.gov.au/nla.news-article4812501&gt;. Hannah Lindsay, William’s wife passed away on 2 December 1864 and was buried in the same grave. 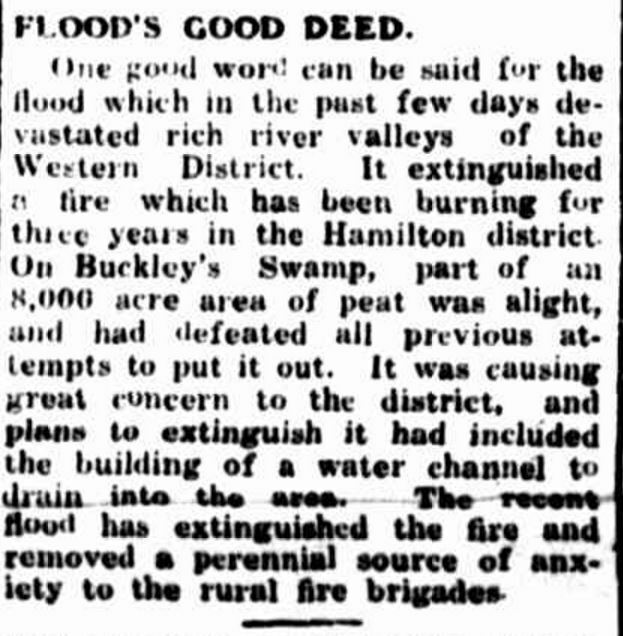 “Family Notices.” The Argus (Melbourne, Vic. 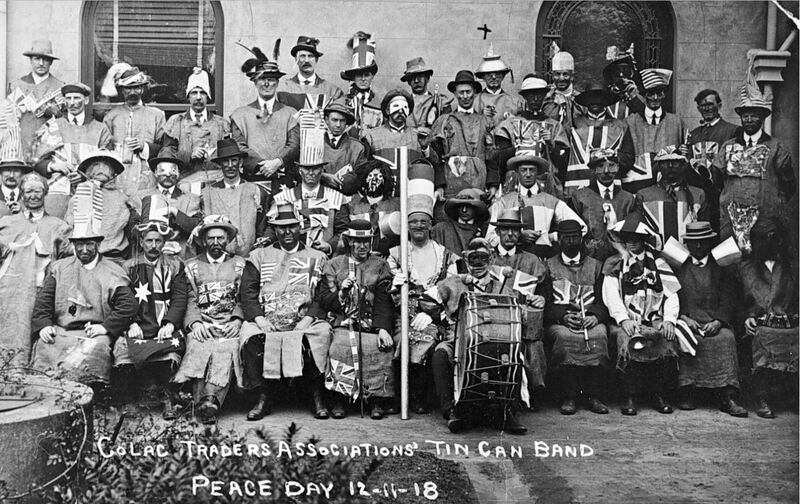 : 1848 – 1957) 13 Dec 1864: 4. Web. 20 Dec 2014 <http://nla.gov.au/nla.news-article5748104&gt;. 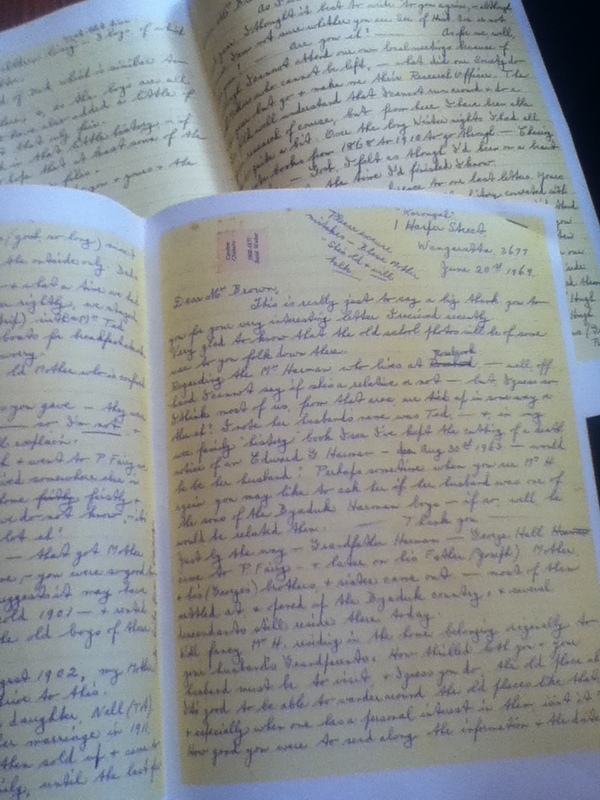 As mentioned, there is a link between William Kirk and the next grave’s occupant, Lloyd Rutledge. 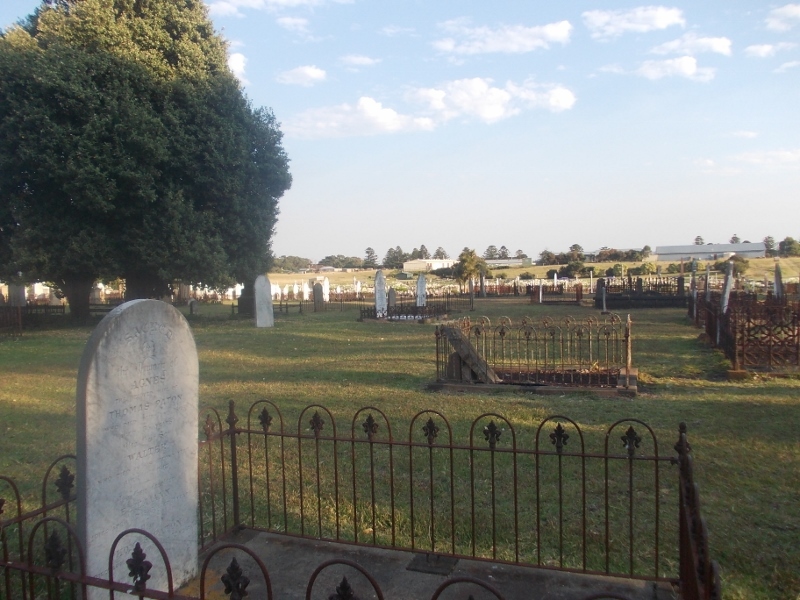 If you believe in ghosts, Lloyd Rutledge’s grave is a must see especially if you visit on the night of 17 December when Lloyd is said to appear each year at his grave. 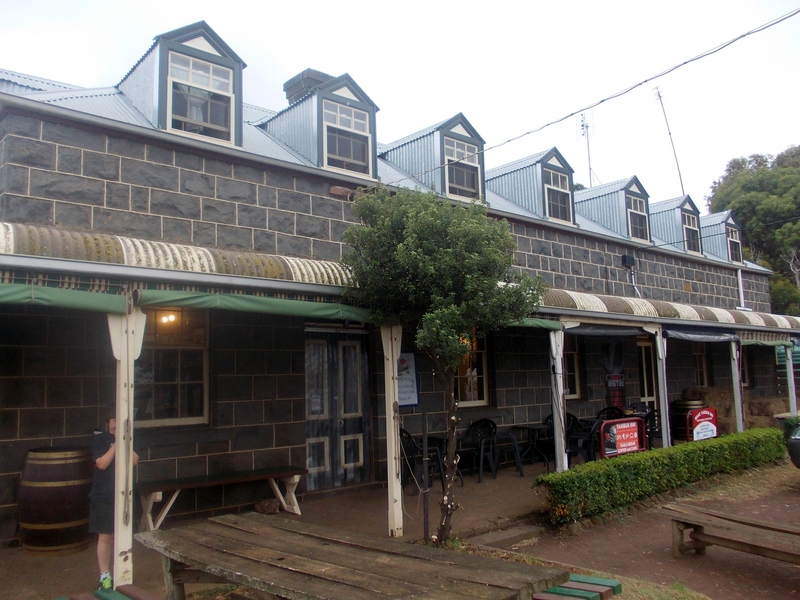 Lloyd was the younger brother of William Rutledge who arrived in Port Fairy around 1843 and established William Rutledge & Co. a mercantile company shipping goods to and from England. 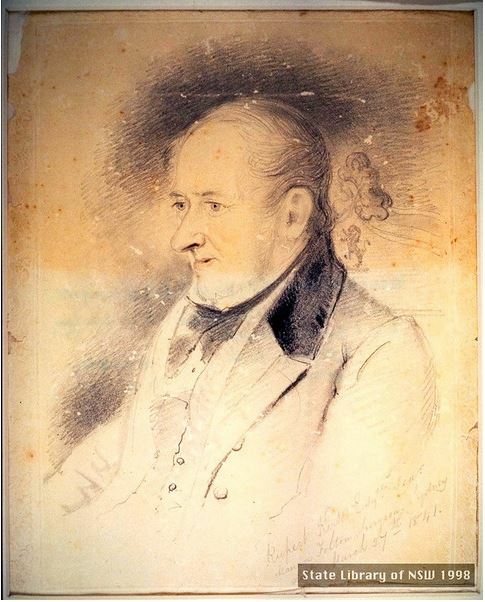 William Rutledge had married Eliza Kirk, a sister of William Kirk (above) in Sydney in 1840. 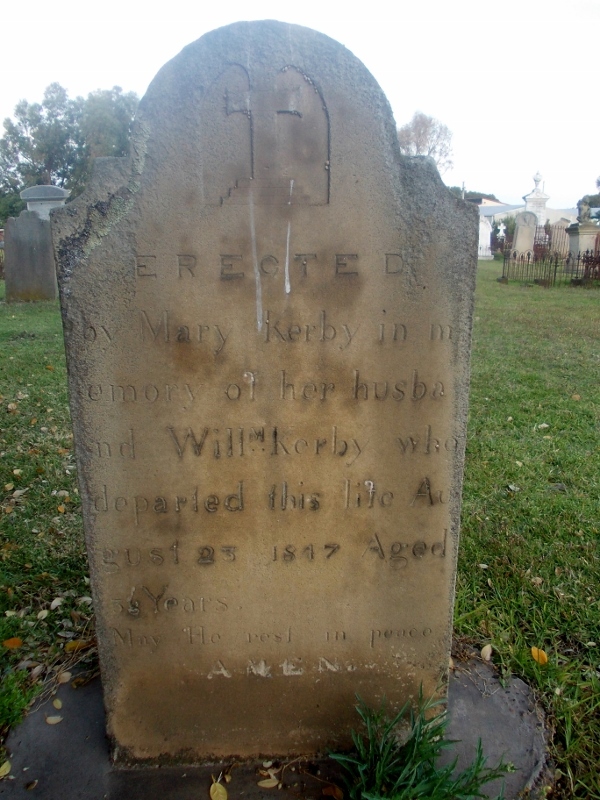 That marriage was most likely the catalyst for William Kirk and his other siblings to move to Victoria. 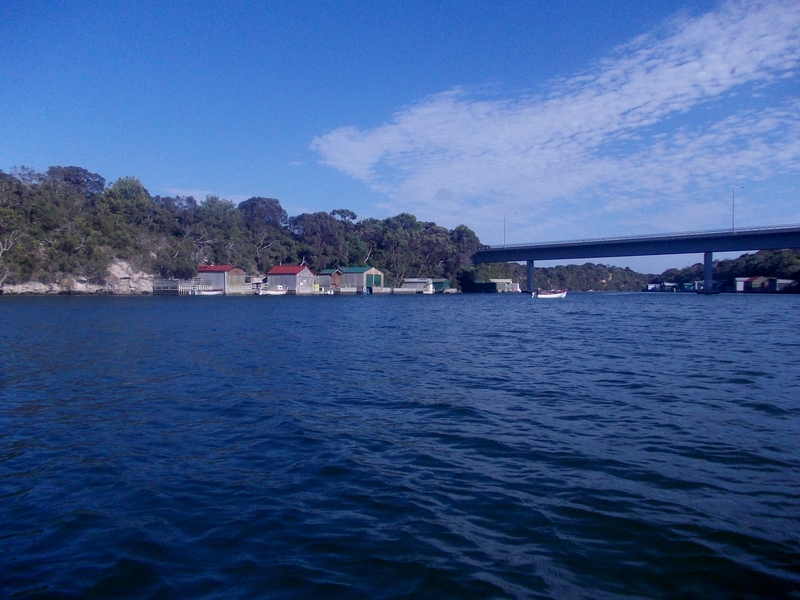 When William Rutledge first arrived in Australia in 1829, he settled himself in Sydney and once established brought his siblings in Ireland to Australia. 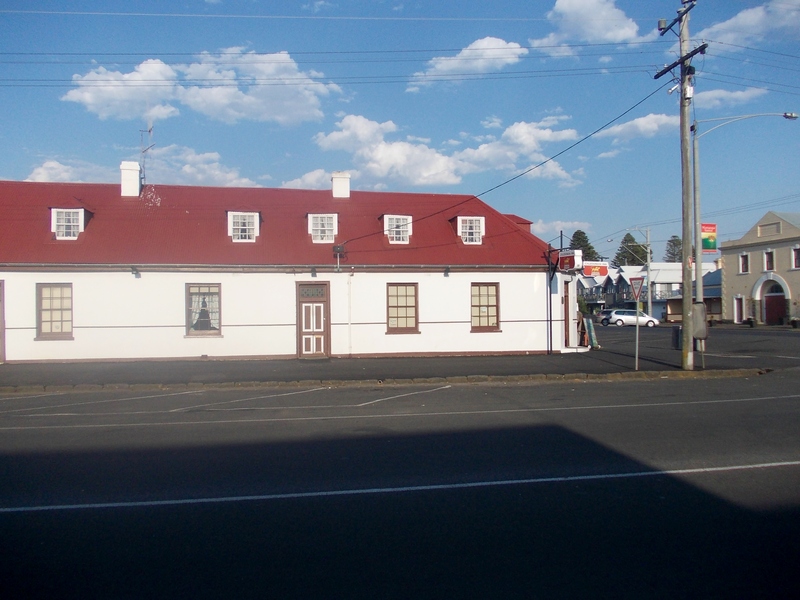 Lloyd followed him to Port Fairy and worked with him at William Rutledge & Co. 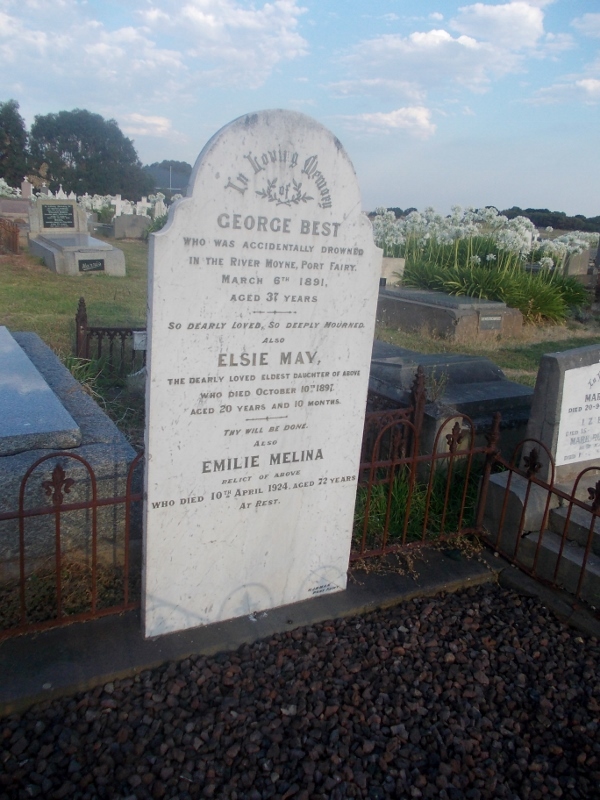 In 1852, Lloyd returned to Sydney to marry Isabella Bennett, daughter of Richard Bennett. 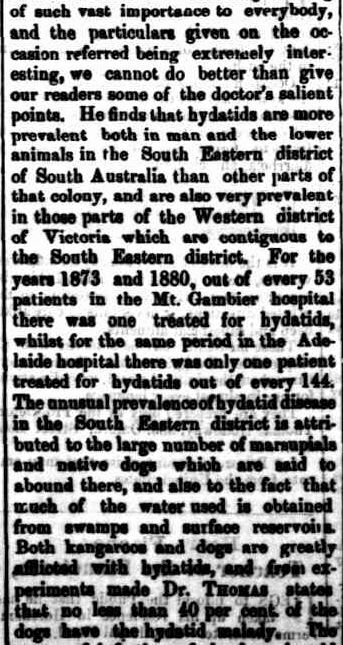 “Family Notices.” The Sydney Morning Herald (NSW : 1842 – 1954) 6 Aug 1852: 3. Web. 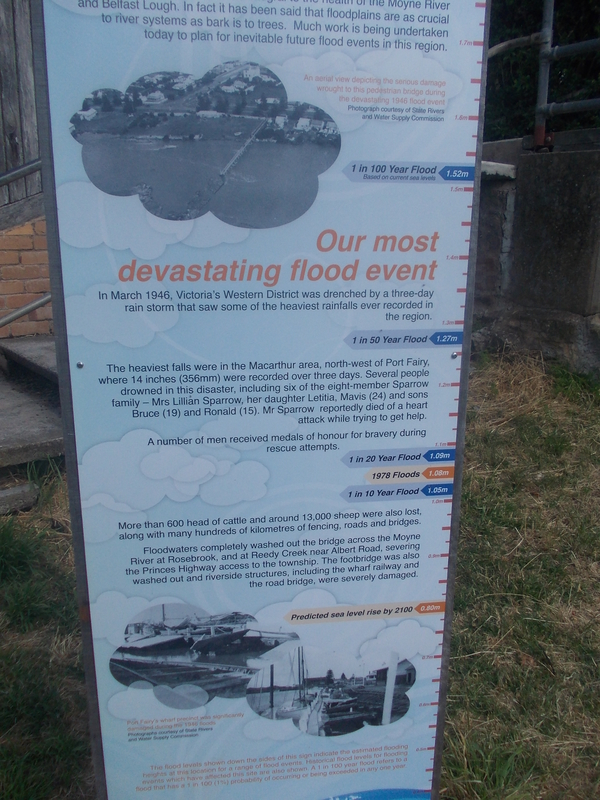 20 Dec 2014 <http://nla.gov.au/nla.news-article12938972&gt;. 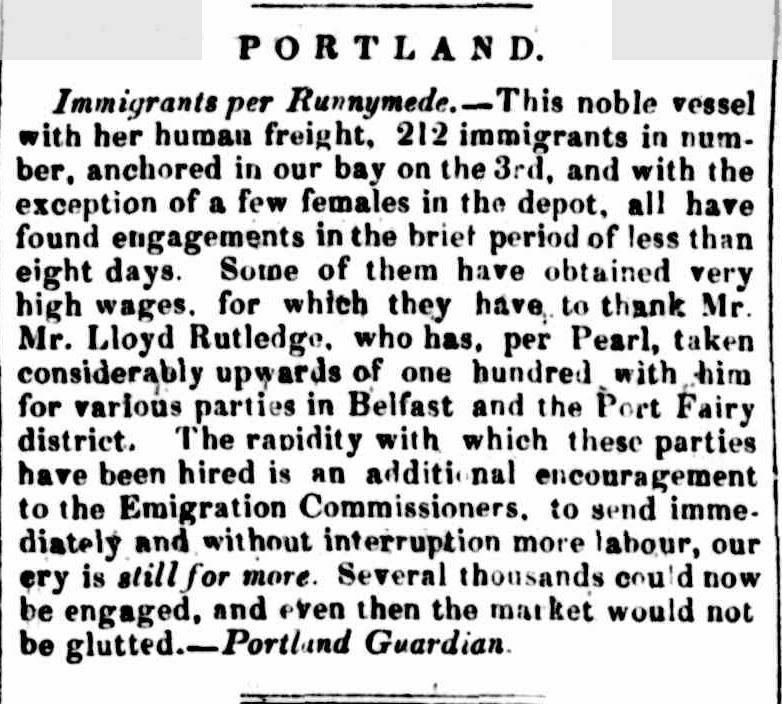 Only a month before Lloyd and Isabella’s wedding, William Rutledge sent Lloyd to Portland on a mission. 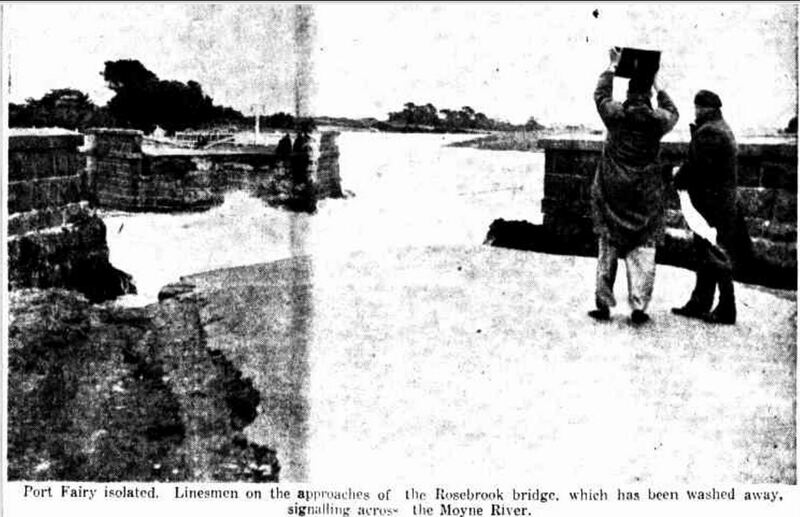 Desperately in need of labour, William wanted Lloyd to meet the incoming immigrant ship Runnymede. 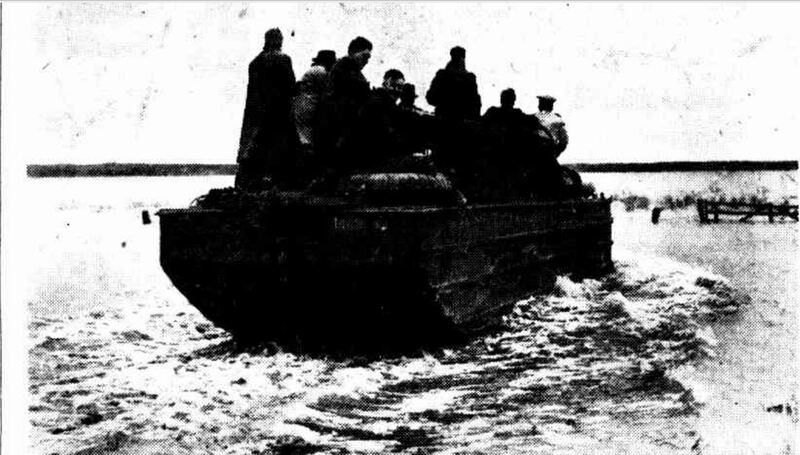 Accompanying Lloyd was Thomas Browne, better known by his pen name Rolf Boldrewood, the author of “Robbery Under Arms.” Supplied with blank forms of agreement from William, Lloyd boarded the ship and signed up seventy passengers for work, ignoring the police interest in his activities. 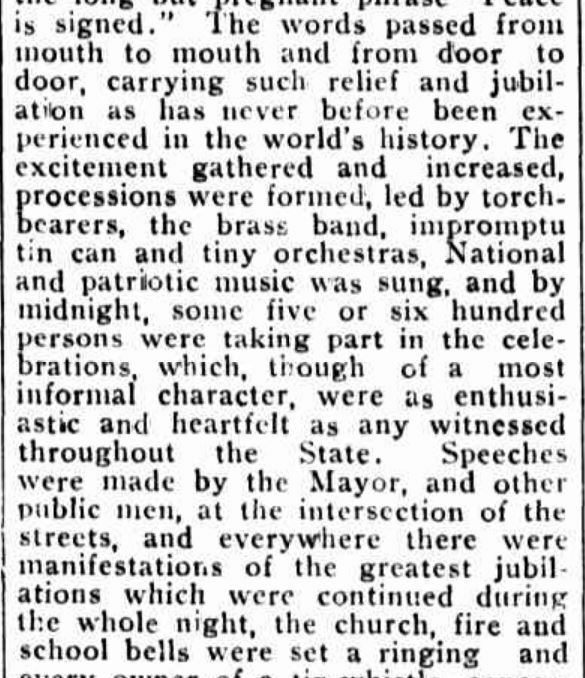 Boldrewood wrote about the event in an article entitled “Desirable Immigrants” published in The Australasian on 8 July 1905. 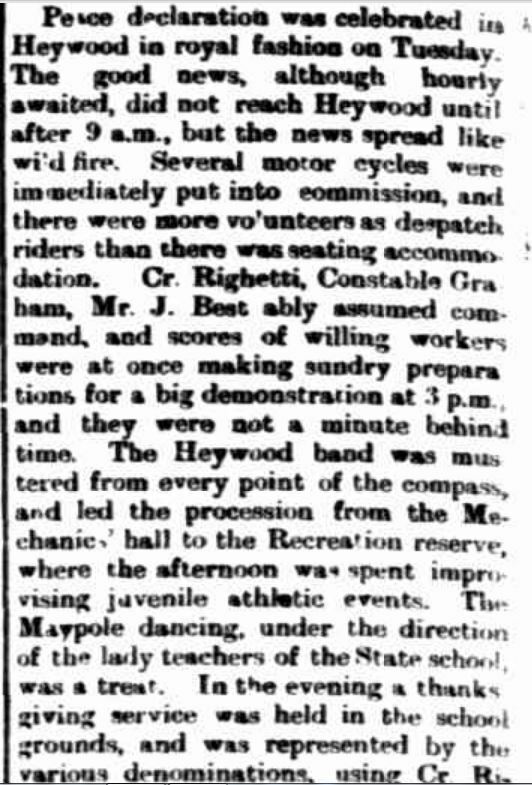 Lloyd was a racehorse owner and steward. 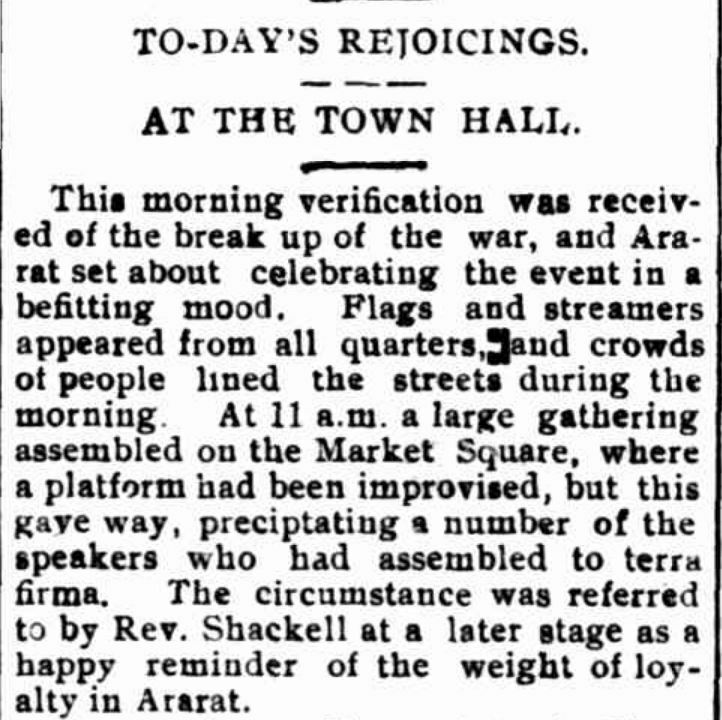 “VICTORIA.” The Sydney Morning Herald (NSW : 1842 – 1954) 10 Oct 1854: 3. Web. 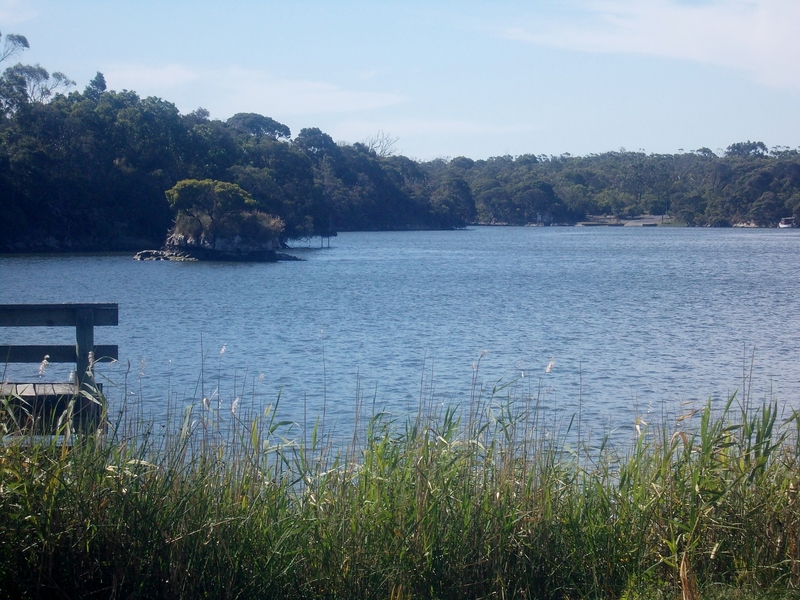 17 Jan 2015 <http://nla.gov.au/nla.news-article12961947&gt;. 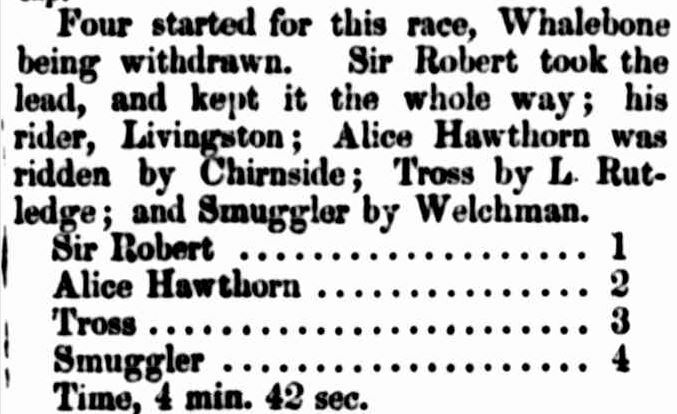 He also rode in races and these results from 22 February 1856, show him running third at the Portland races aboard “Tross”. 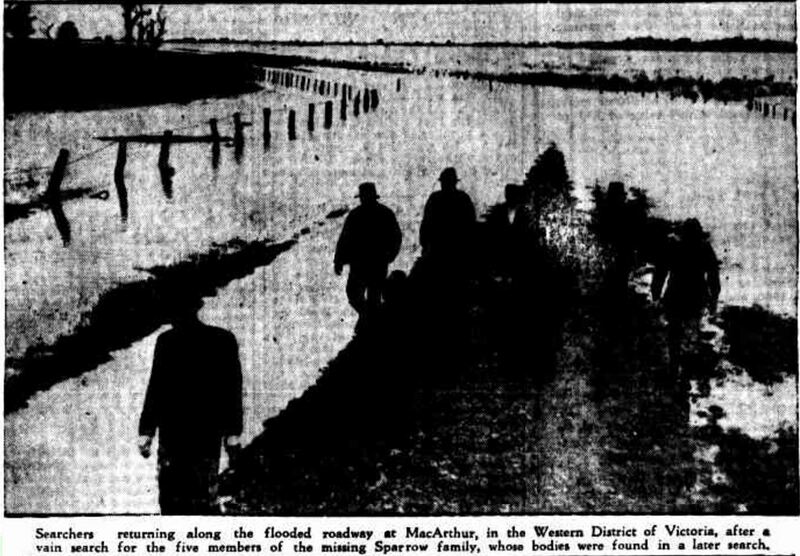 “THIRD DAY, THURSDAY, FEBRUARY 21ST.” Portland Guardian and Normanby General Advertiser (Vic. 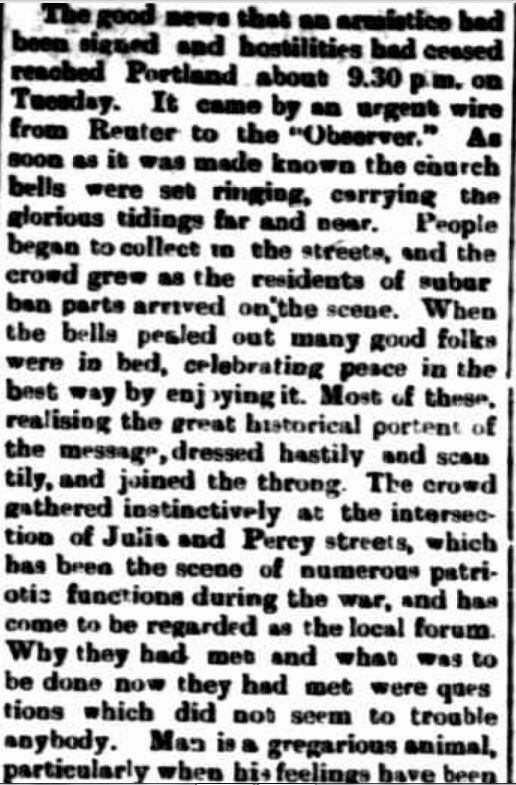 : 1842 – 1876) 22 Feb 1856: 1 Supplement: SUPPLEMENT TO THE PORTLAND GUARDIAN.. Web. 17 Jan 2015 . 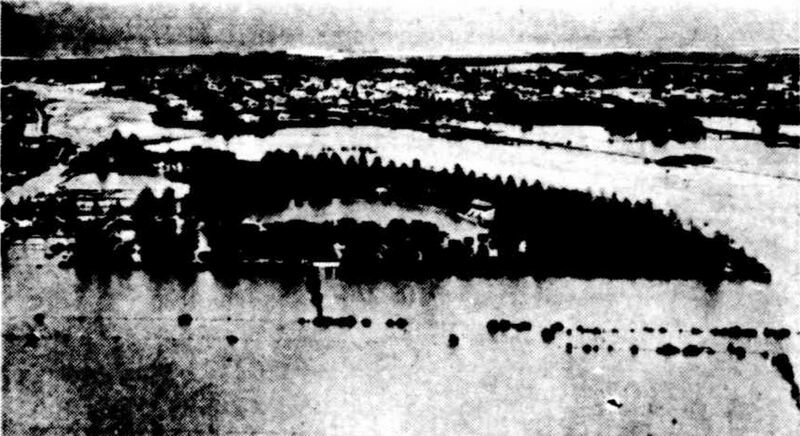 Also racing was “Alice Hawthorne” who was later one of Victoria’s leading racehorses, competing in a NSW vs Victoria match race in 1857, a forerunner to the first Melbourne Cup in 1861 You can read more about Alice by clicking on the link on her name. 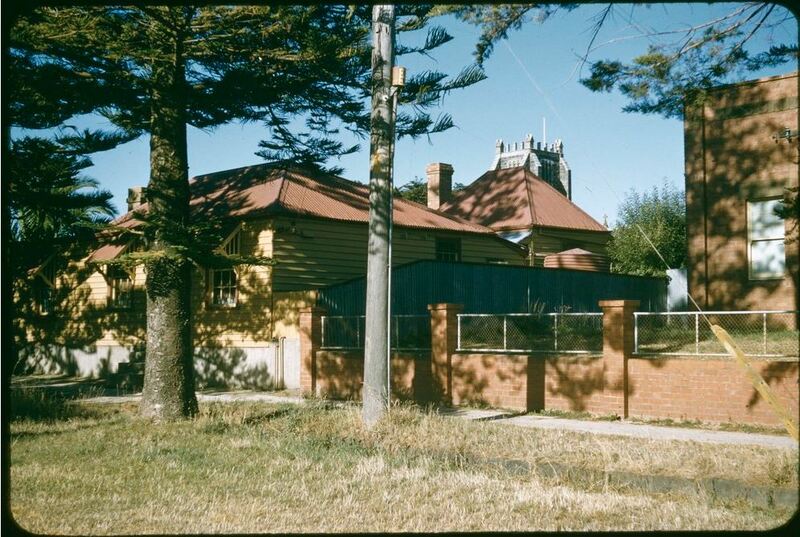 In 1855, Lloyd had a two-storey home constructed in Port Fairy and named it Cooinda. 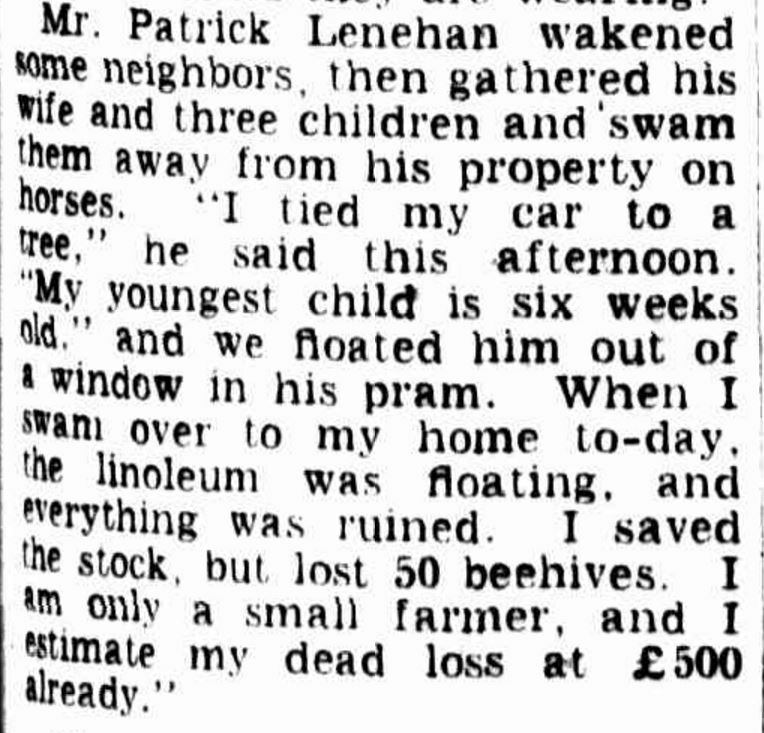 It was there in 1858 that Lloyd’s life would end at just thirty-one years of age. 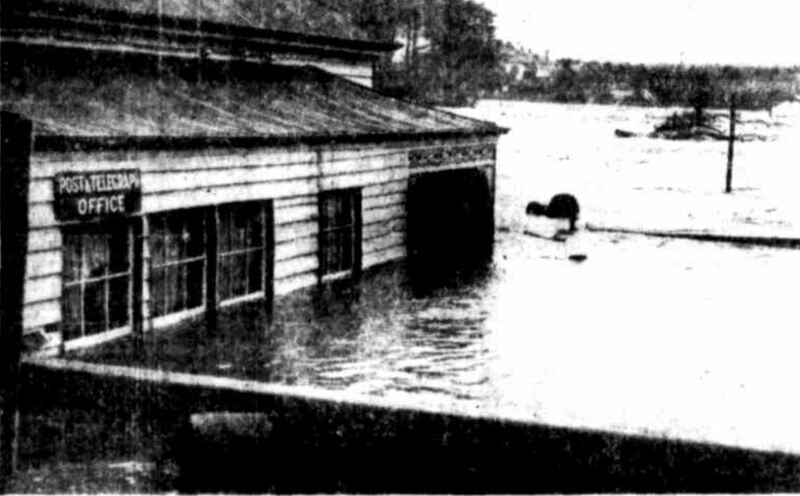 Partial to a drink, Lloyd was climbing the stairs of Cooinda after a drinking session when he fell back down the stairs and broke his neck. “Family Notices.” The Argus (Melbourne, Vic. 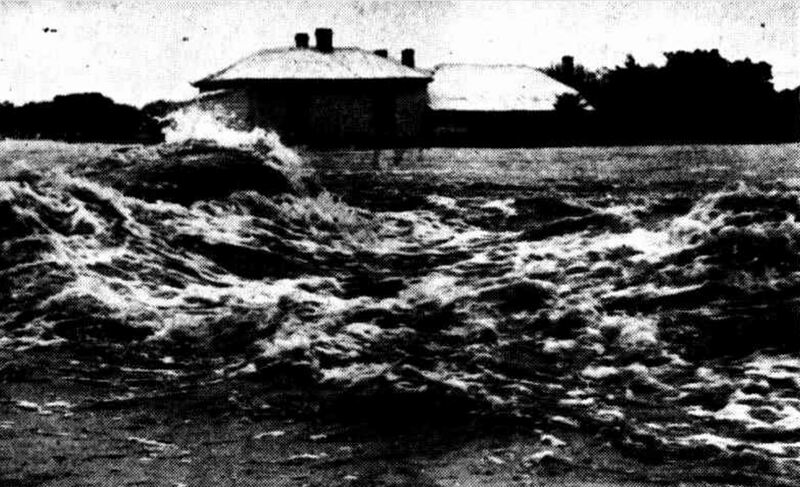 : 1848 – 1957) 21 Dec 1858: 4. Web. 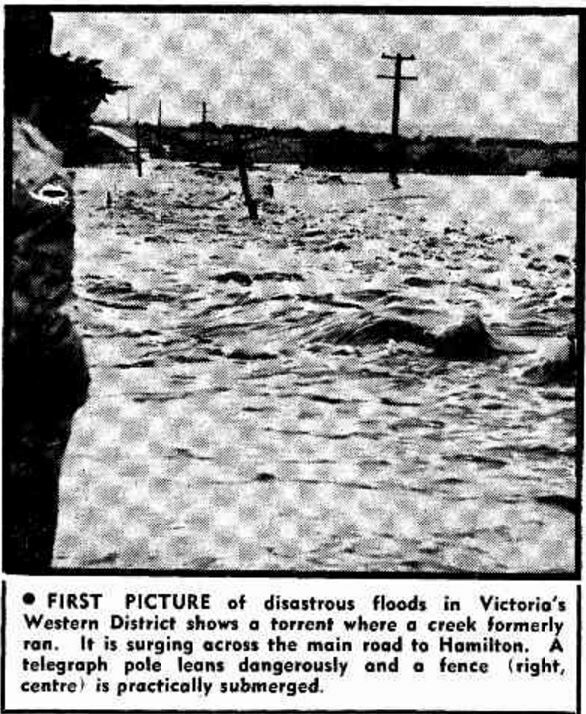 12 Jan 2015 <http://nla.gov.au/nla.news-article7306711&gt;. 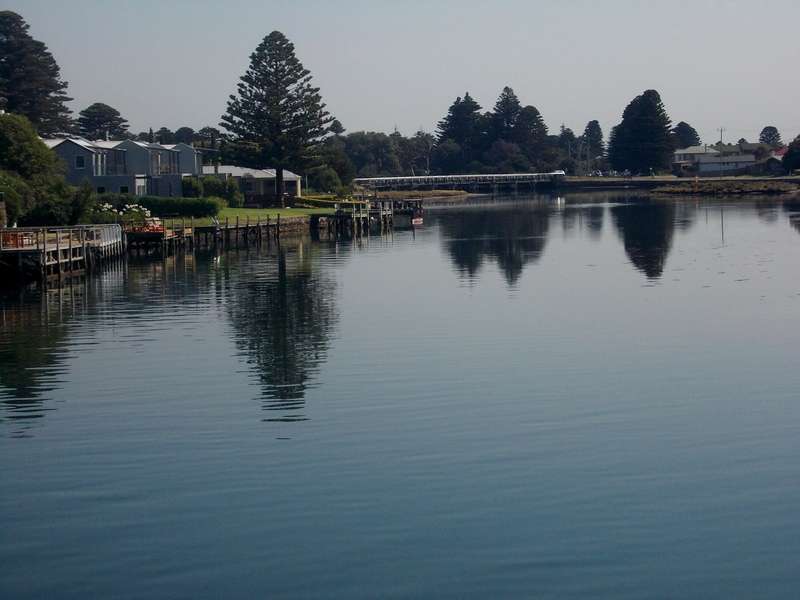 Cooinda moved into the hands of the Finn family of Port Fairy. 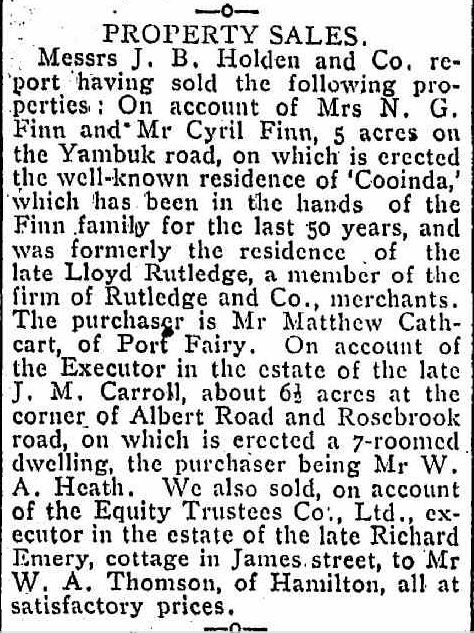 In 1918, they sold the house. 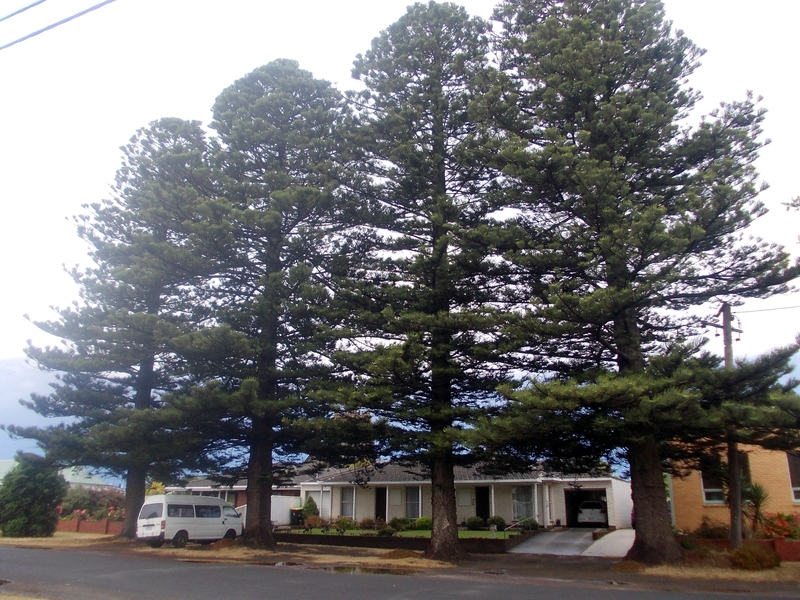 “PROPERTY SALES.” Port Fairy Gazette (Vic. 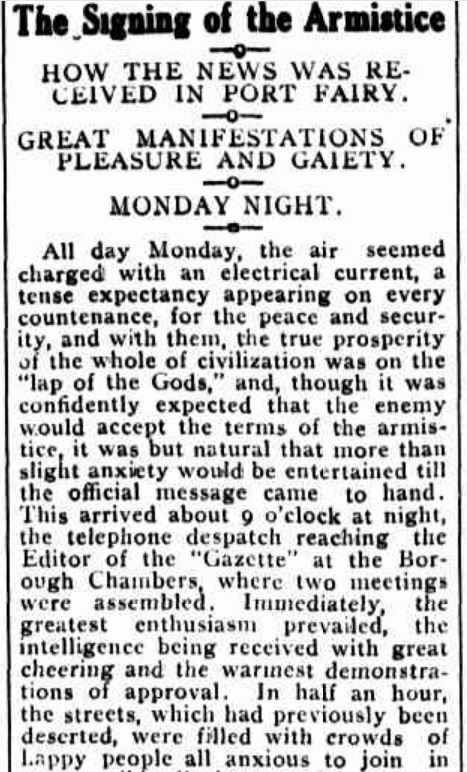 : 1914 – 1918) 9 Sep 1918: 2 Edition: EVENING. Web. 15 Jan 2015 <http://nla.gov.au/nla.news-article91988481&gt;. 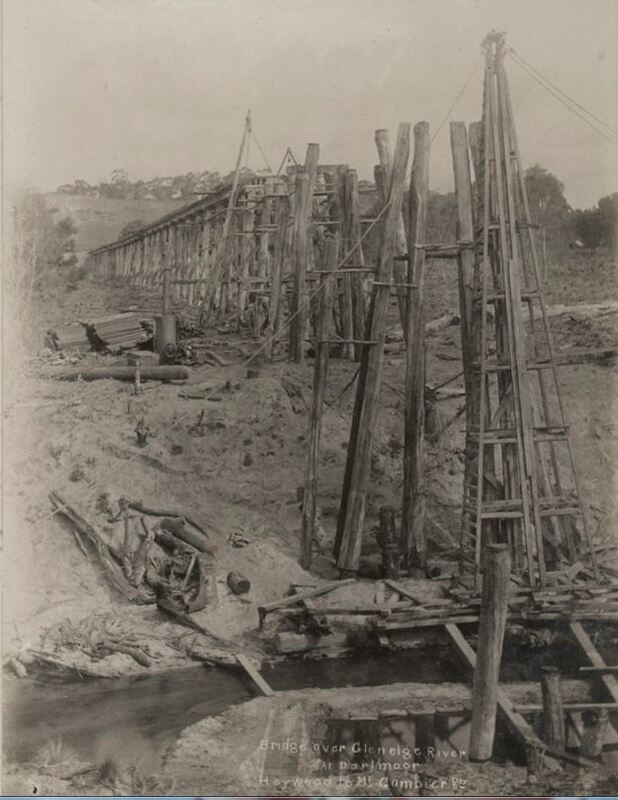 Cooinda fell into a bad state of disrepair. 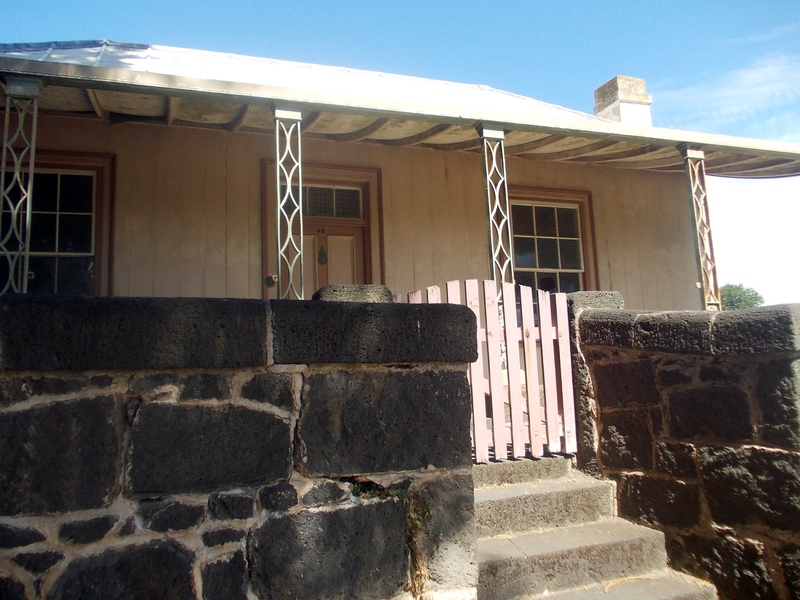 It was known locally as the “haunted house” with Lloyd said to appear at the top of the stairs each 17 December. 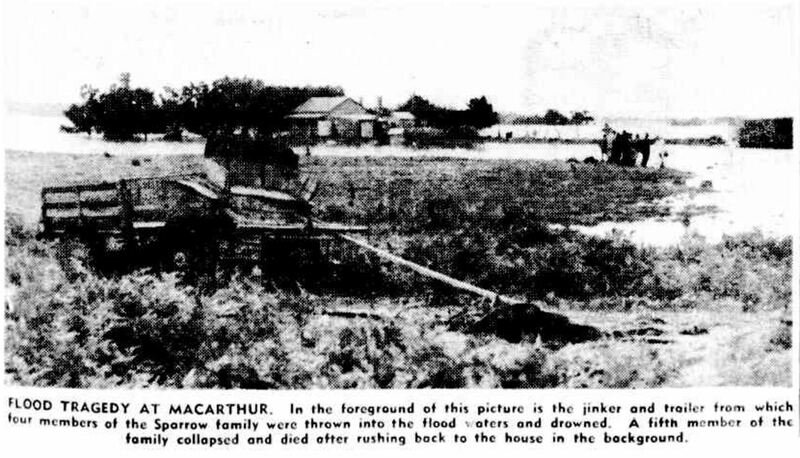 In the 1950s, the house was demolished. 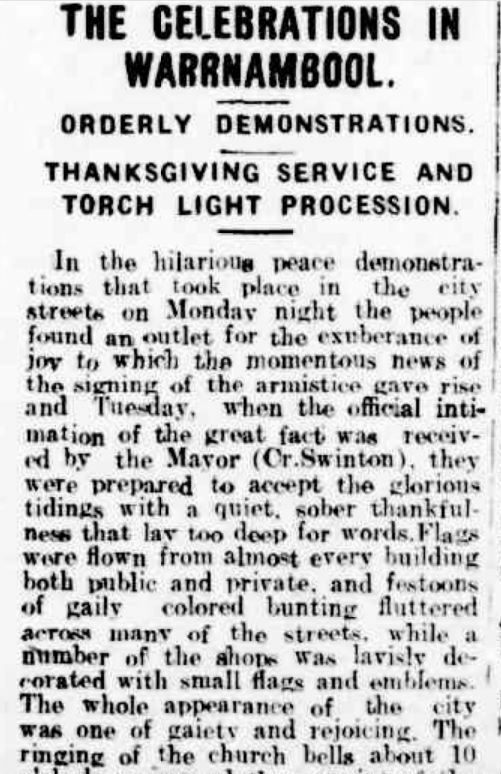 It was from then that Lloyd supposedly moved his annual “appearance” to his graveside. 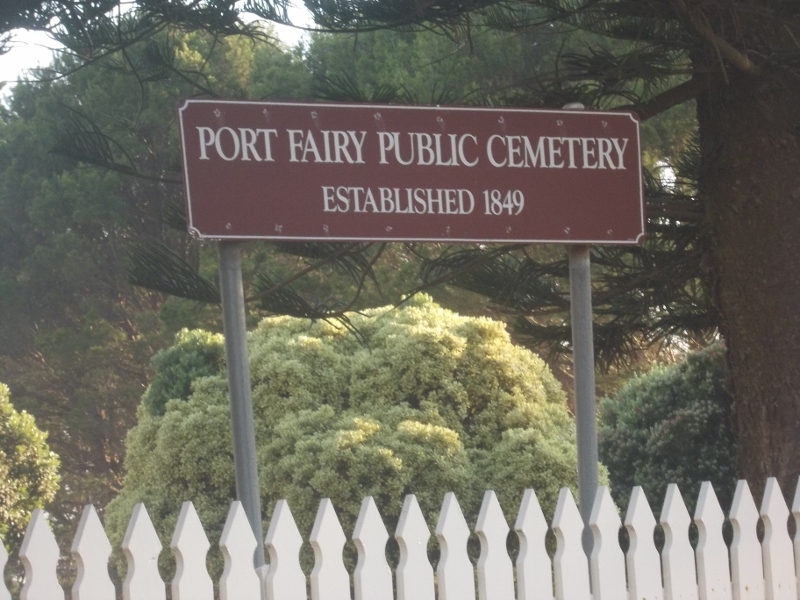 More information on an investigation into paranormal activity at the grave site is on the Port Fairy Cemetery website. 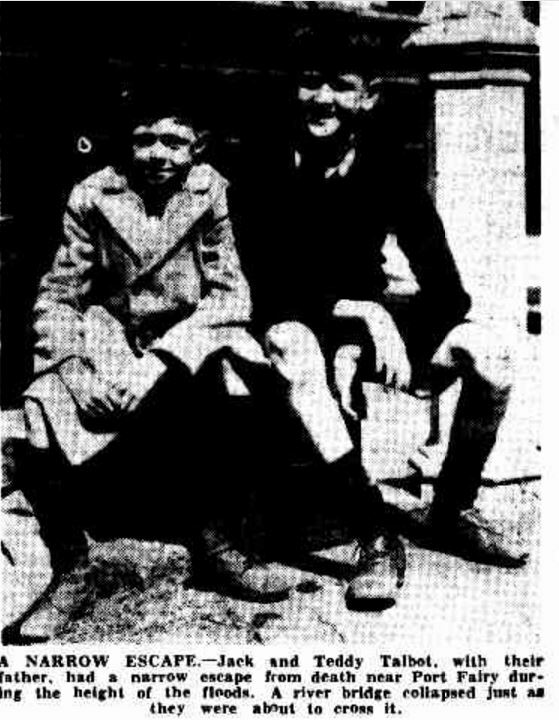 Bennett, Richard and Critchett, Jan Richard Bennetts early days of Port Fairy. W.I.A.E. 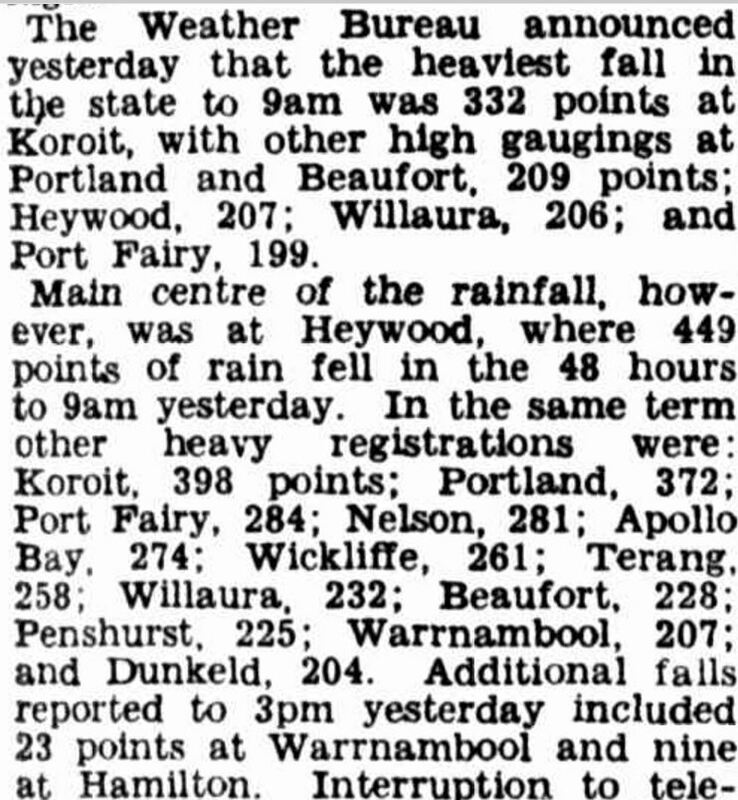 Press, Warrnambool, Vic, 1984. Marriott, Pamela M Time gentlemen please! 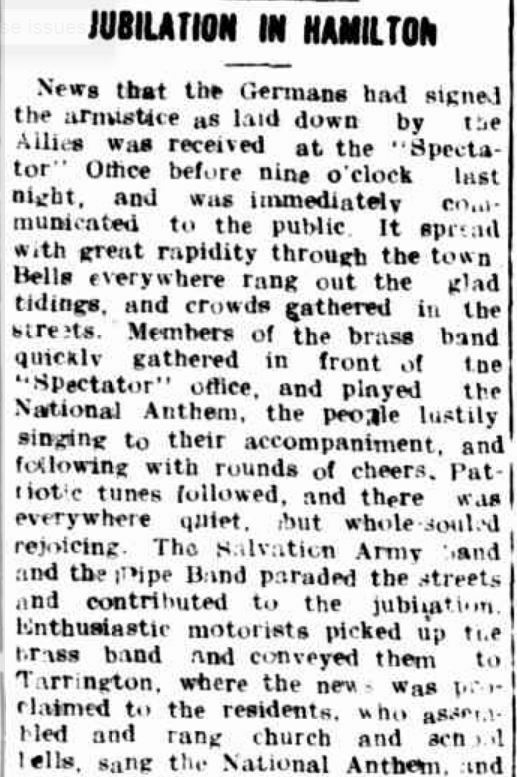 : an history of Western District inns, 1840-1915. 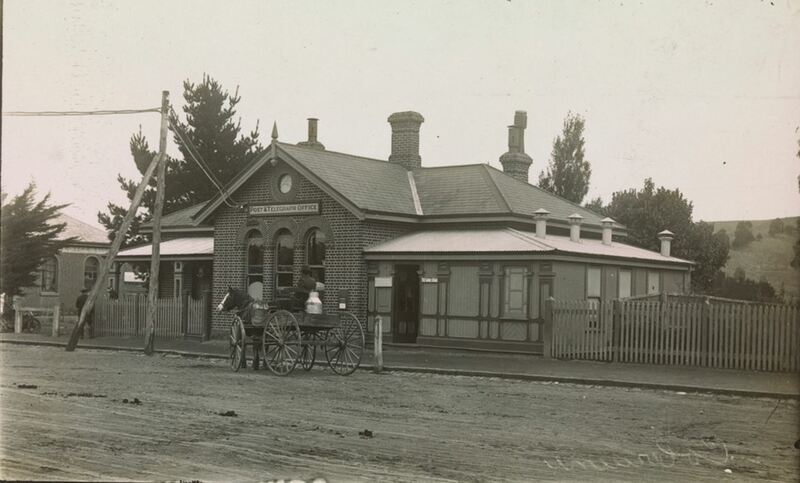 Pamela M Marriott, [Flemington, Vic. ], 2001.